6,767 SFUSD 4th Graders have sailed, learned and grown through the Treasure Island Sailing Center Set Sail Learn STEM program since 2013. This month we thank our sponsors & partners, launch our Annual Appeal, and reflect on the 2,200+ kids smiles that shined from Clipper Cove in 2018. 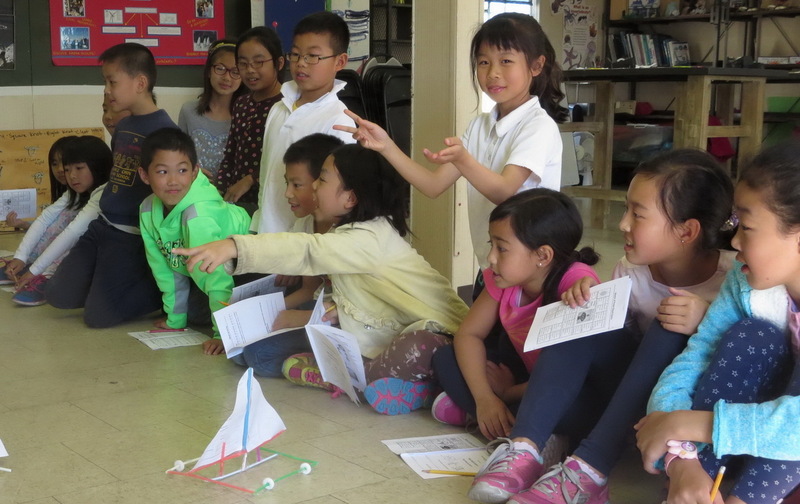 Many which came from SFUSD fourth-graders attending our Set Sail Learn STEM program. And what’s not to smile about! 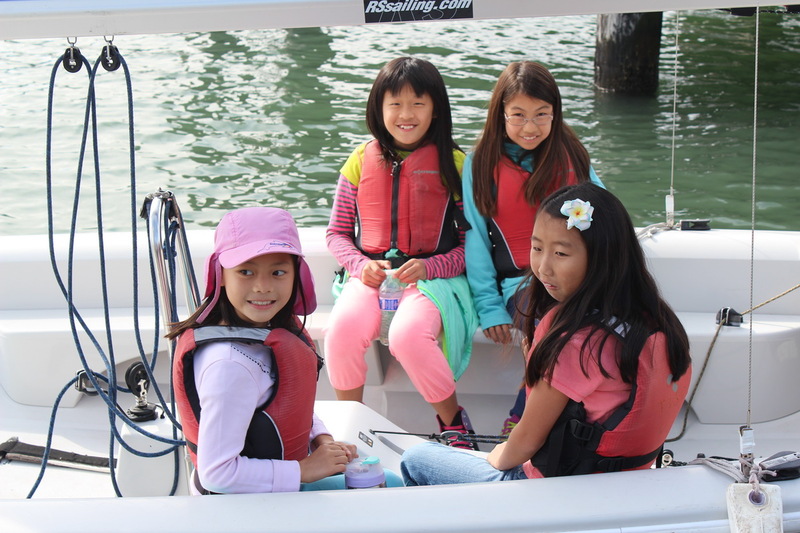 The Fall weather was fantastic for learning STEM on Clipper Cove. 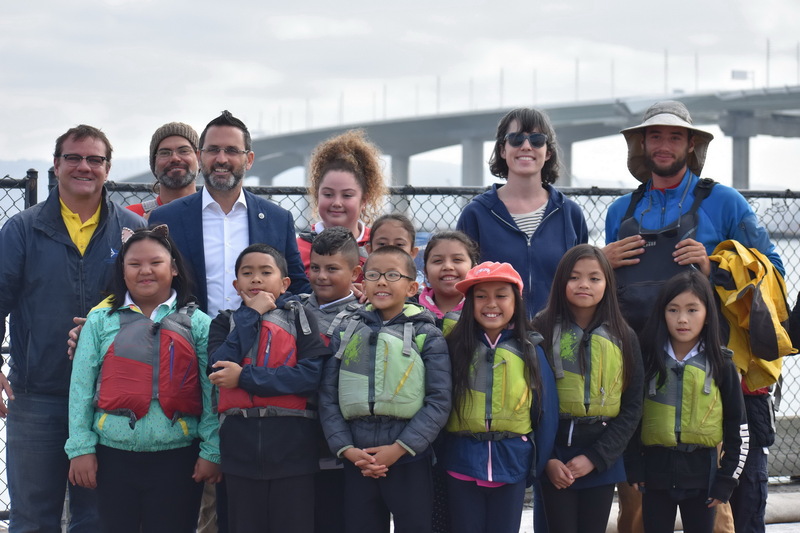 With light winds the students from Longfellow Elementary School focused on observing wildlife in the Cove and even had the opportunity to try their hands at paddling! 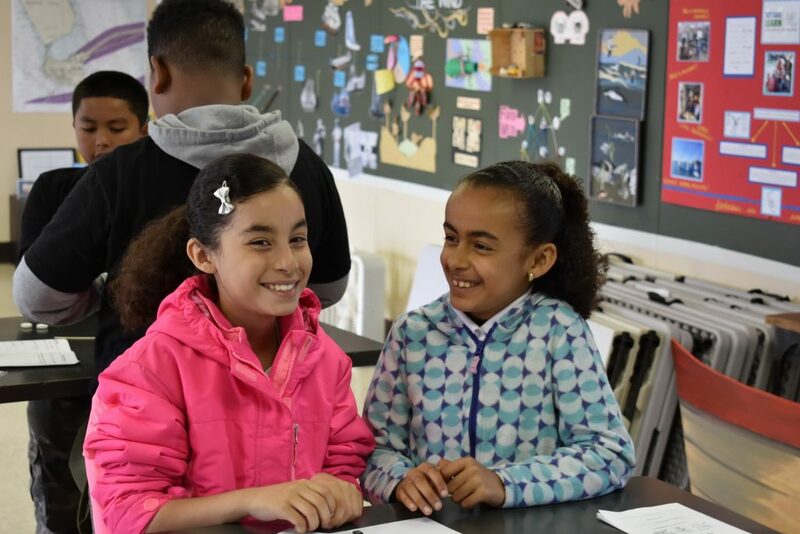 To help promote our STEM programs in his local community, San Francisco Supervisor Ahsha Safai from District 11 dropped in see TISC and SSL in action! 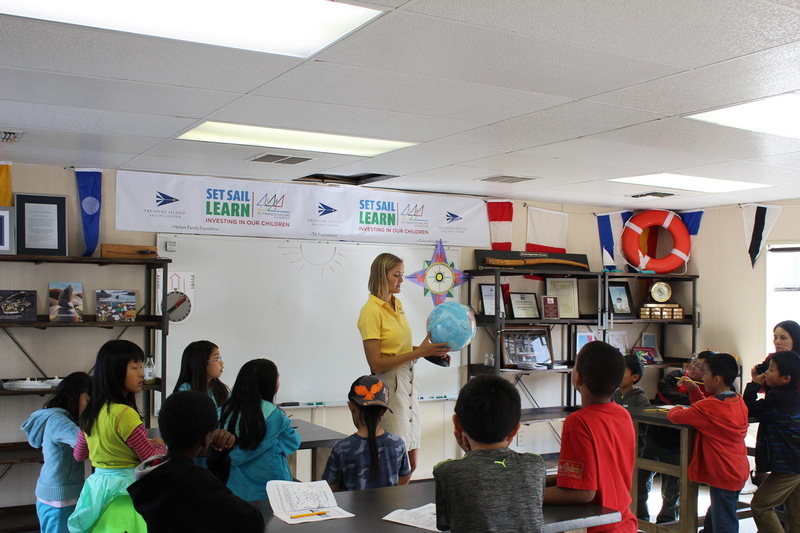 Students sailed on Clipper Cove creating smiles and experimented in our activity center satisfying their curiosity about physics. 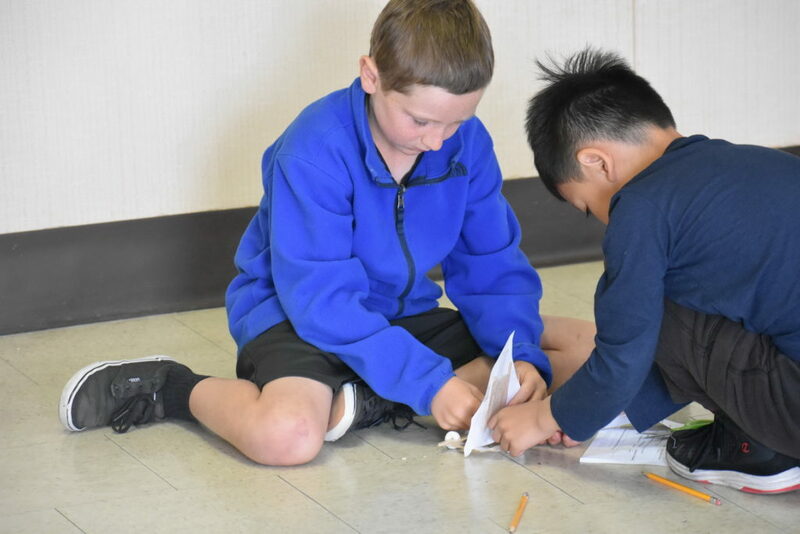 The Longfellow Elementary students looked into “how boats float” and put their creativity on the line when they designed their own vessel and then tested it to see if it floated and could hold “passengers”. 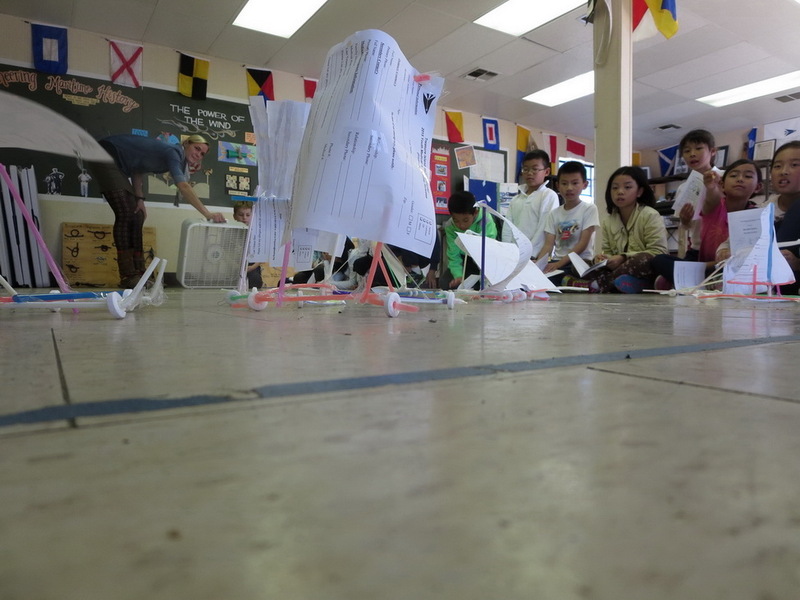 All part of the TISC “Introduction to Maritime History”. 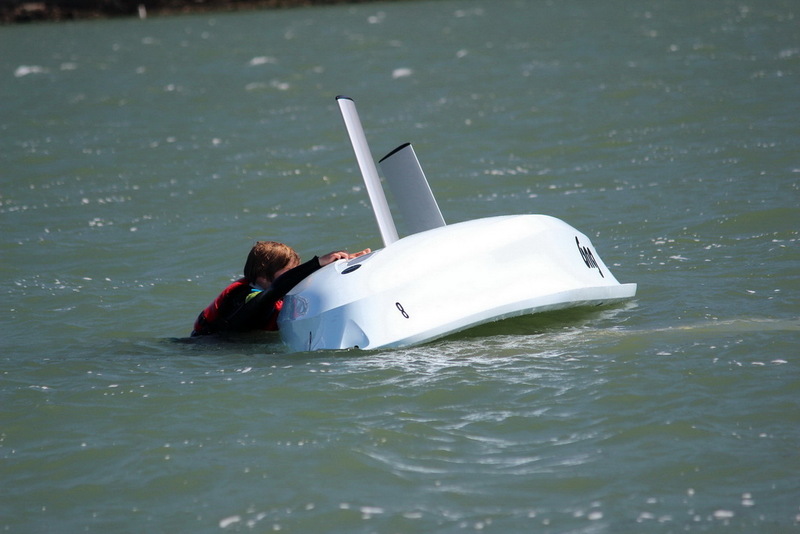 Success – it FLOATS! 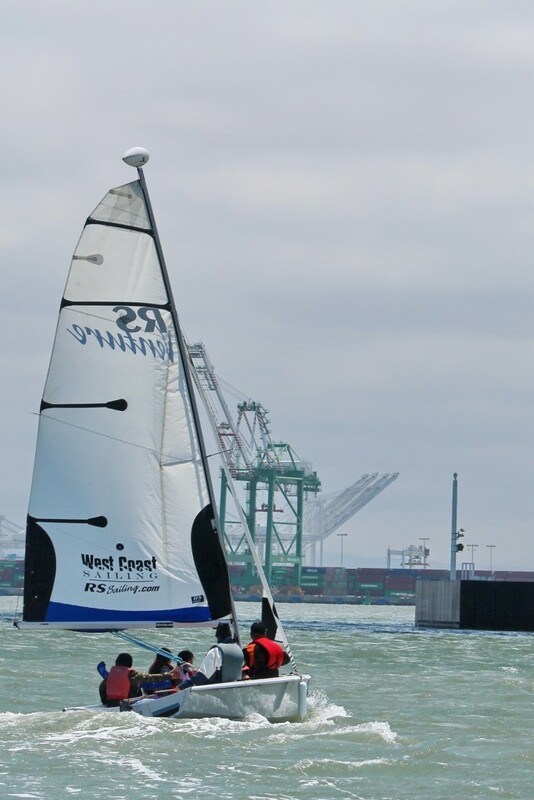 While buoyancy keeps us afloat, it is the wind that powers our boats. 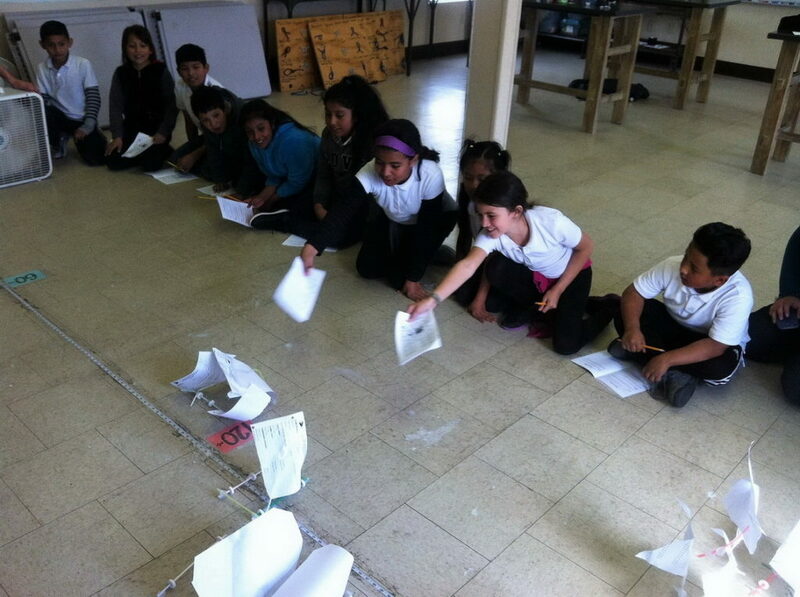 And that’s just what the experiments run by students from Argonne Elementary demonstrated! 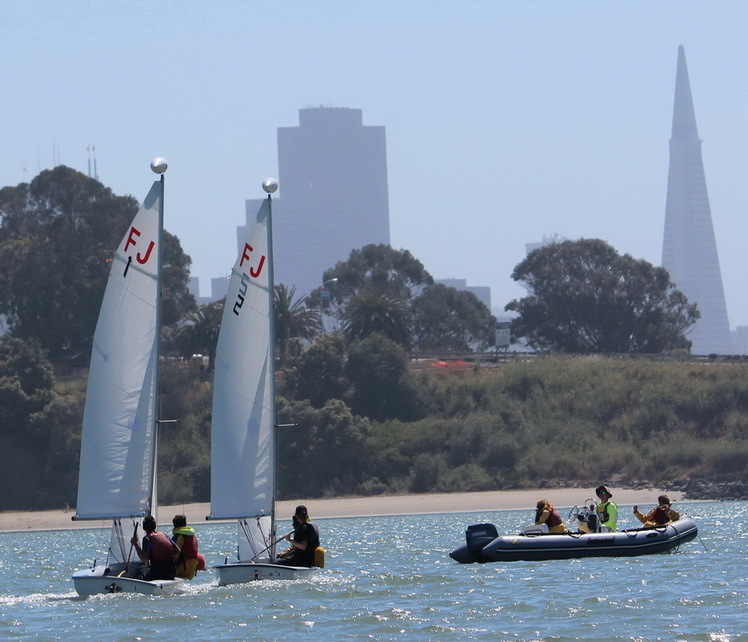 Putting their new-found knowledge to work, they then sailed in our J-24 fleet on Clipper Cove. More smiles! True “hands on” learning. The Argonne kids wrapped up our Fall season, which brought the total number of SSL students to whopping 6,767 San Francisco Unified School District 4th graders served since 2013.. Many of these fourth graders would never have touched the waters of Clipper Cove, sailed a boat, learned about STEM first hand, or become excited supporters of our environment without the continued support of the St. Francis Sailing Foundation. 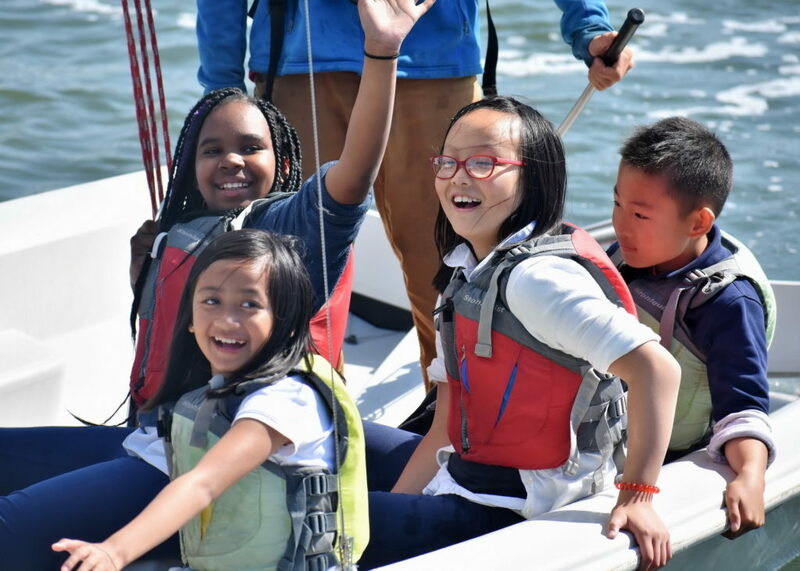 Spring 2019 will bring us even more smiling faces as we are expanding our reach to serve SFUSD 5th graders during our new program Sailing to Save the Seas. 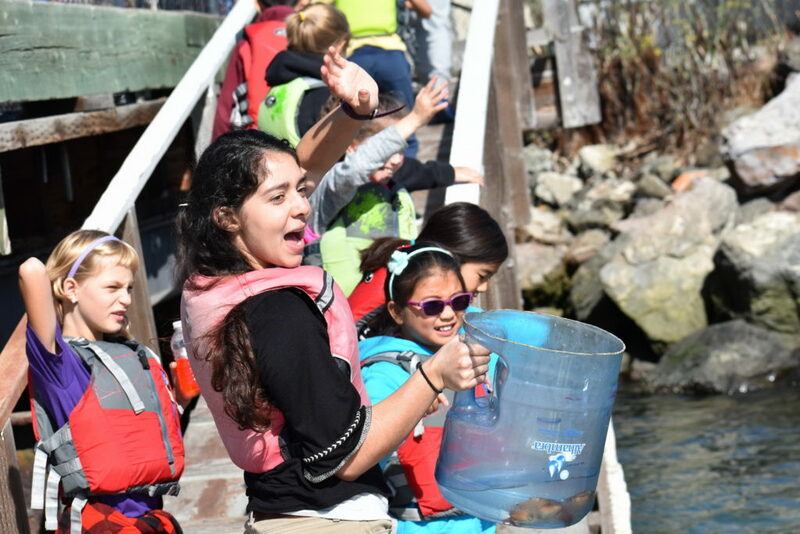 This expansion of our experiential STEM learning is made possible by NOAA’s Be Wet grant. Students will learn about their local watershed, marine debris, and research solutions to problems facing our Oceans today. 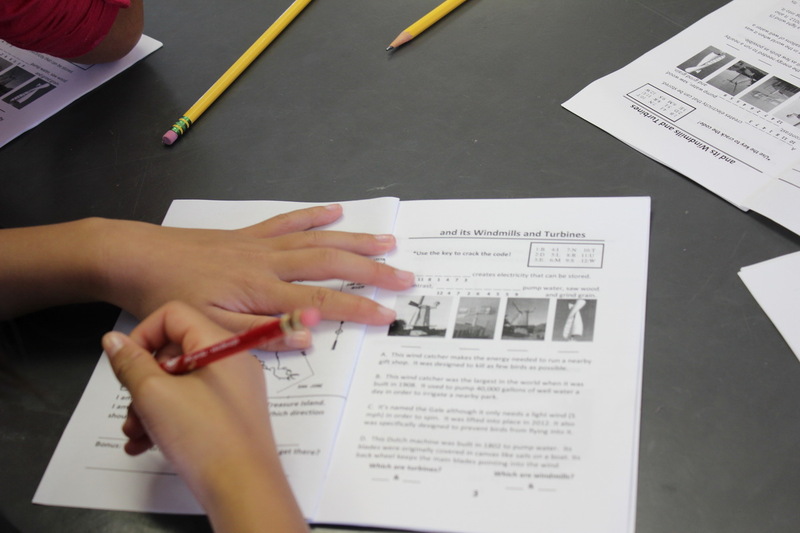 Thanks to YOUR support, TISC delivered over 24,000 hours of instruction. 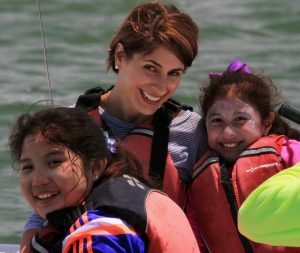 Please consider matching or exceeding your 2017 donation during this year’s Annual Appeal. Please DONATE TODAY. 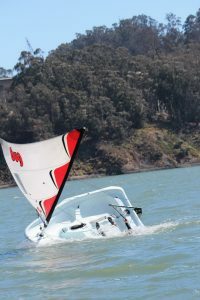 Regards, from On the Cove, Dave G.
The Power of the Wind ? – – Life Changing ! 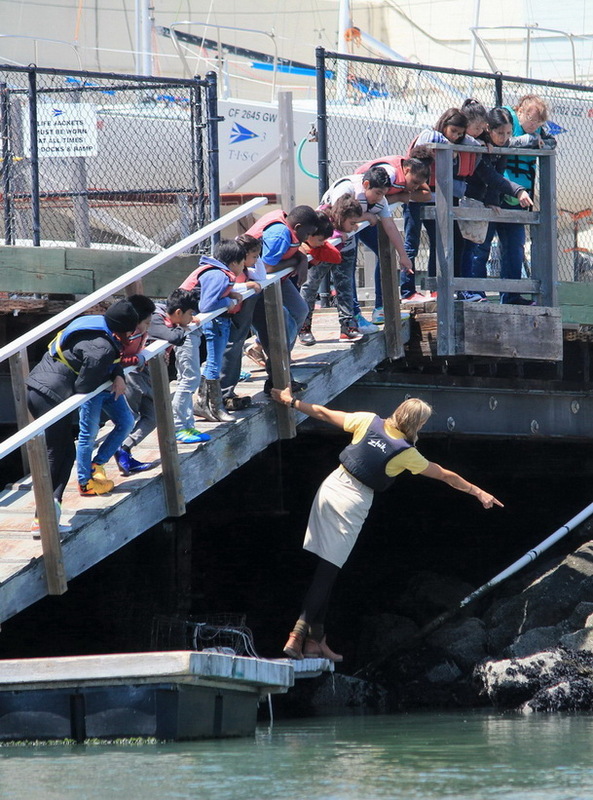 The firsts accompanying Leonard Flynn Elementary School kids to Clipper Cove paled by comparison to what we all considered a life-changing story. 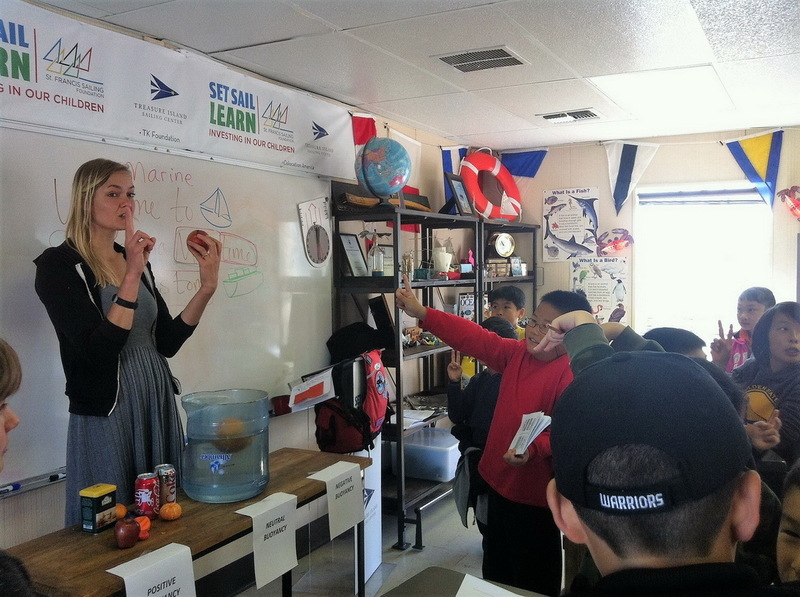 Credit TISC’s STEM-based experiential learning program – and our SSL team – for more than just smiles on that day. 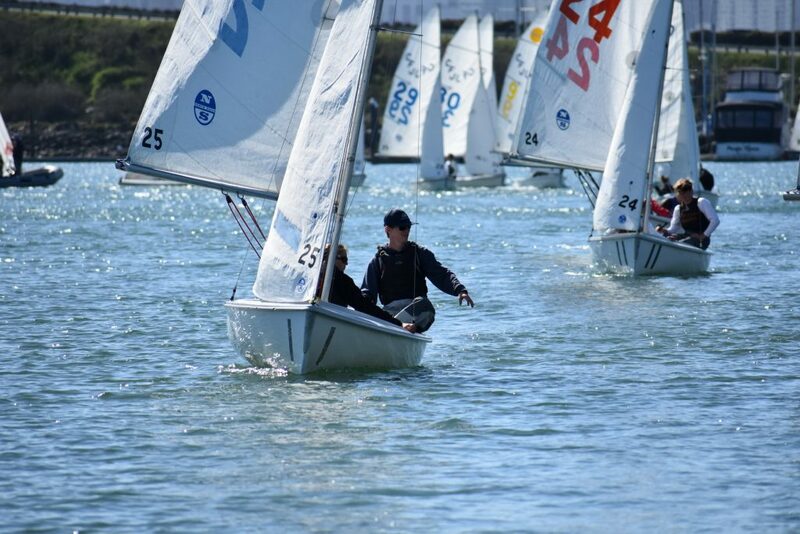 Last Tuesday served up notable firsts on TISC’s docks. Our new Program Manager Laura DeFelice, shadowed our Program Coordinator Luxine Smith, witnessed and learned to teach her first class. 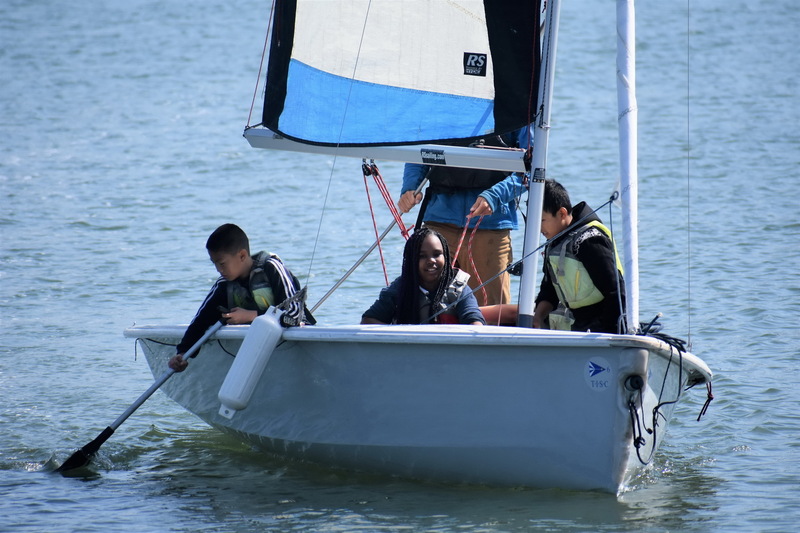 The 26 4th and 5th grade students from Leonard Flynn Elementary reveled in their very first sailing experience. 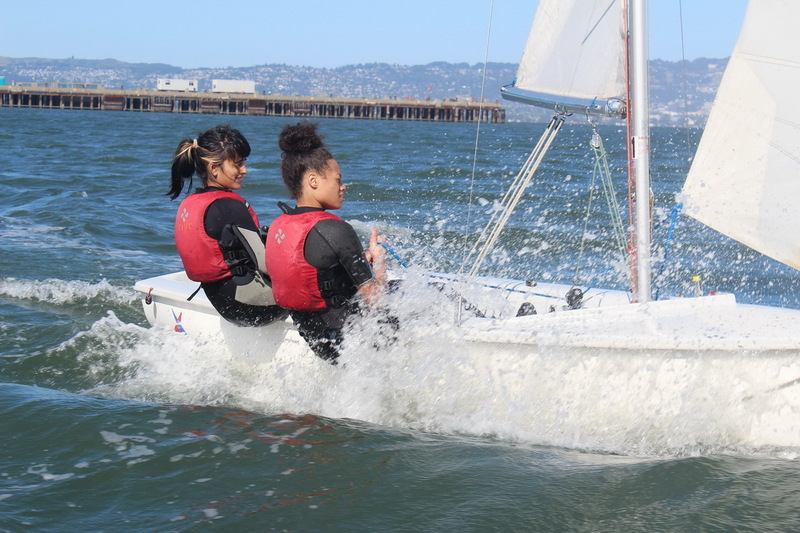 In many ways a day not unlike those experienced by the 5,526 SFUSD students, including three previous Leonard Flynn classes who have benefited from our Set Sail Learn program to date. 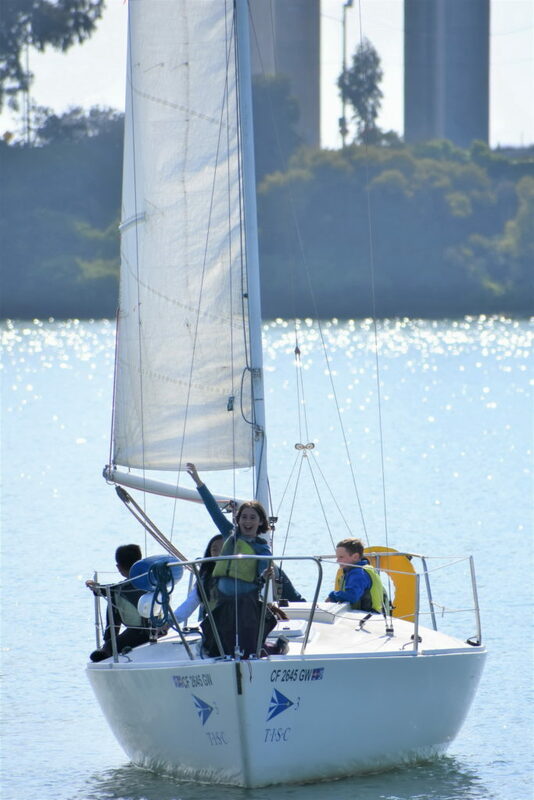 The April 17th conditions were ideal for a first-sail. The April morning sun shone through some light cloud cover and the warmth of the sun prevailed over the cool light morning wind. The students arrived as they often do, loud and full of excitement. Their energy is contagious. 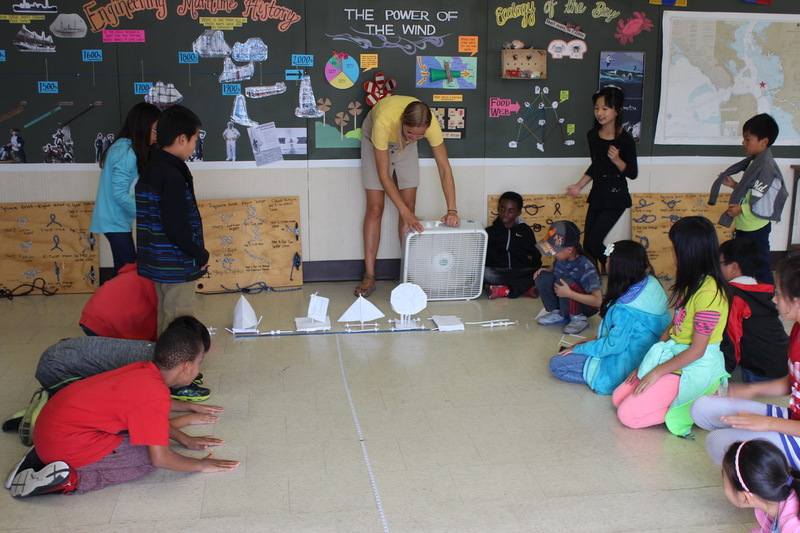 The group met under our big top tent and divided into two groups: one that would begin their classroom lesson, The Power of the Wind, and another that would go sailing. 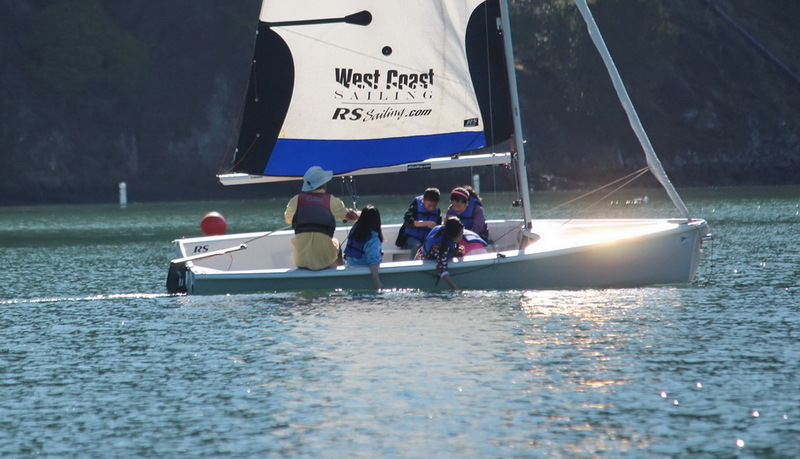 Of course, everyone wanted to go sailing first. Or did they? One student, 10-year-old Rosa, walked deliberately with her classmates and chaperones as they were guided to the docks. 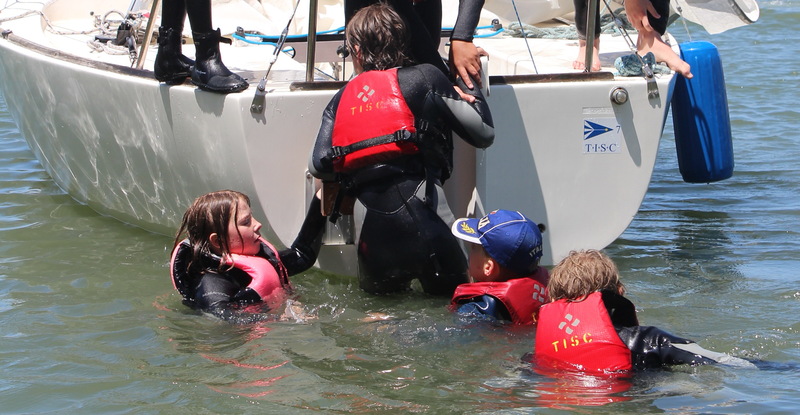 The girls and boys were so excited to get going, and TISC’s instructors kept a watchful eye until they were briefed, donned life jackets and allowed to board the boats. 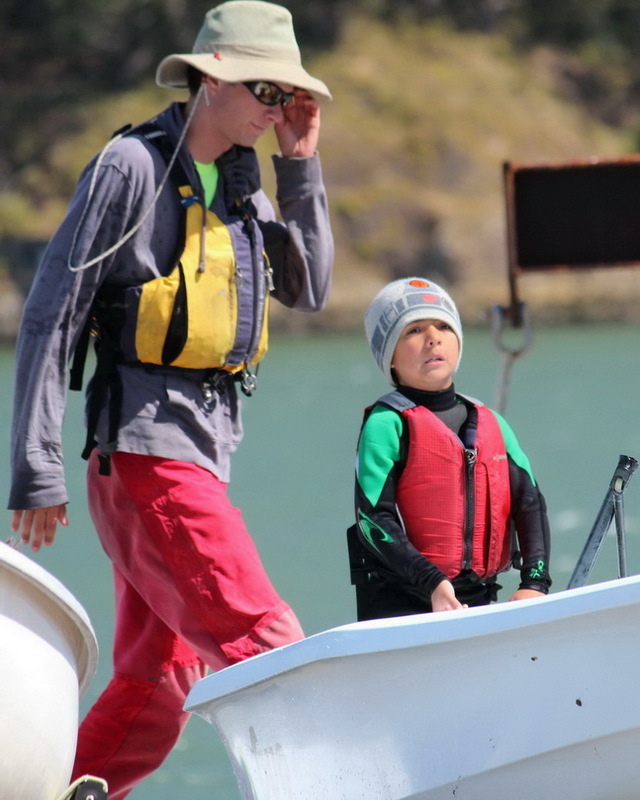 They stood at attention listening to each instructor’s direction before springing like horses out of the gates to get on the boats. 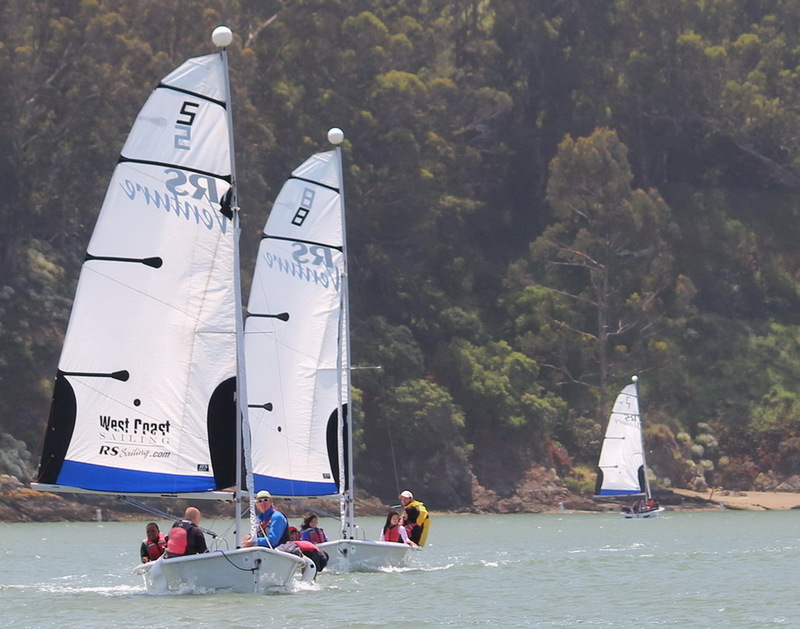 The first J/24 departed and then the second. 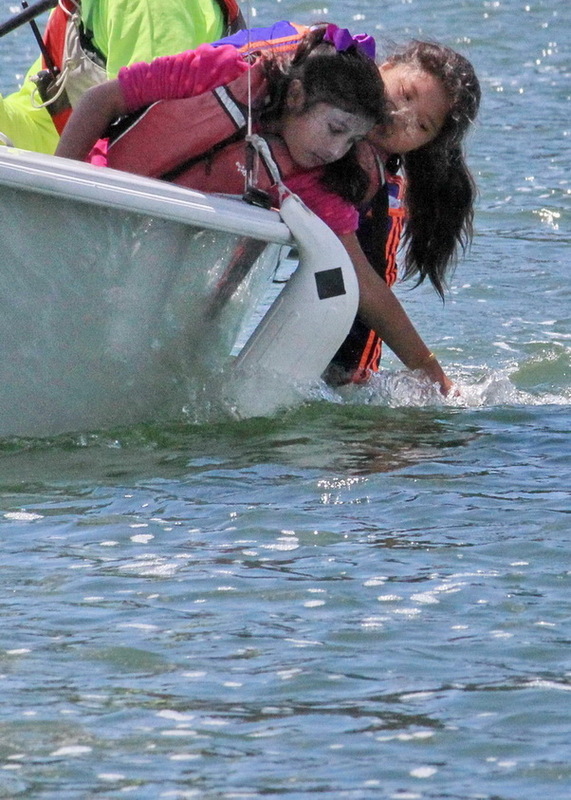 While all the kids on boat 3 were ready to go, they had to wait while the chaperone and I comforted Rosa, whose eyes filled with tears but never spilled. Her hands shook and she breathed deeply as though preparing to take a deep dive into pool from which she was certain she’d never return. 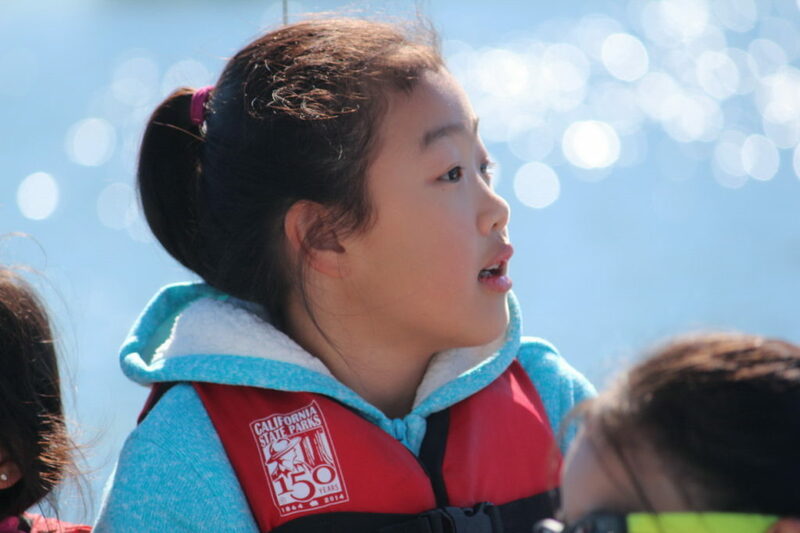 Her classmates pleaded with her to come aboard, and although she never demanded to leave, was never committed to going. 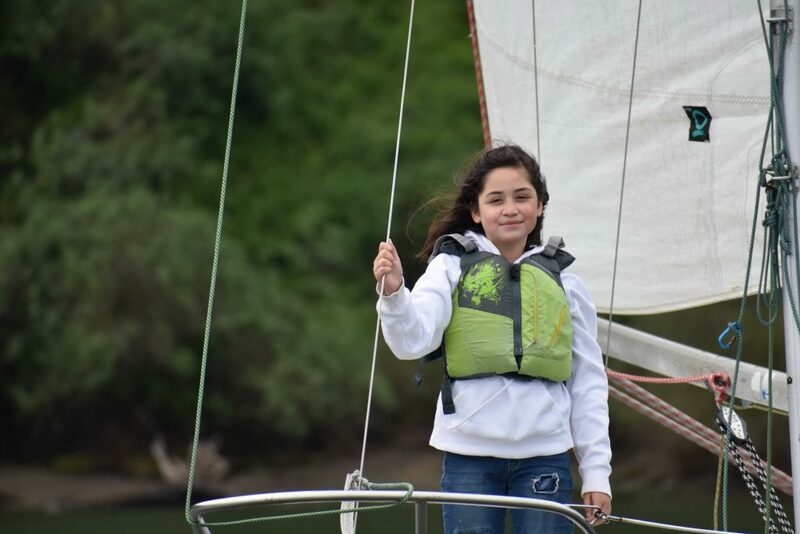 After a few moments of convincing, Rosa was encouraged to sit in the boat’s companionway halfway in the cockpit where she felt safe. The chaperone sat next to her and held her hand; as the boat finally left the dock Rosa uttered “I want to go back”. But it was too late! 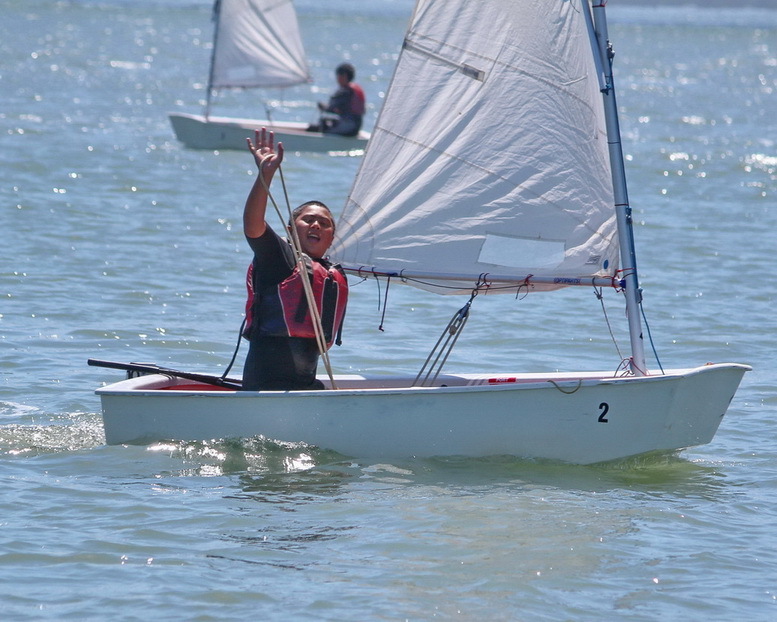 She was sailing. 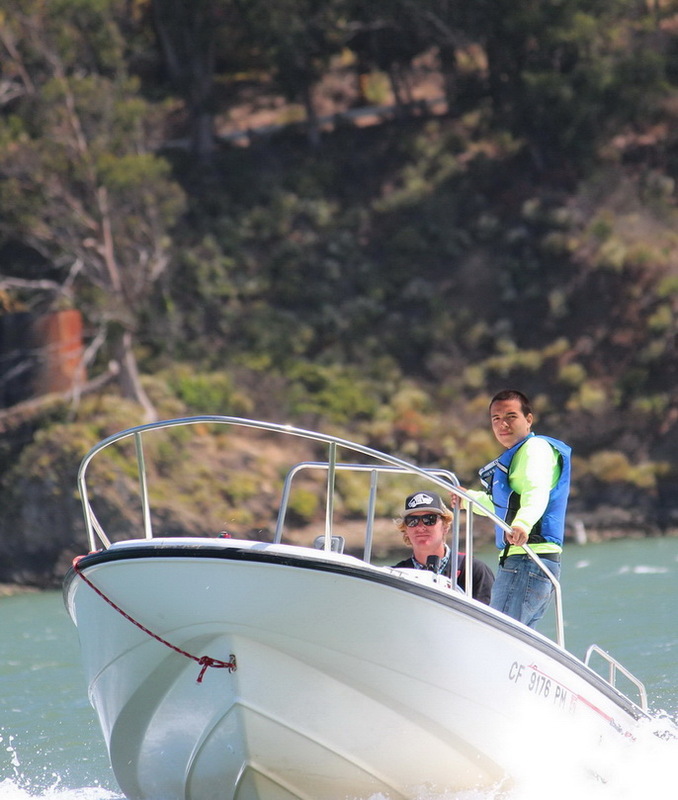 Before the boats could make one loop in Clipper Cove, Rosa was already at the helm. Bruce is an expert with kids and made sure he could instill the confidence Rosa needed to become strong and face her fear. 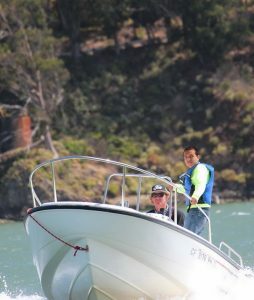 As she steered the boat downwind, it was apparent Bruce had done his job and Rosa had made a tremendous step forward. 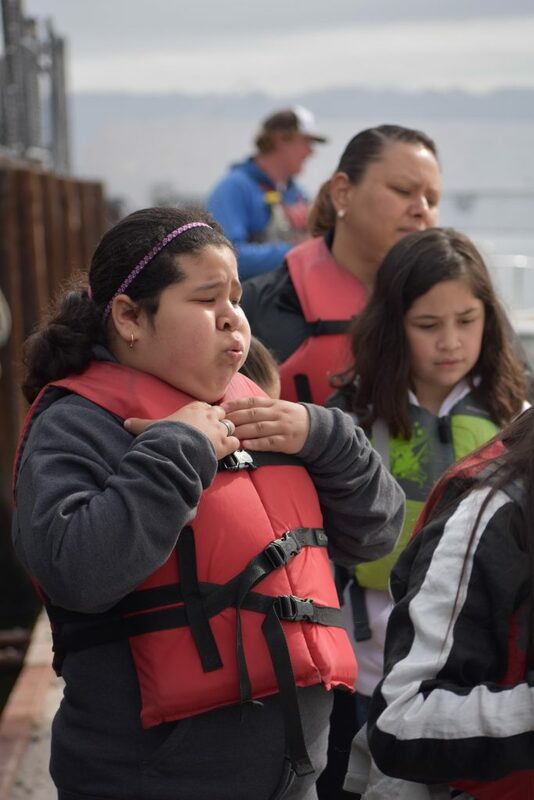 Her transformation was empowering for her classmates and everyone involved. 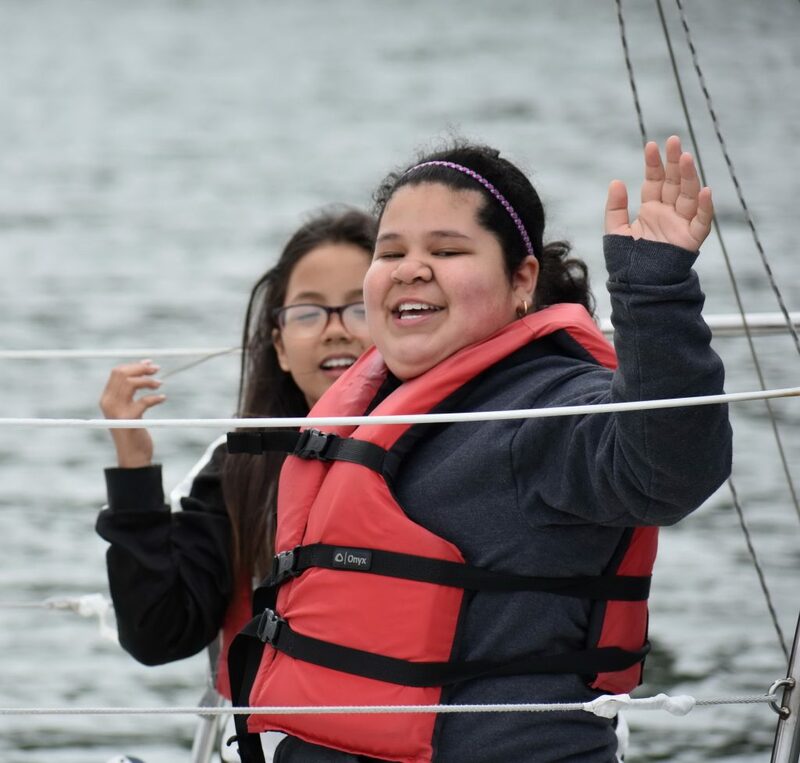 While this was certainly Rosa and her classmates’ first sail, it might also have been the first big step forward in learning to conquer fear. 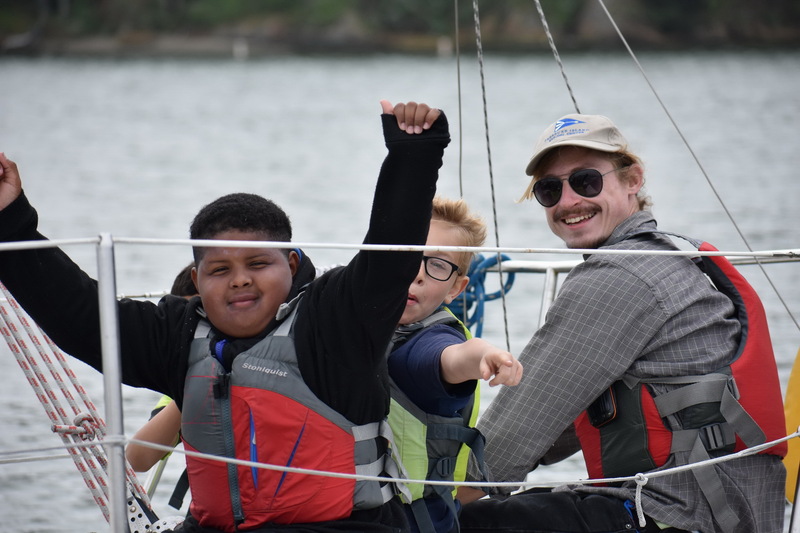 Although they later enjoyed their Power of the Wind lesson in the classroom (who wouldn’t have fun building wind-powered land yachts), these kids will never forget the power they felt in that very light morning wind while sailing in the safety of Clipper Cove. 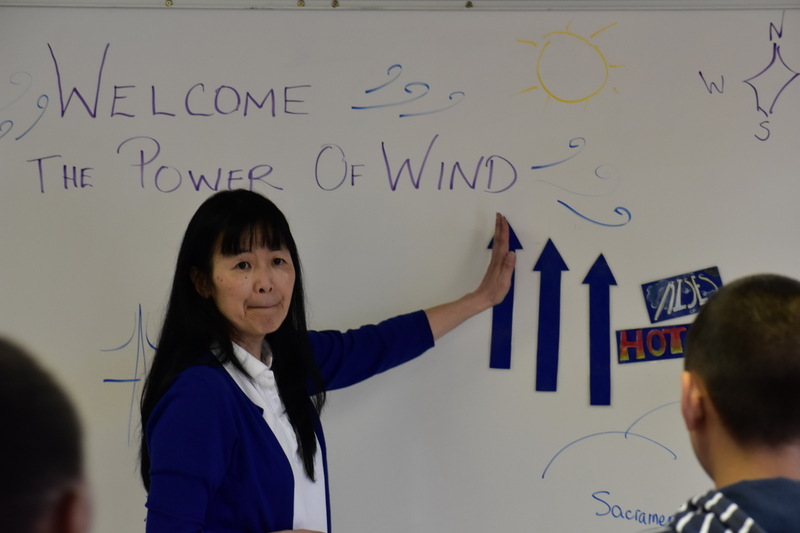 The Power of the Wind – Life Changing ? – we think so! 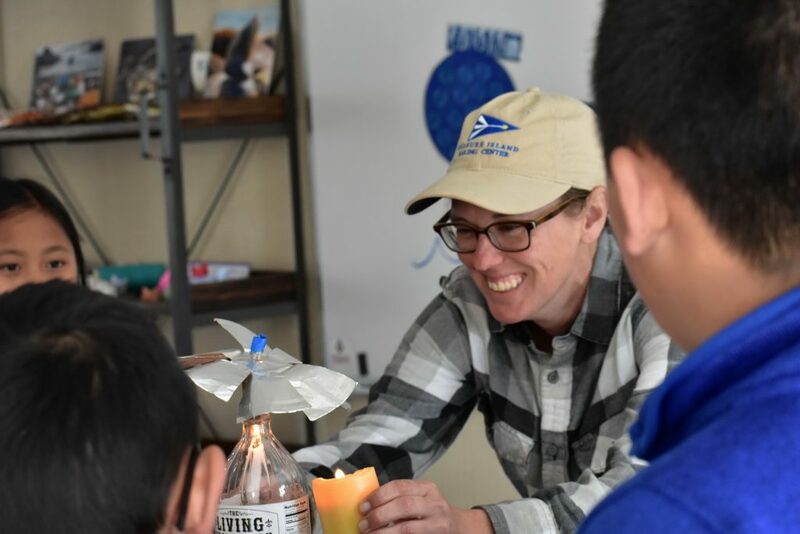 In case you missed our April newsletter, you can read about it here. 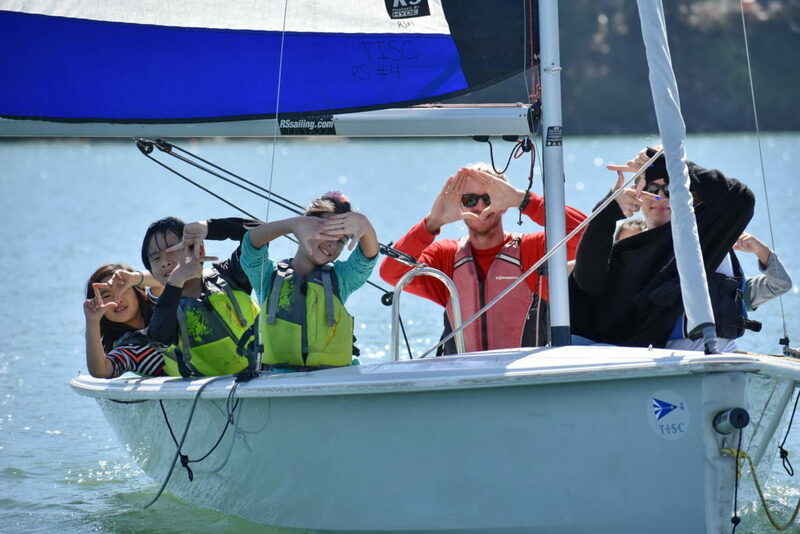 While the level of high school racing is a step above Set Sail Learn in terms of sailing abilities, these two activities share one thing in common – The life lessons, friendships and joy of sailing in the protected safety of Clipper Cove. 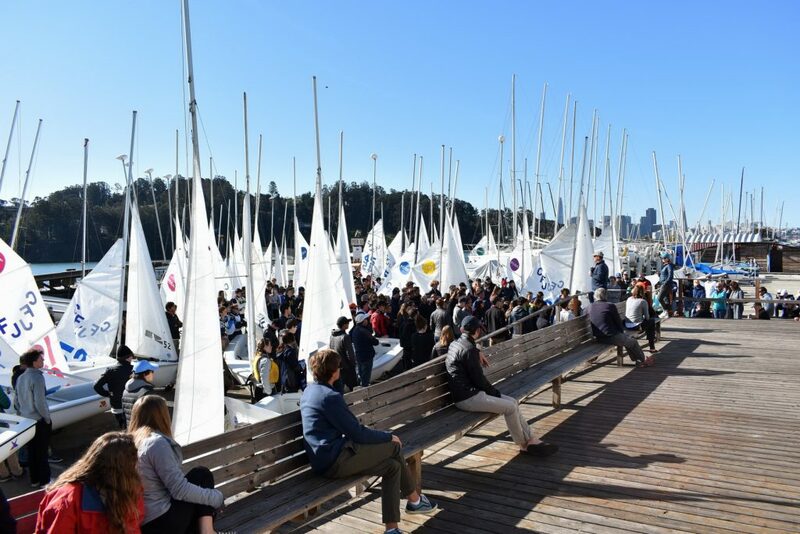 Below are a few photos from the 2018 Golden Bear regatta attended by 256 sailors and another 150+ parents, friends and coaches from 26 high schools. 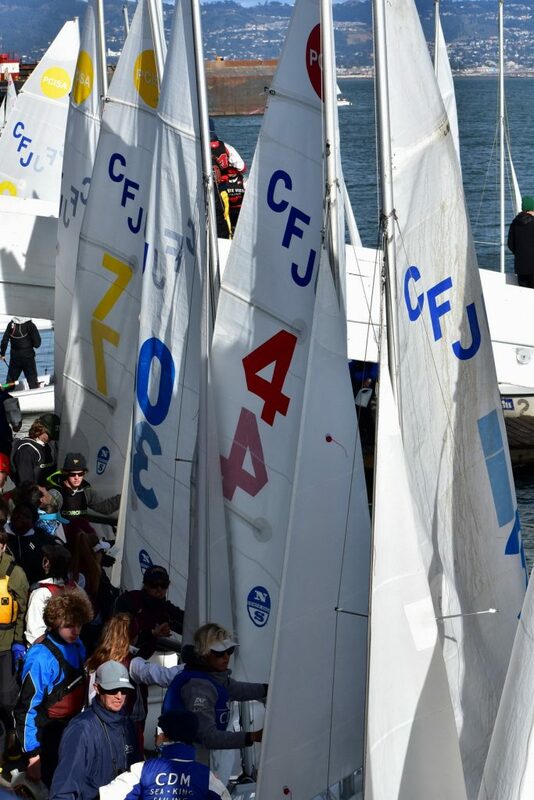 What a scramble at the docks when 4 divisions switched teams in 64 boats ! Did I mention- THANK YOU VOLUNTEERS ! 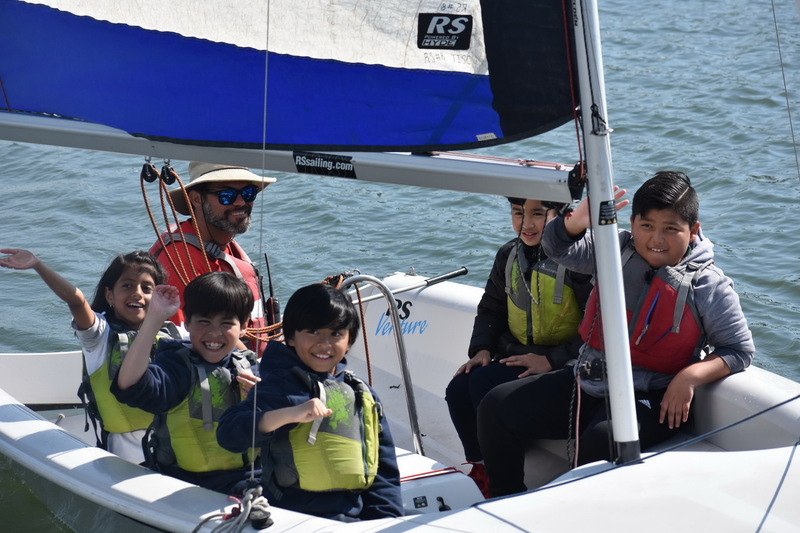 Set Sail Learn, our experiential STEM program for San Francisco 4th graders, passed the 5,500 “smiles” milestone during the Fall 2017 Session. 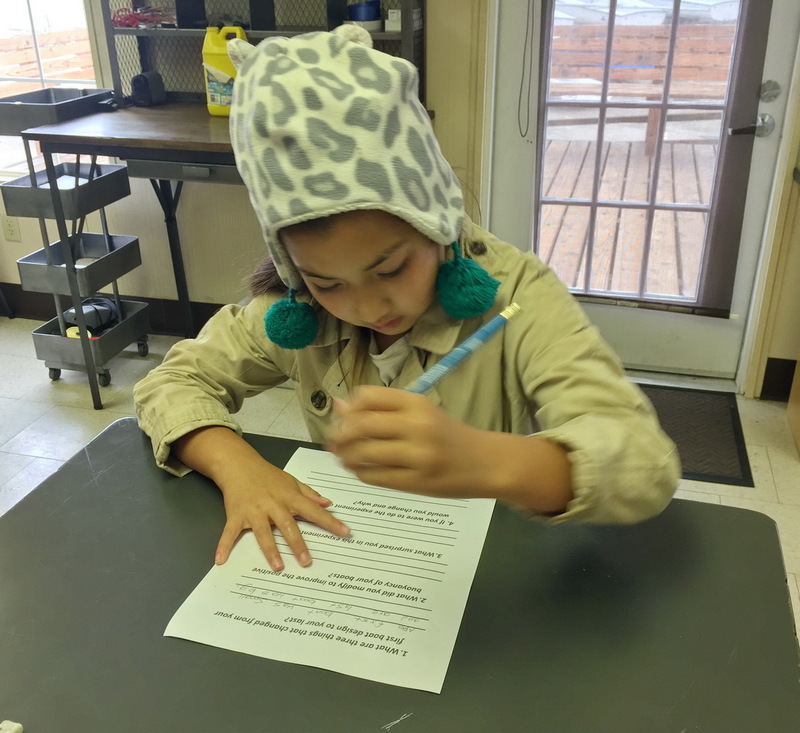 Students learned about history, ecology and renewable energy. 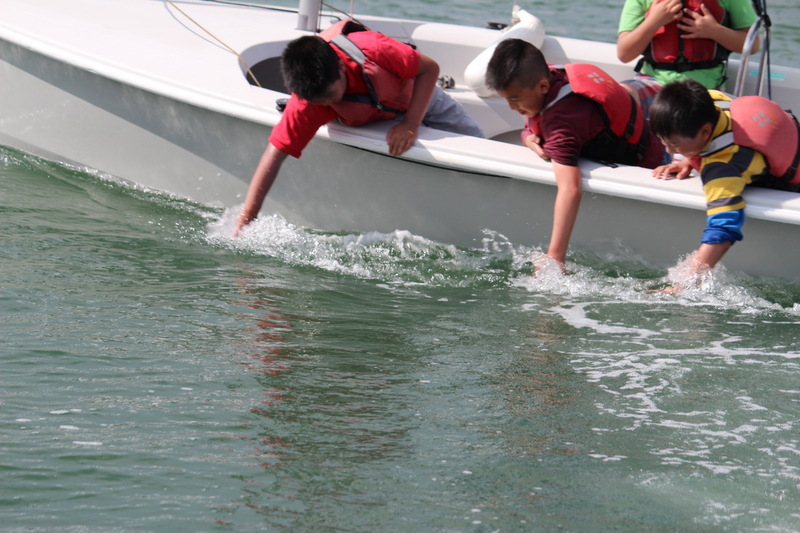 And buoyancy by building and testing their own watercraft! 654 4th grade students attended one of the 25 Set Sail Learn classes at Treasure Island Sailing Center during our just-completed Fall 2017 session. 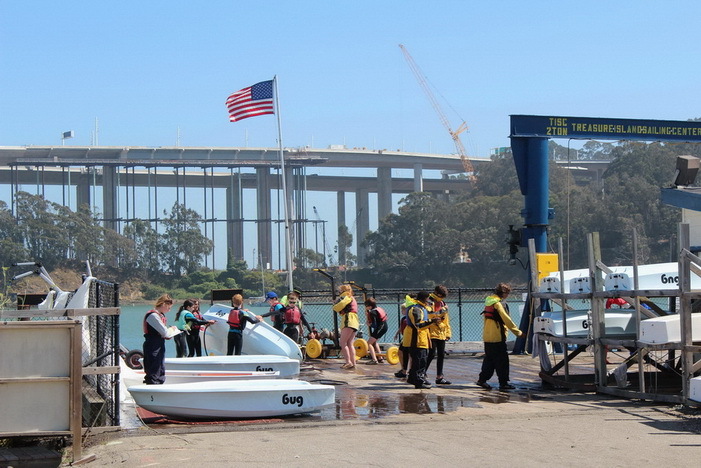 These youngsters came from 13 San Francisco Unified School District schools. 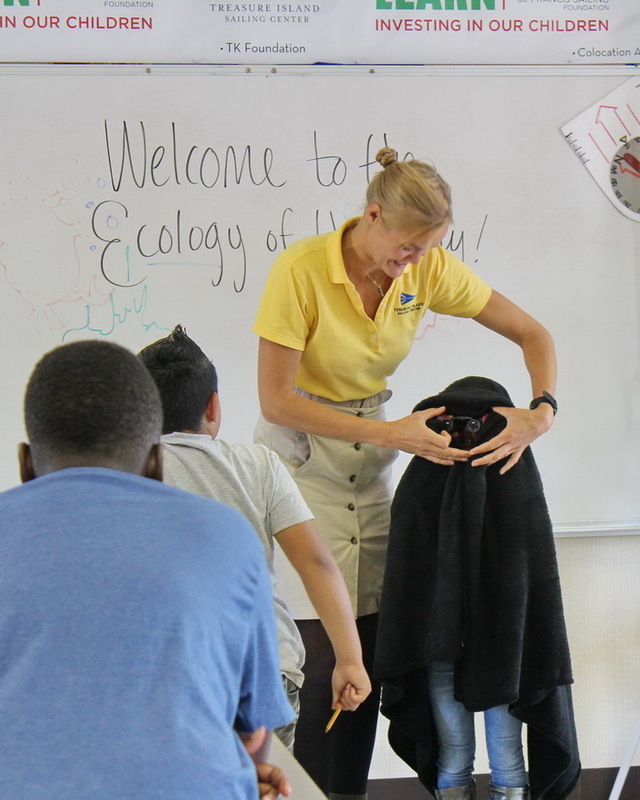 On Wed., Oct 25, 2017 we had 29 students from the Francis Scott Key Elementary School. 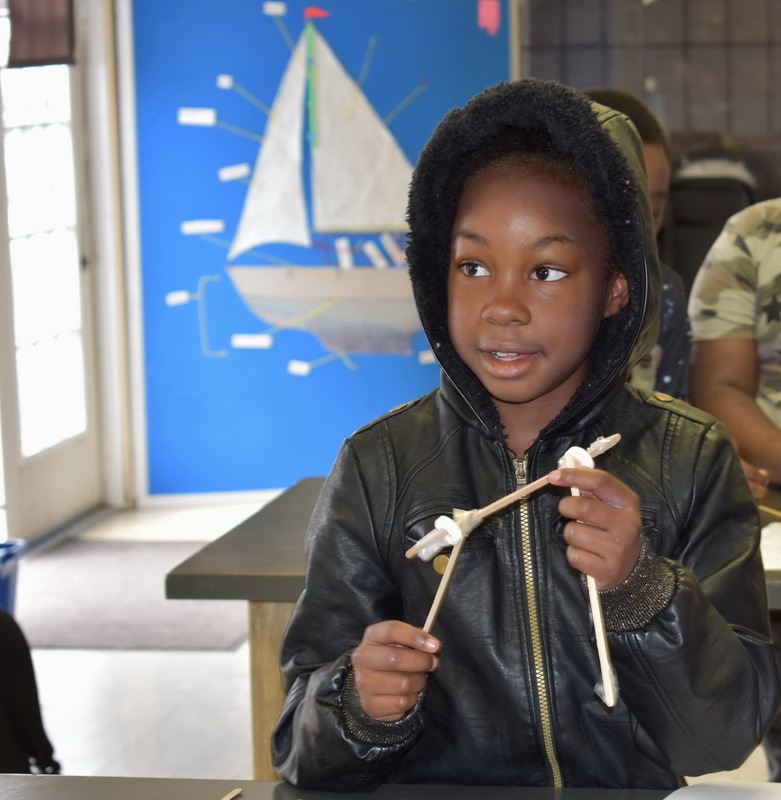 Since the start of the program in Fall 2013, students from this school have come every Fall session (except 2015), with a total of 9 classes and 273 attending our SSL program! Each class had the option of studying Ecology of the Bay, Renewable Energy (with a focus on wind power) or Watercraft Engineering (with a focus on buoyancy). 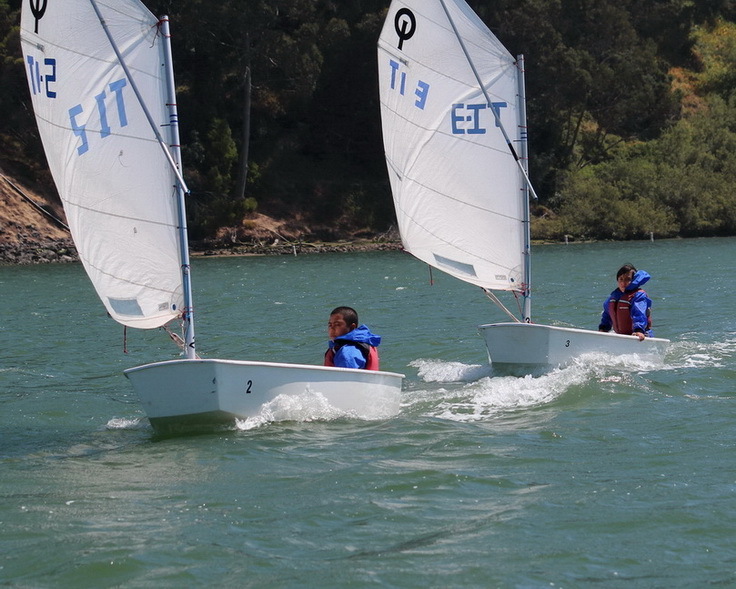 Along with these studies in our activities center, students sailed in RS Venture or J24 sailboats. 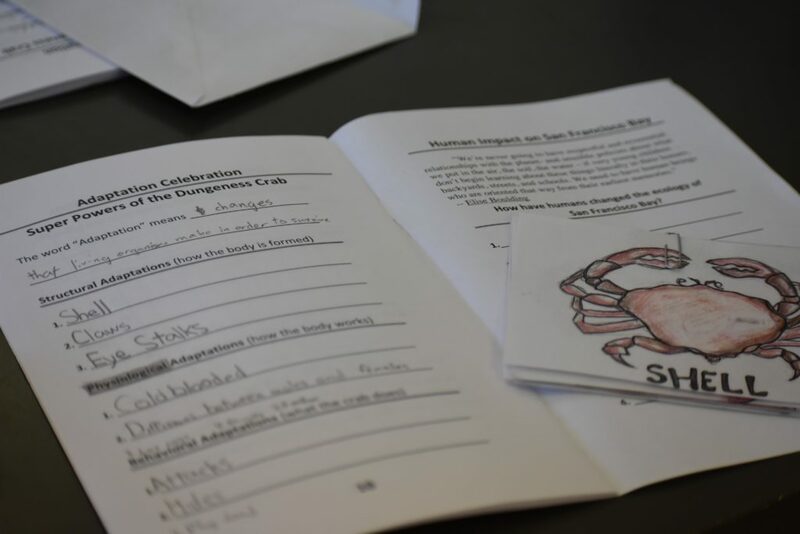 Students from the Francis Scott Key Elementary School connected with crabs as a way to learn about the Ecology of SF Bay. 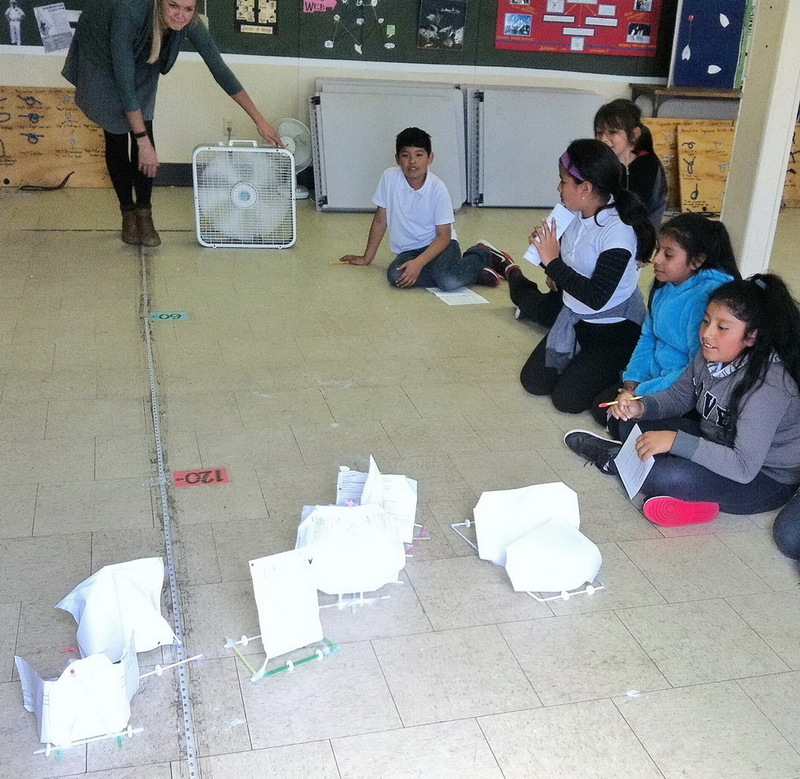 … and then built “wind cars” as part of their study of Wind Power. 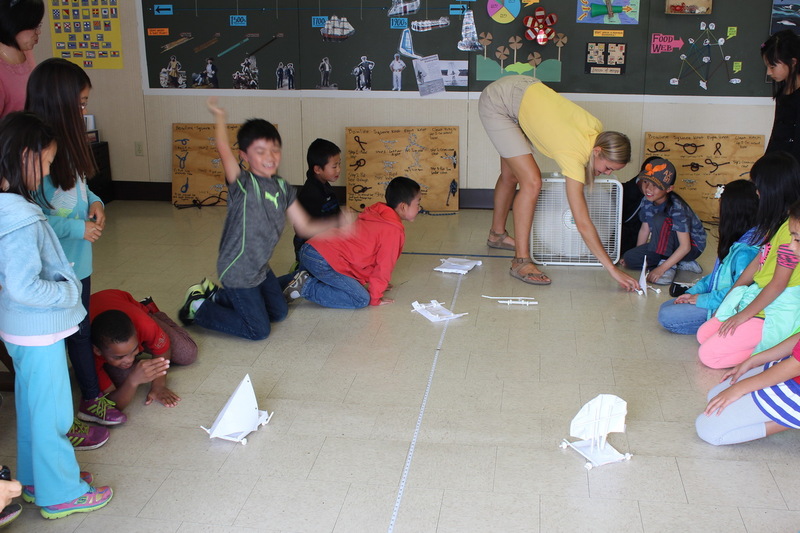 Testing and racing the “wind cars” was the most fun! 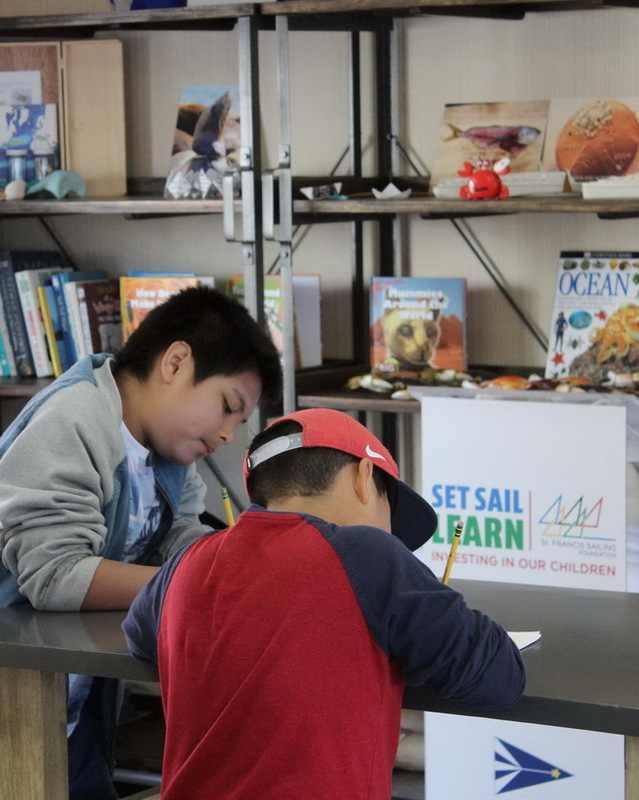 Set Sail Learn classes alternate interactive discussions and study in the activity center with sailing on Clipper Cove. 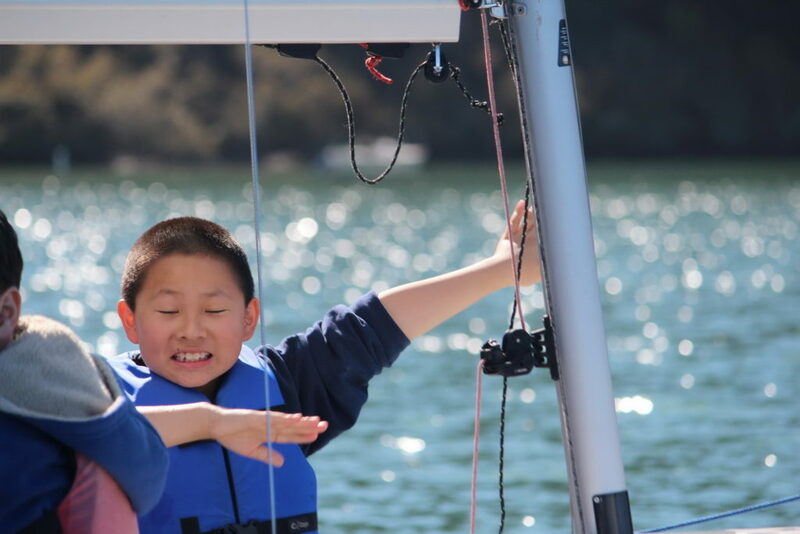 Big smiles from “hands on” not only in the classroom activities but also on the tiller, actually driving J24 sailboats. 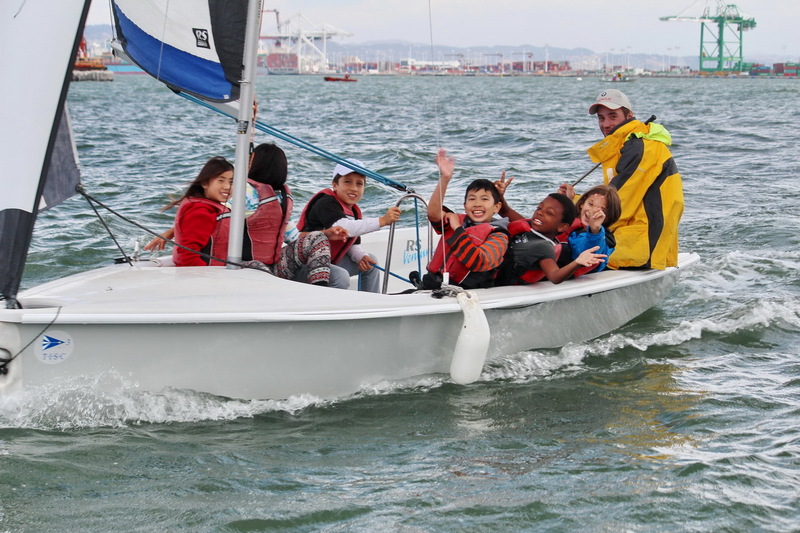 At the conclusion of the Fall 2017 SSL session, 5,526 SFUSD students have attended 212 Set Sail Learn classes at TISC on Clipper Cove. They represented 39 schools over the last five years. 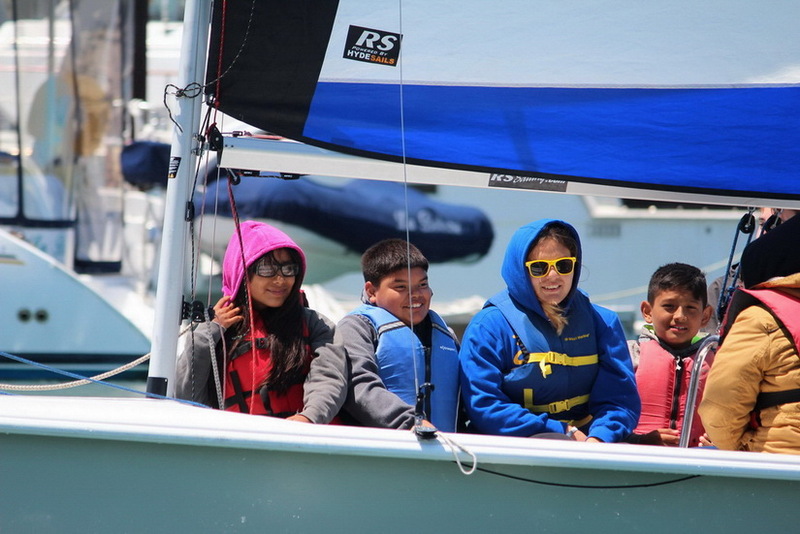 The grant received from St. Francis Sailing Foundation last fall was a game changer for TISC and SFUSD 4th graders. It officially launched the program; enabling the jump from pilot to a fully staffed program that delivers over 45 classes per year – at no charge to the schools. 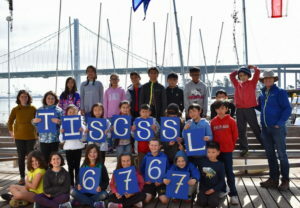 The StFSF grant funds about half of the classes. 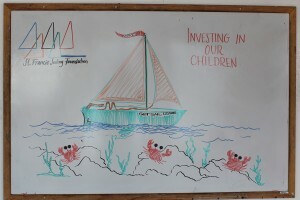 TISC raises the other half through public and private grants along with individual donations. Each SSL class costs approximately $1,500. 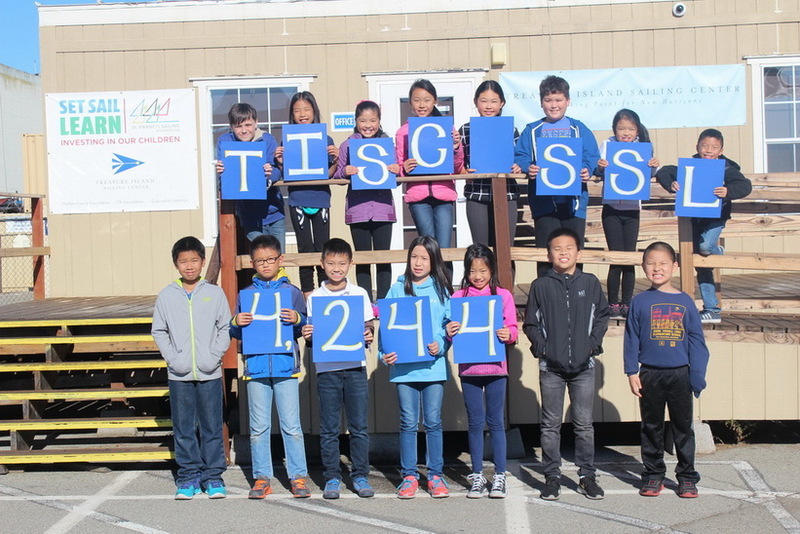 If you are able and inclined to make an investment in the future of our children, please consider making a donation to the TISC annual fund – every donation helps no matter how much you are able to invest. If you act by December 31, 2017 your donations, up to $12,500, will be matched dollar for dollar. You can DONATE HERE. Along with the Growth in our Set Sail Learn program, other TISC programs or activities sponsored by TISC have also grown. 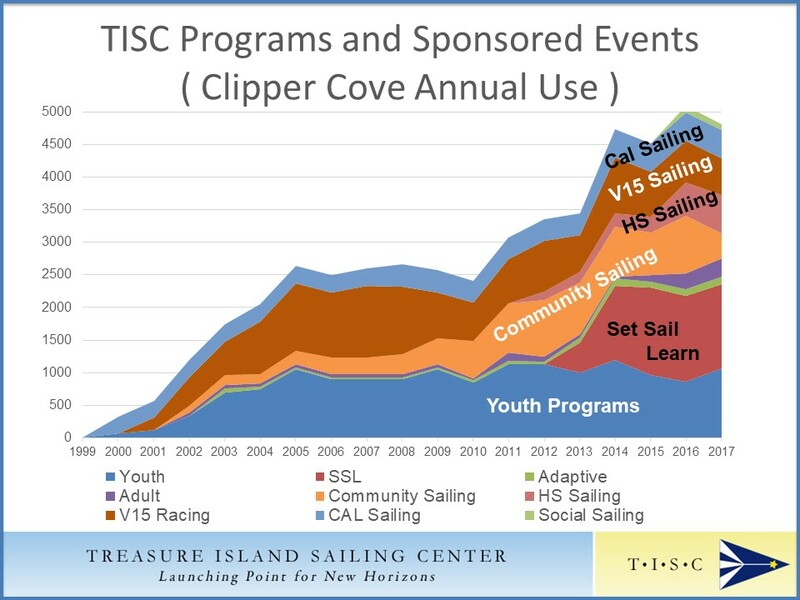 The graph below shows the usage of Clipper Cove by TISC students and sailors, kayakers and paddlers who use TISC as a Launching Point for New Horizons. You can check out more of the 5,000 Set Sail Learn smiles in the posts below. 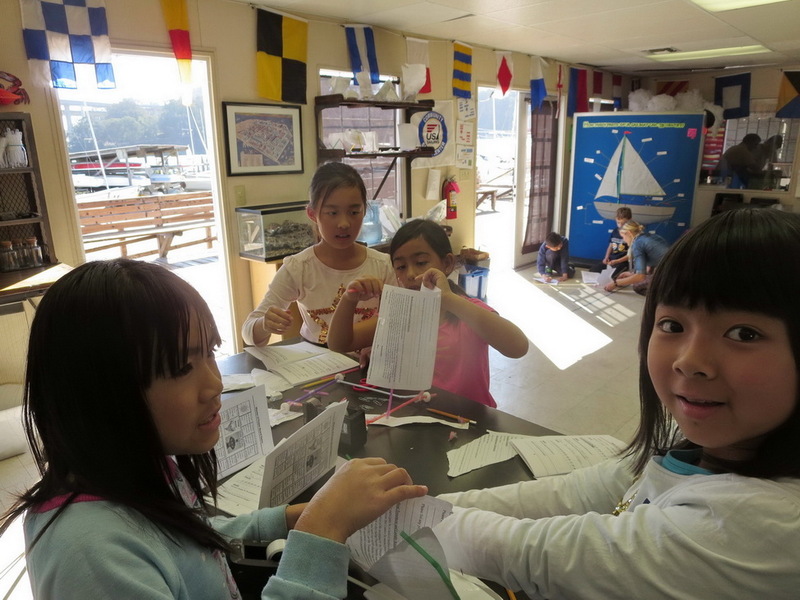 Dianne Feinstein Elementary is no stranger to learning STEM at Treasure Island Sailing Center on Clipper Cove. 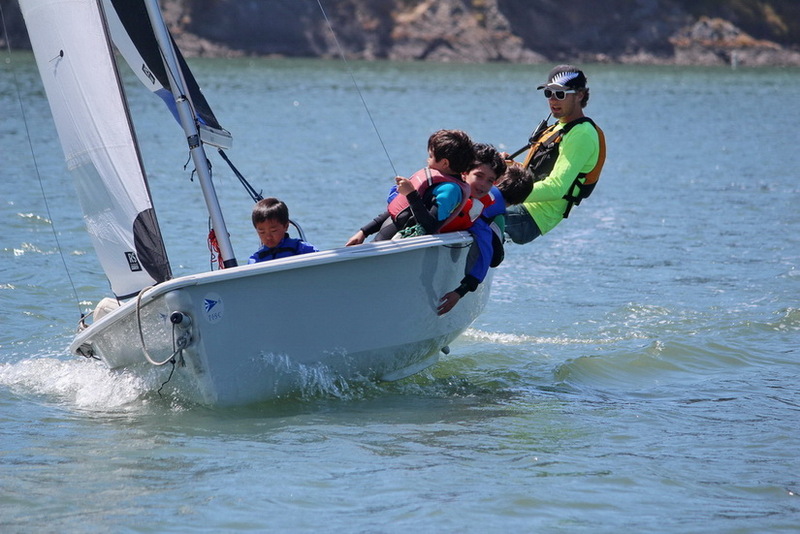 They’ve participated every year since the program’s 2013 inception. This week their class brought the 4-year total SSL smiles to over 5,000. 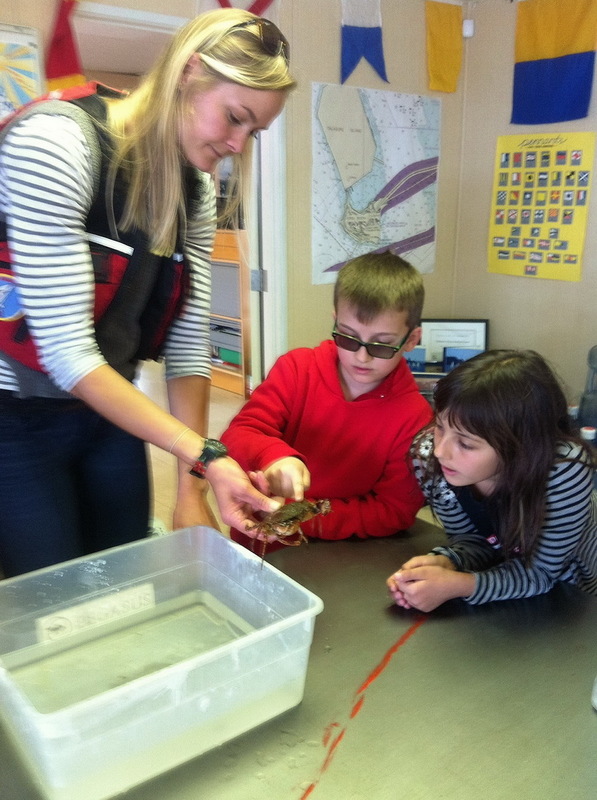 Just like many classes before them, these kids had a “crabby” day studying ecology of the bay. 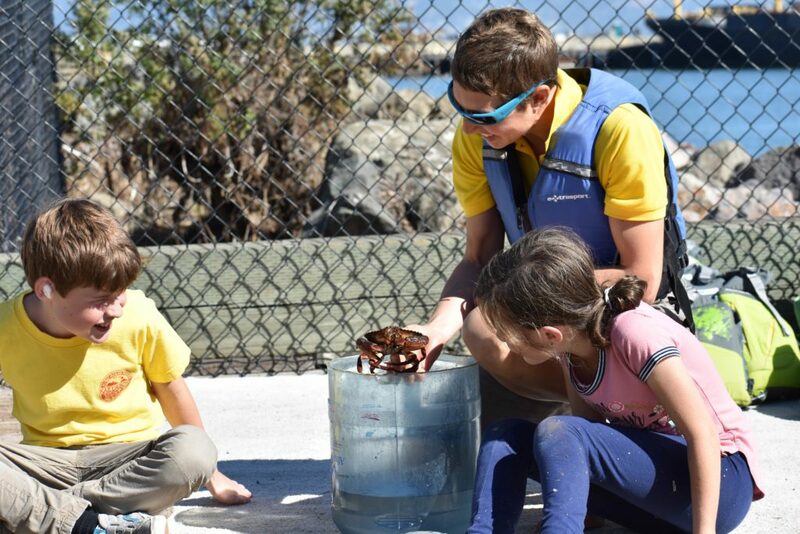 Games featuring the food, shelter and oxygen needs of undersea creatures lead to a better understanding of what it takes to sustain life in the sea. 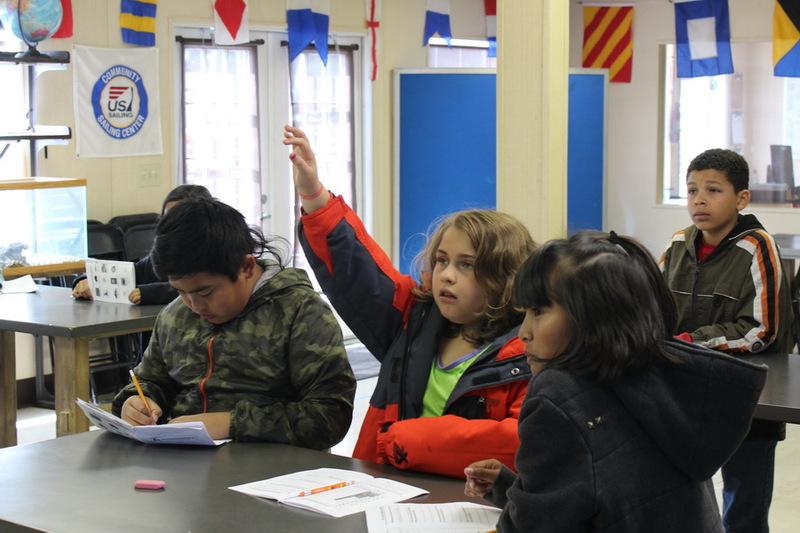 Learning about math, statistics and graphing always seems so much more in the TISC Activity Center ! 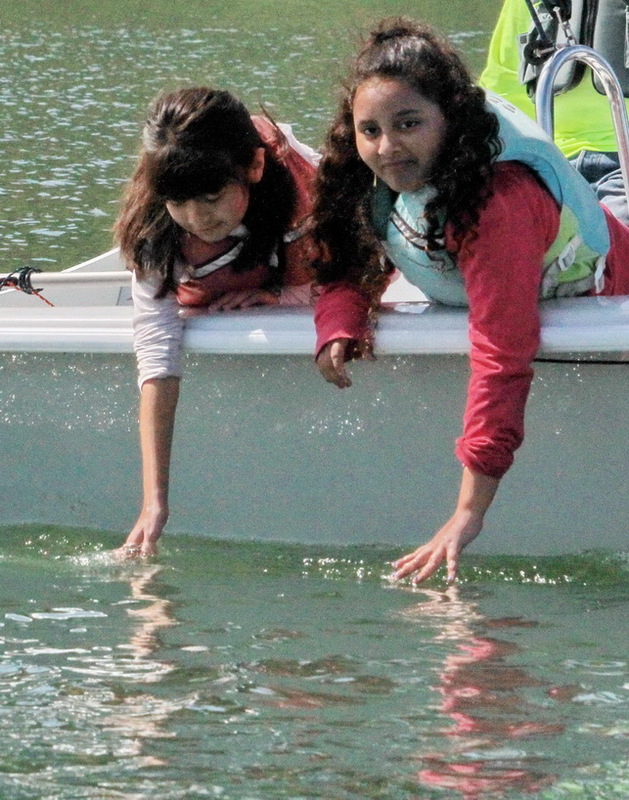 Of course time on the docks checking out what’s in the water adds to the fun. 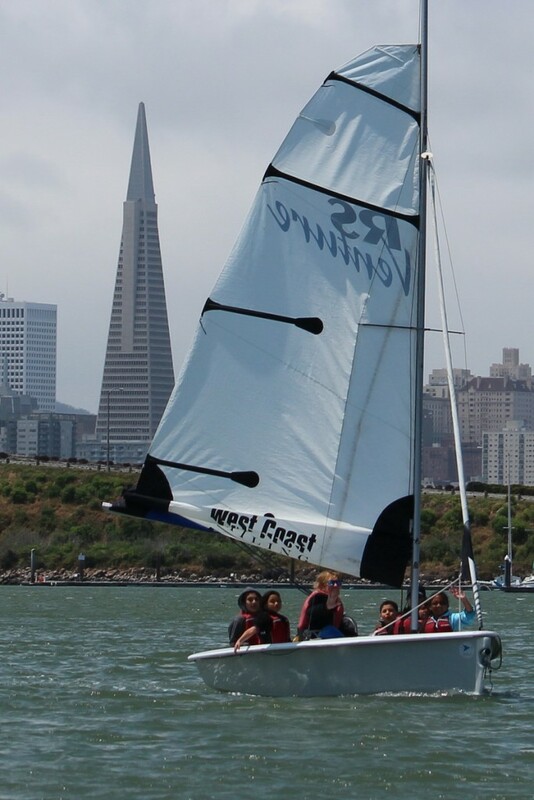 Set Sail Learn classes also provide every student with an opportunity to get out on Clipper Cove to experience the wind and water in a safe, protected environment away from the commercial traffic, high currents and large waves of San Francisco Bay. 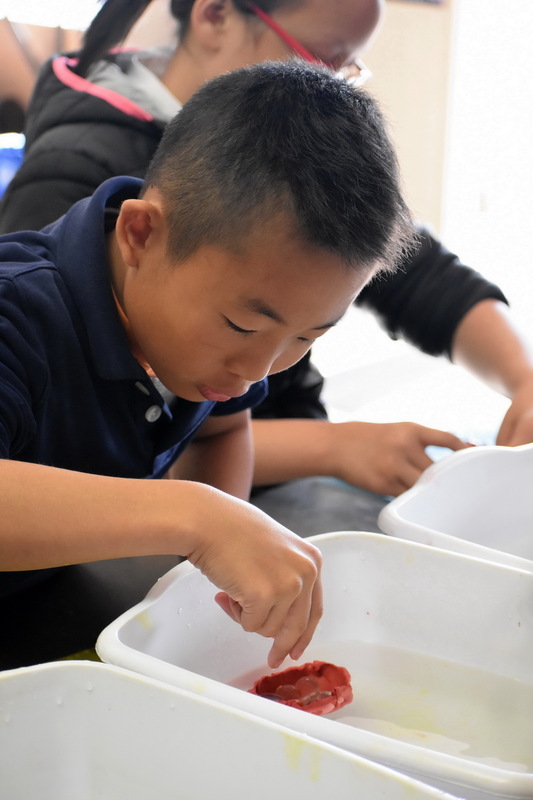 The Dianne Feinstein School supplements a standards-based education by using hands-on practices and games to reinforce skills and make learning fun, differentiation to meet students’ needs, and enrichment programs that include science and arts. 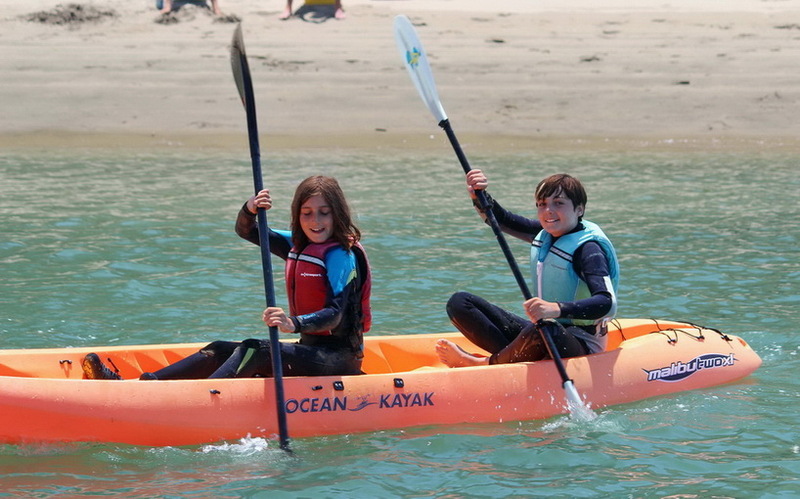 The TISC SSL experiential learning approach is an ideal match for their kids. 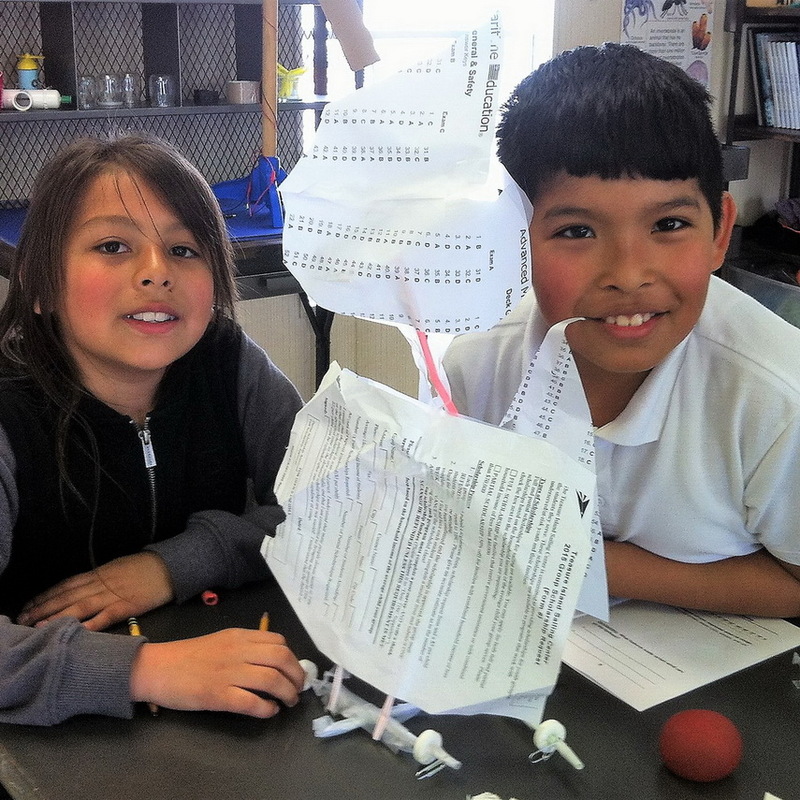 Set Sail Learn, our experiential STEM program for San Francisco 4th graders, passed the 4,800 “smiles” milestone during the Spring 2017 Session. Students learned about history, ecology and renewable energy. 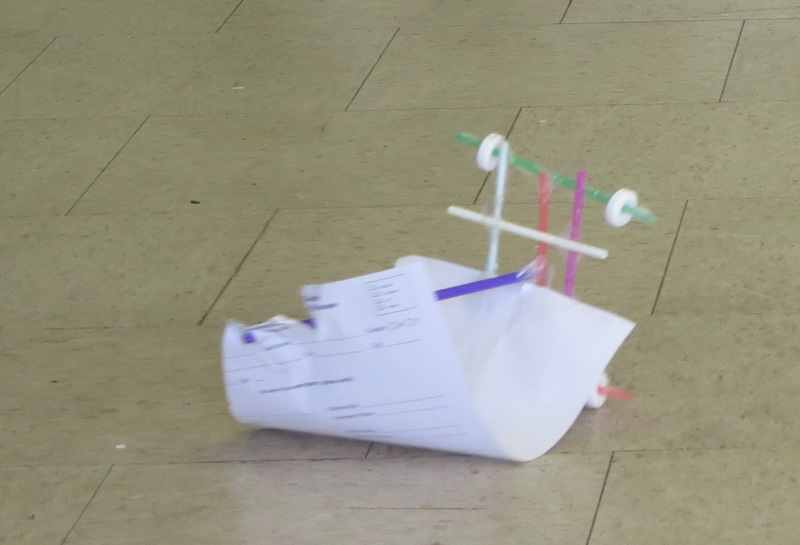 And buoyancy (some ships floated, some sank) ! 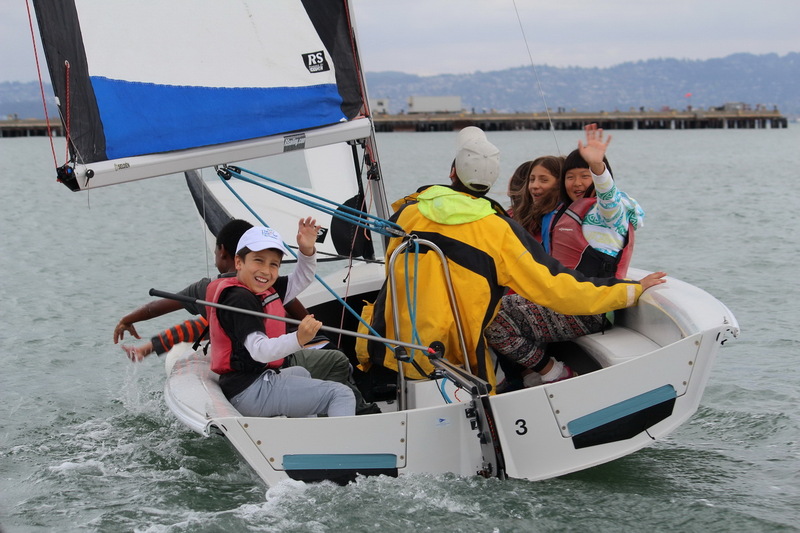 725 4th grade students attended one of the 28 Set Sail Learn classes at Treasure Island Sailing Center during our just-completed Spring 2017 session. 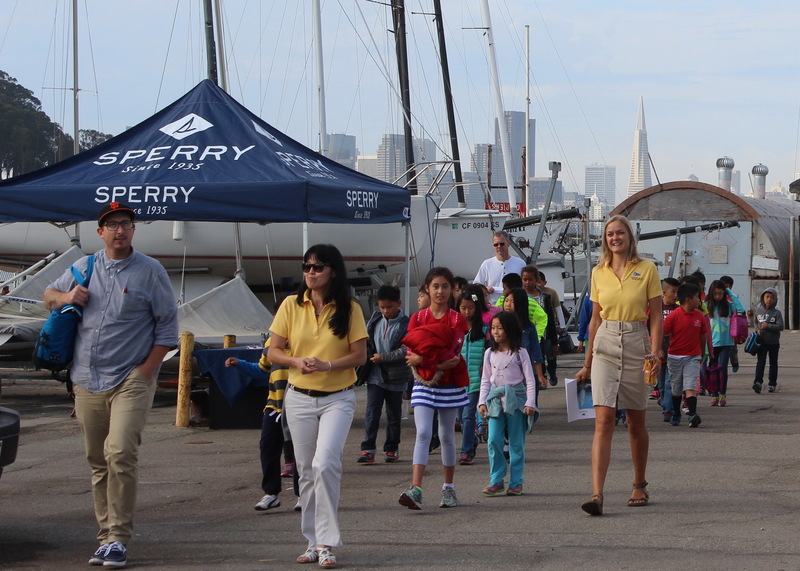 These youngsters came from 19 San Francisco Unified School District schools. 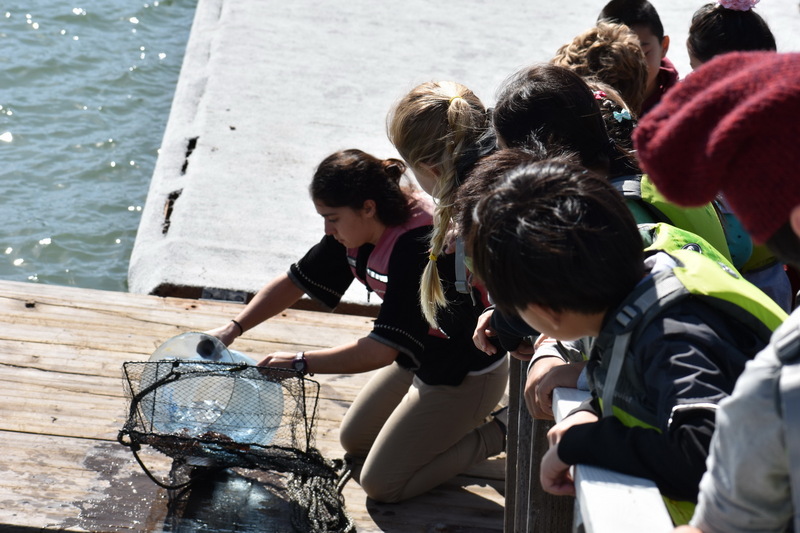 Each class had the option of studying Ecology of the Bay, Renewable energy or Maritime History of SF Bay. 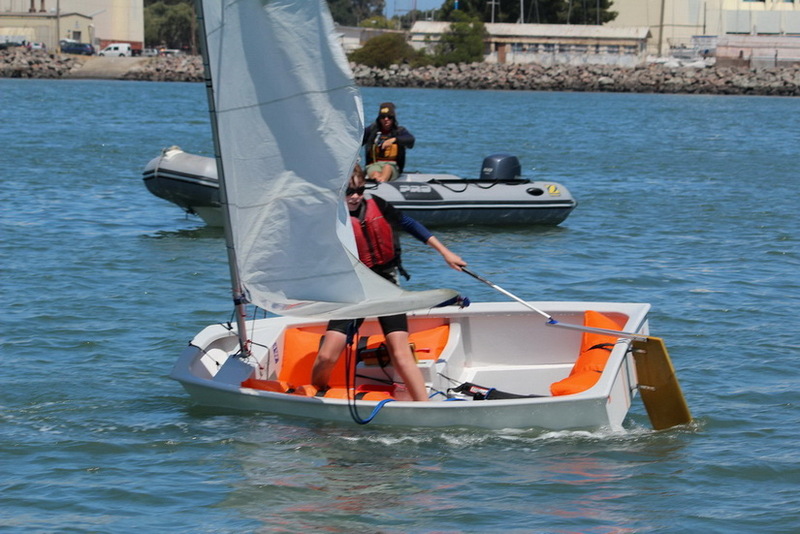 Along with each class students sailed in RS Venture sailboats. 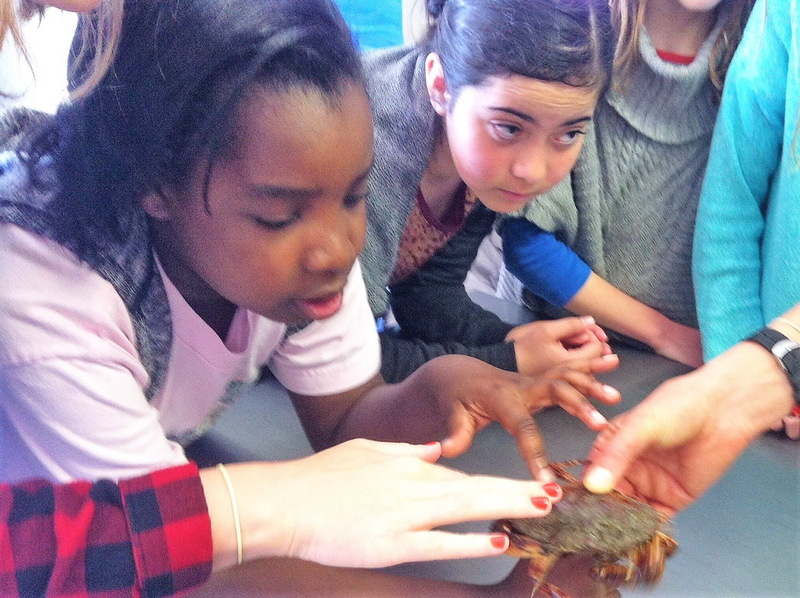 Students from the McKinley Elementary School connected with crabs as a way to learn about the Ecology of SF Bay. 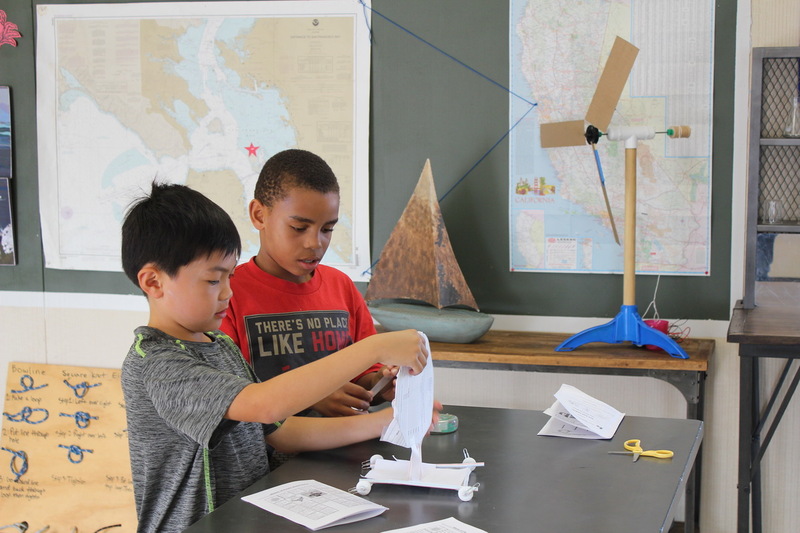 A class from the Paul Revere Elementary School built “land yachts” as part of their study of Wind Power. 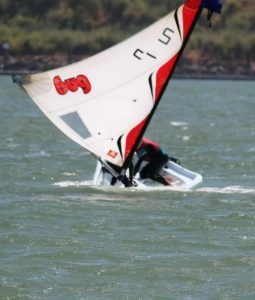 Racing was the most fun ! 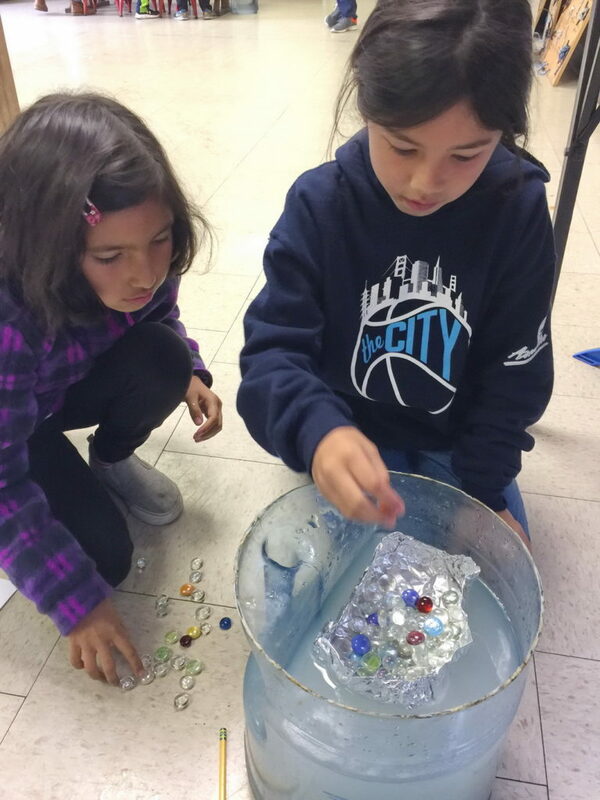 Argonne elementary school studied buoyancy then put their knowledge to a test when they experimented with “ships” that supported the weight of light (they floated) and heavier (those ships sank) objects. 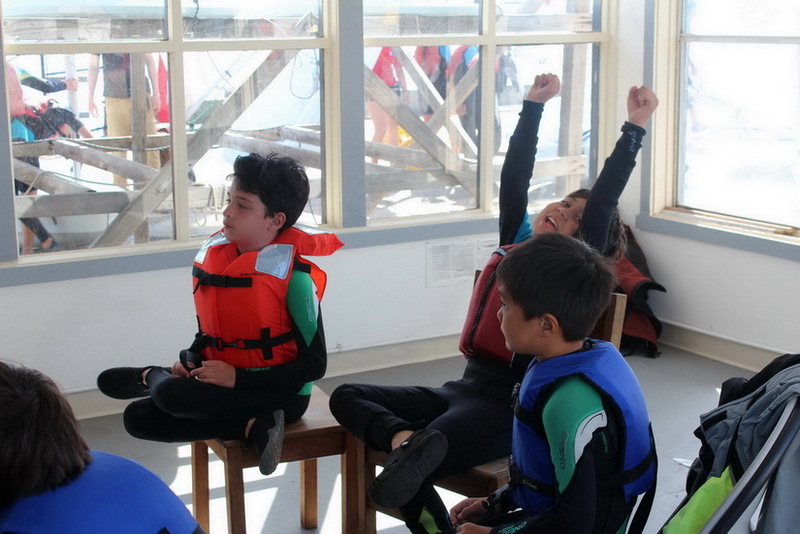 Class discussions on buoyancy discussed terms like “positive”, “neutral” and “negative”. Lots of help here from Archimides and Newton. Then came the testing. 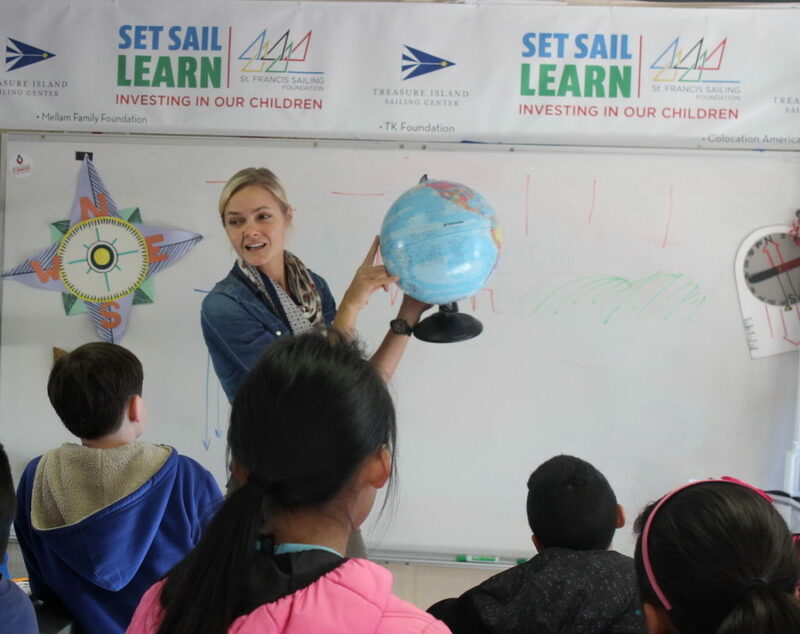 Set Sail Learn classes alternate interactive discussions and study in the activity center with sailing on Clipper Cove. 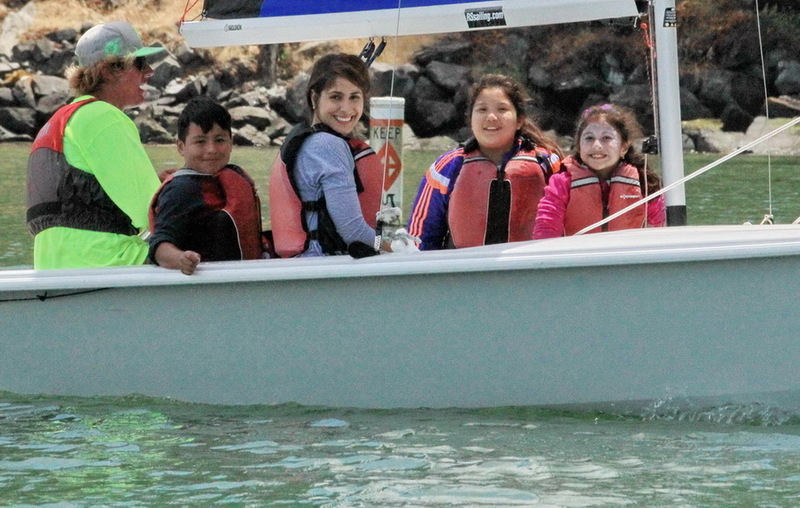 Big smiles from “hands in” (the bay) study as well as “hands on” (the tiller) experience driving RS Ventures. Discussing the history of the Bay is more fun when sailing ON the Bay with the huge cranes from Oakland in the background. 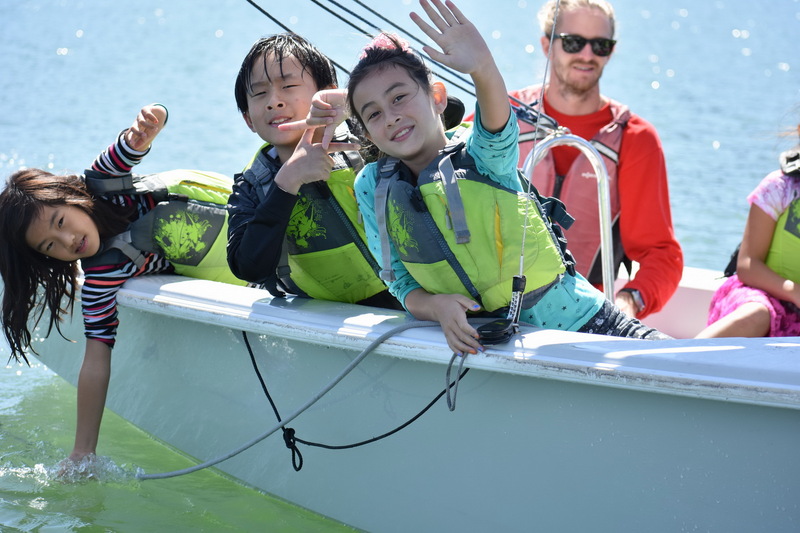 As the Spring 2017 Set Sail Learn session comes to an end, the focus at TISC and on The Cove turns to our summer programs. 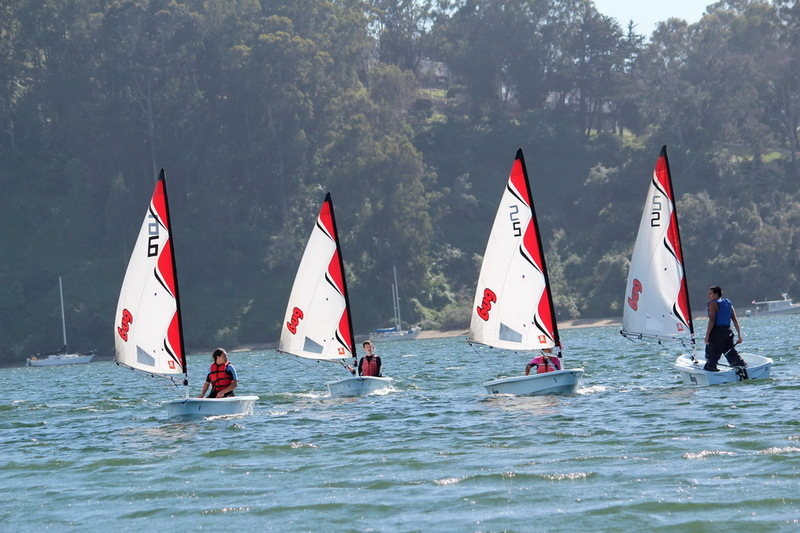 Registration is still open for selected summer sessions. Check out the schedule and register HERE. 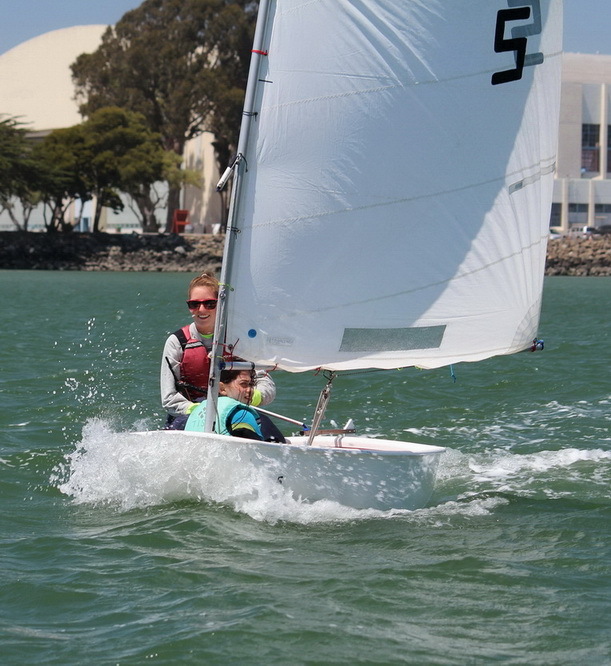 Fun times are ahead, and scholarships are available. 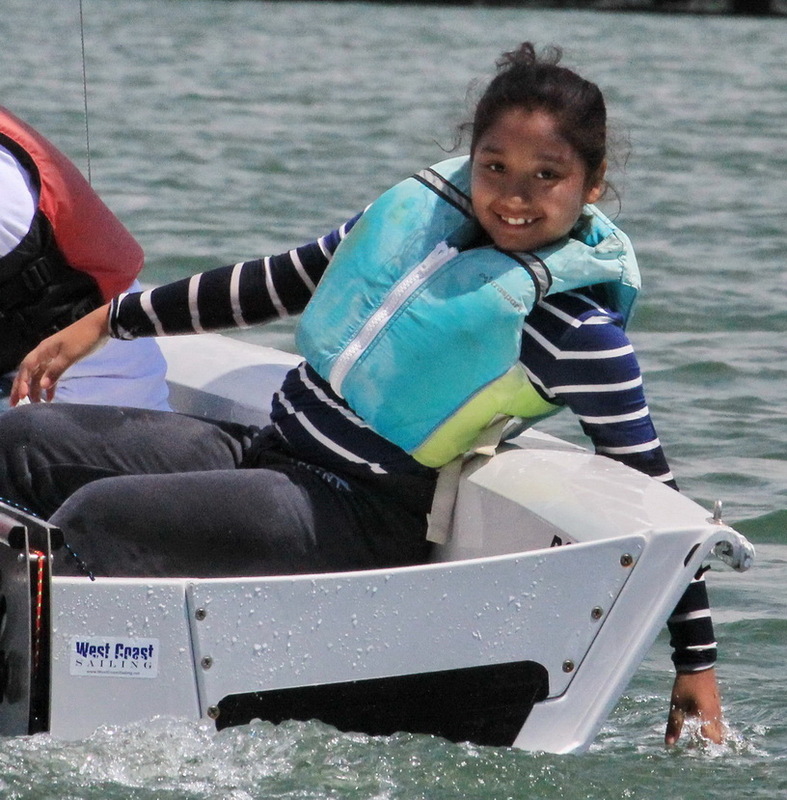 You can check out the smiles from last summer’s programs HERE. 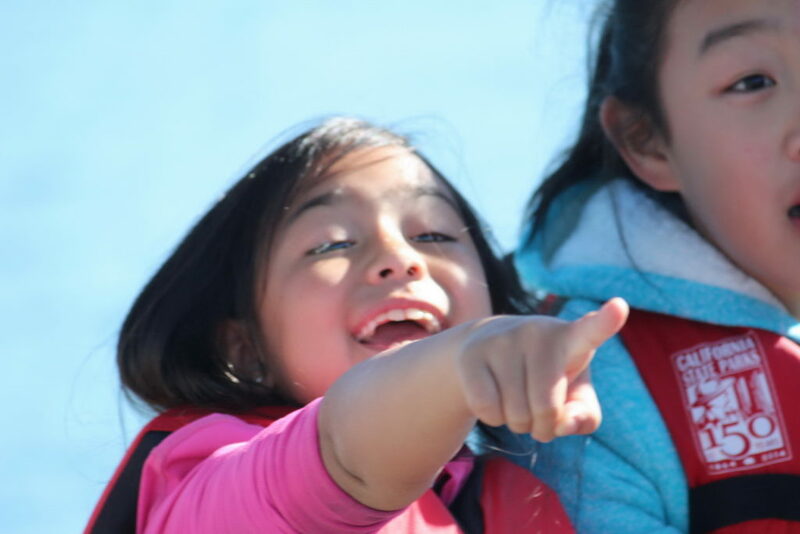 Or see more of the nearly 5,000 Set Sail Learn smiles in the posts below. 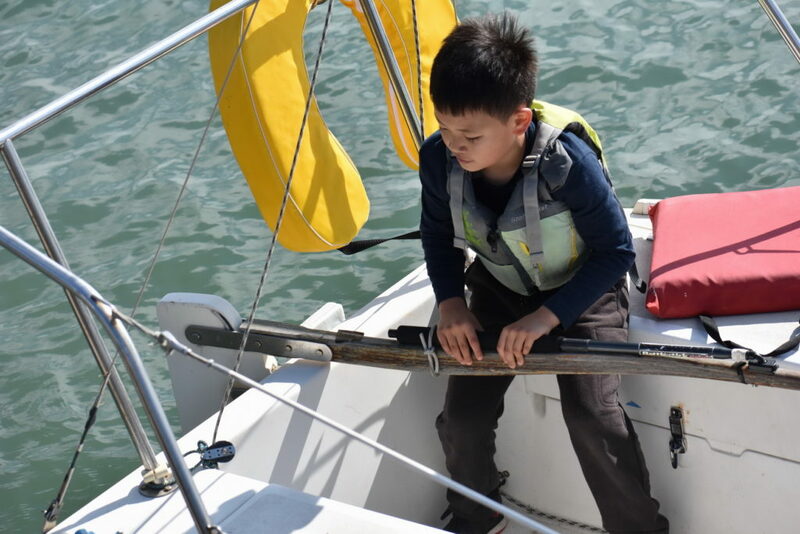 Combine wind, water, sailboats, hands, straws, paper, tape and life-savers with 33 John Yehall Chin Elementary School students. Add seaweed, mix well. 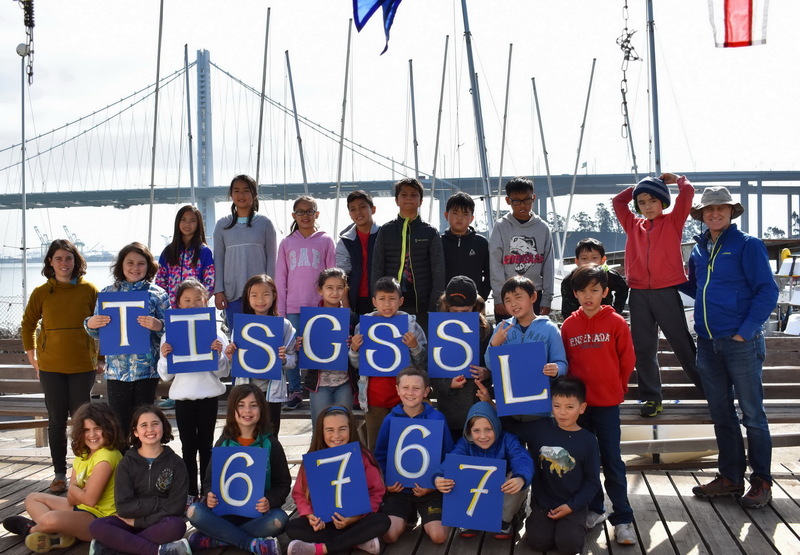 Check out the results – smiles, creative seaweed math, and a major SSL Milestone: the 4,244 4th grader on Clipper Cove. 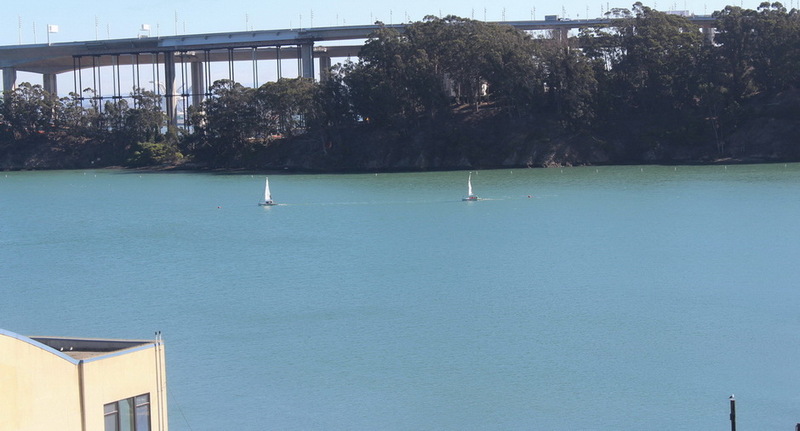 The docks are out and the winds are cool on Clipper Cove these days. 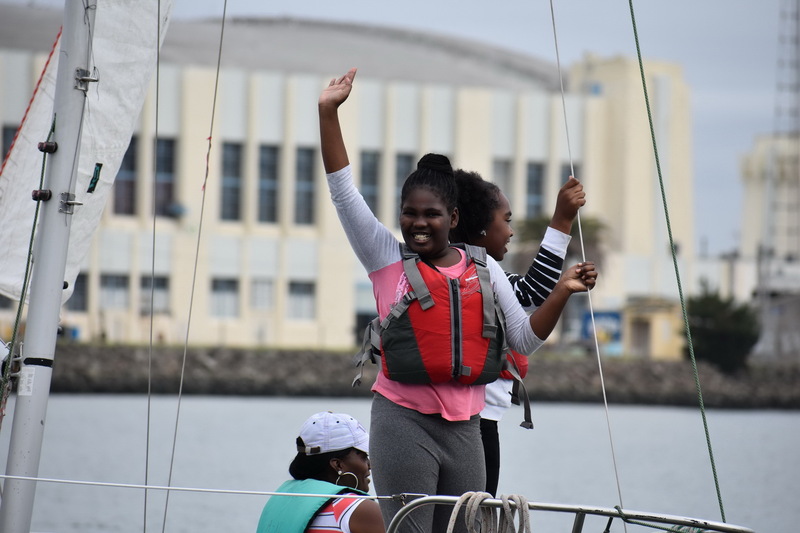 As we wind down a year filled with kids smiles and progress on preserving much of the Cove for future generations, we also wanted to share additional smiles and fun times that marked the seventh Set Sail Learn session since we first launched the pilot program for this unique STEM experiential learning program four years ago. 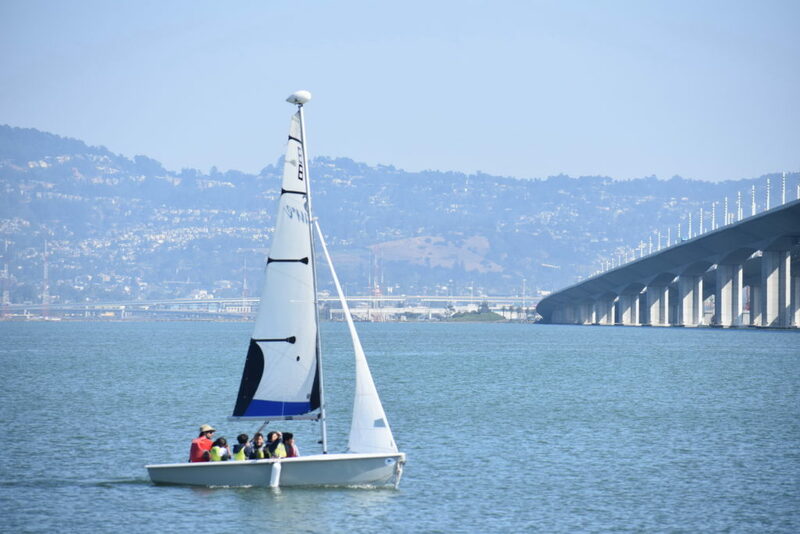 Designed to meet 4th grade California core standards, SSL is a one-day exploration trip incorporating curriculum-aligned science and math learning along with sailing on San Francisco Bay. Teachers can select lesson plans featuring Renewable Energy, Ecology of the Bay or Marine History. The JYC day featured wind energy. 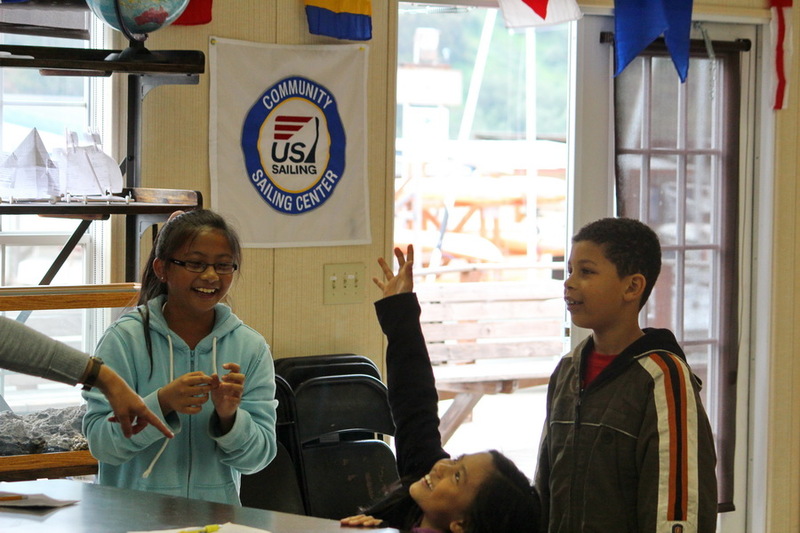 The activity center hosts half the kids for the morning session. 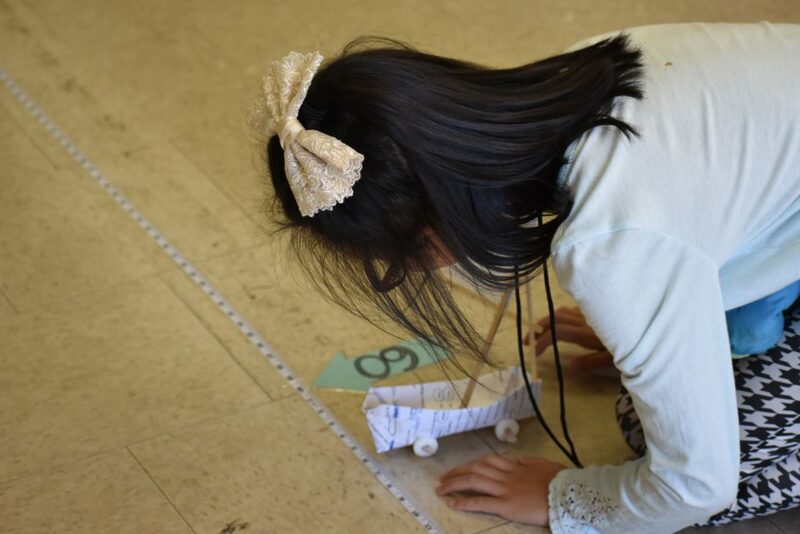 It combines a little bit of lecture, with most time spent on interactive discussion, design challenges and of course “finals”. 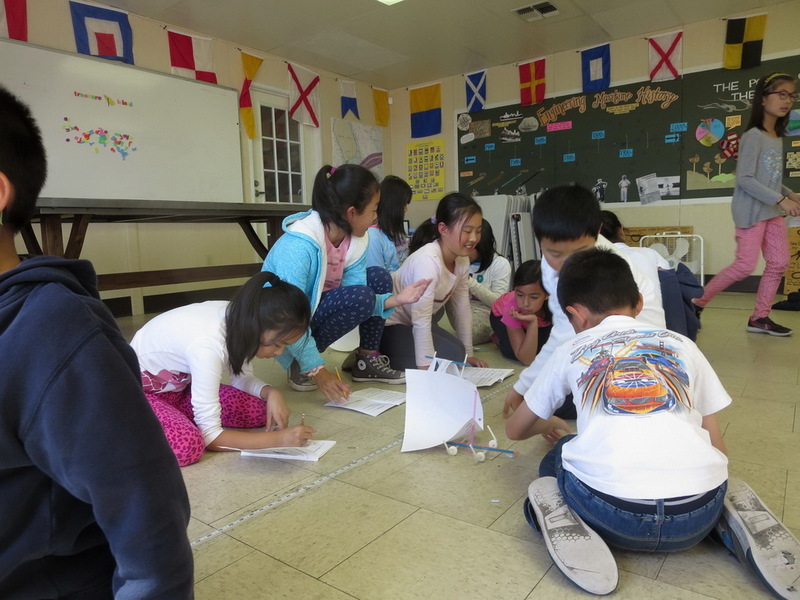 The challenge – build the fastest (or perhaps “stiffest” in sailing jargon) craft using only paper, life-savers, straws and tape. 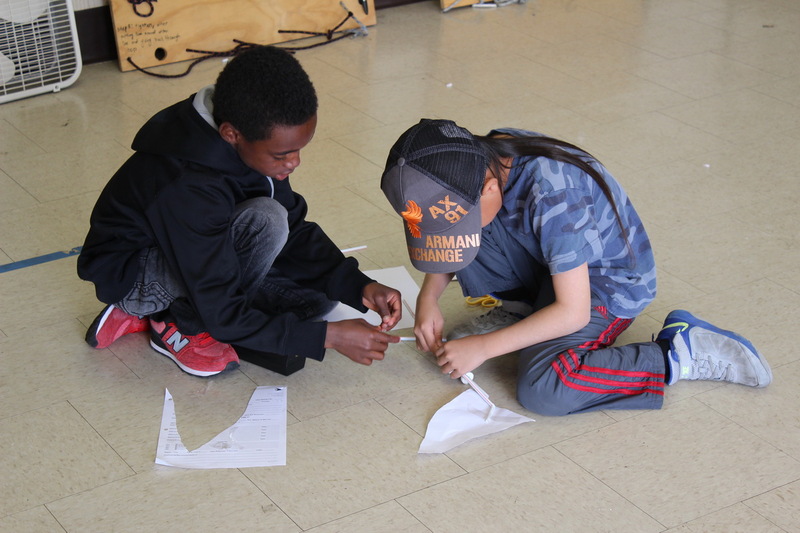 A great time for thinking, creating, engineering and fun. 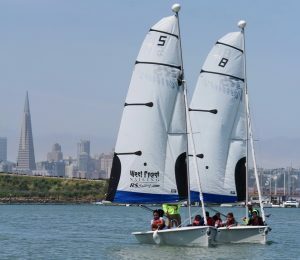 Unique wind cars waiting for the start of their first race. And after the start. 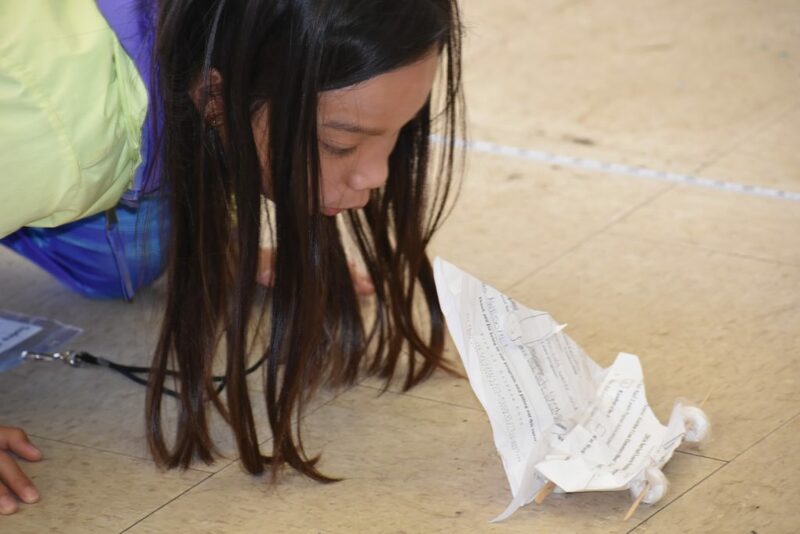 Some times the kids “crash and burn” in the activity center. 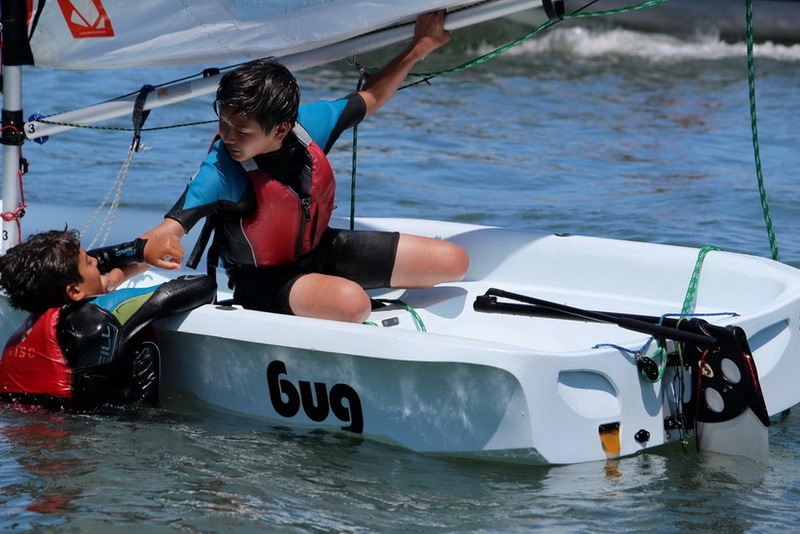 Not that different from learning life lessons (such as self confidence) in our summer session progression program. 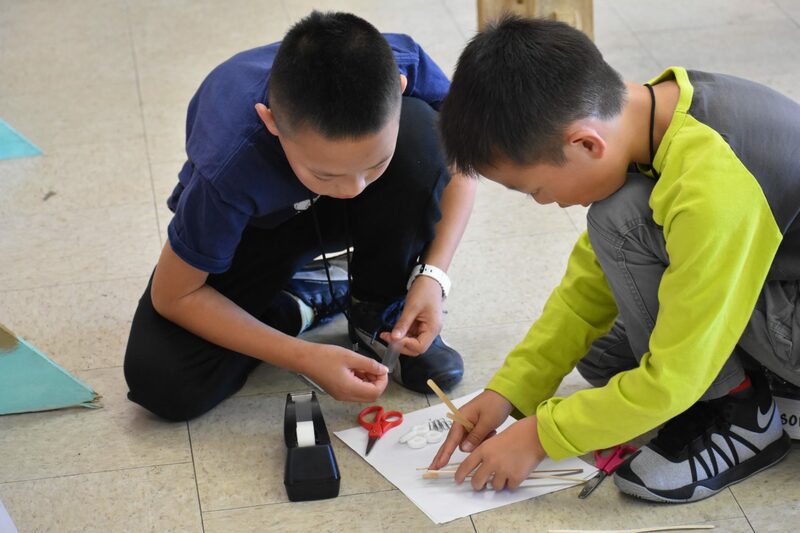 Team work is stressed during the design build phase of the competition. 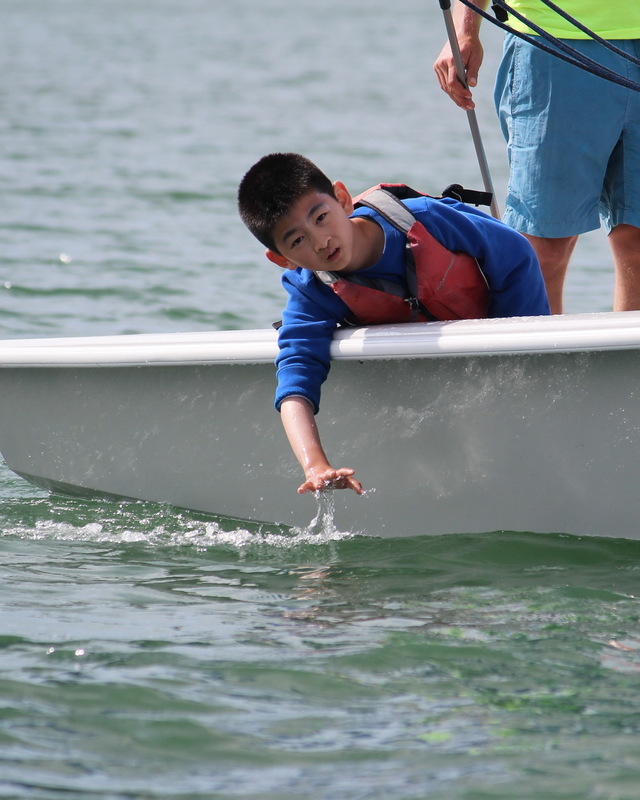 Another life skill also learned on the water as well. 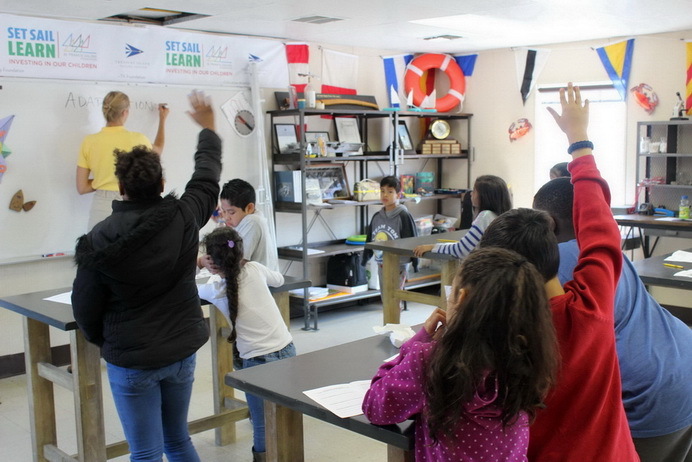 Same goes for communications, goal setting and leadership – direct parallels between STEM lessons learned in the SSL activity center and life lessons learned on Clipper Cove. 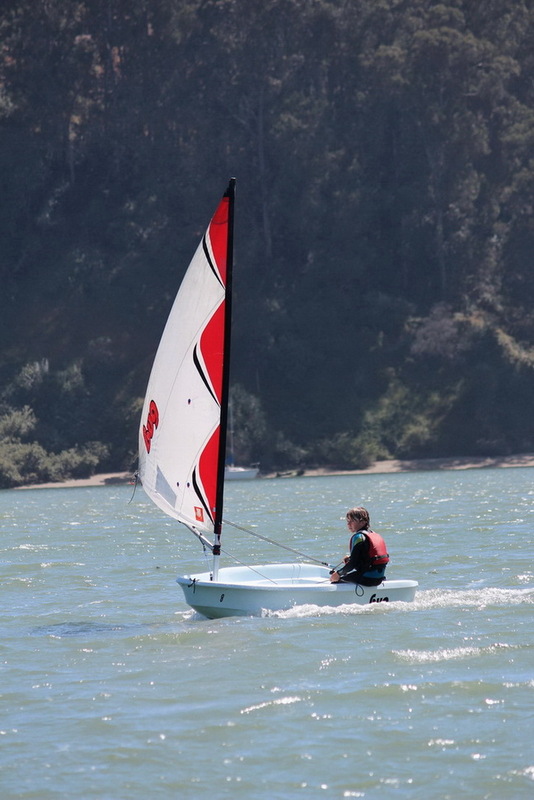 While half the students are building wind cars, the other half head out to Clipper Cove. 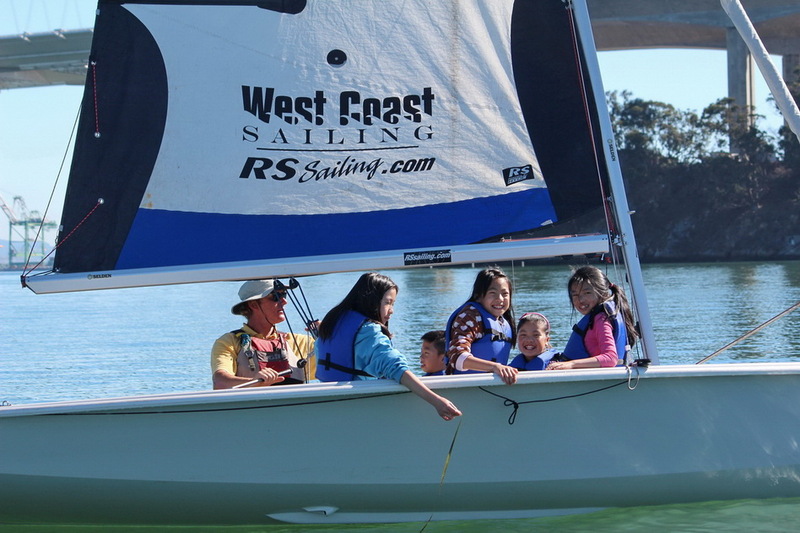 RS Venture sailboats are ideal for our “hands-on-the-bay” programs – stable, sporty and roomy Clipper Cove always serves up views, water and wildlife. Students, learn and experience directions, scale and mother nature. 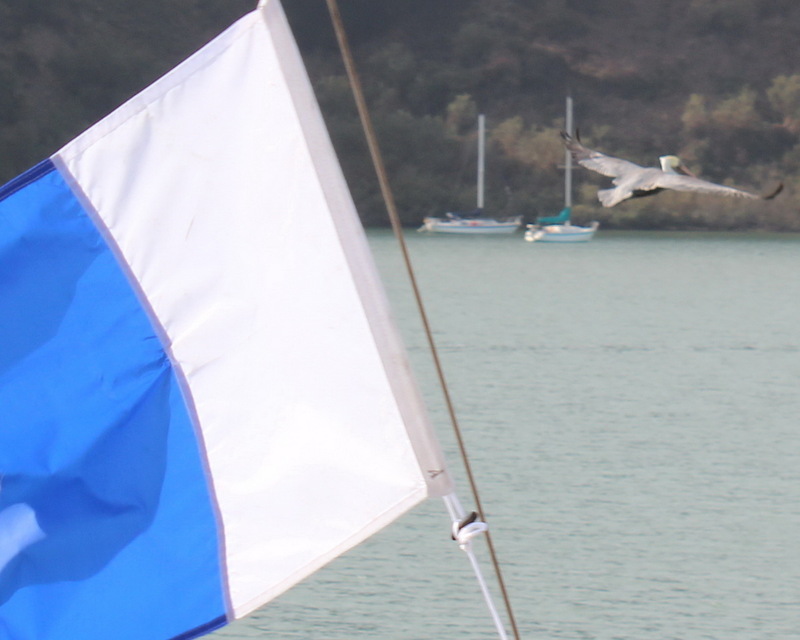 Never sure who (or what) will swim past or fly by, but something will. 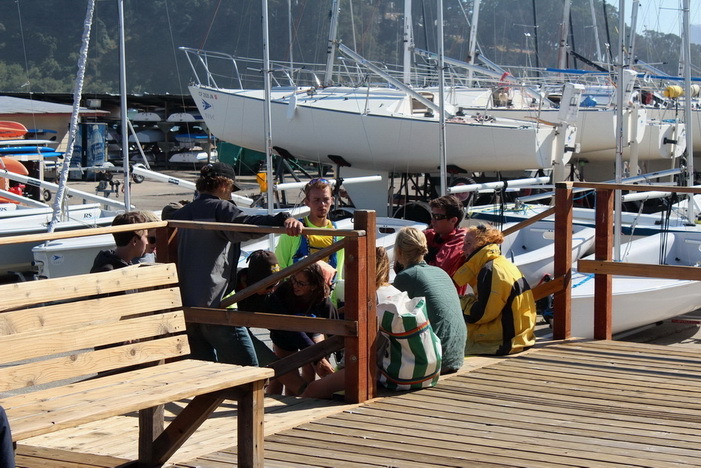 Smiles and “hands-in-the-water” experiences on Clipper Cove are the norm, if you’ve seen our previous SSL Blogs. 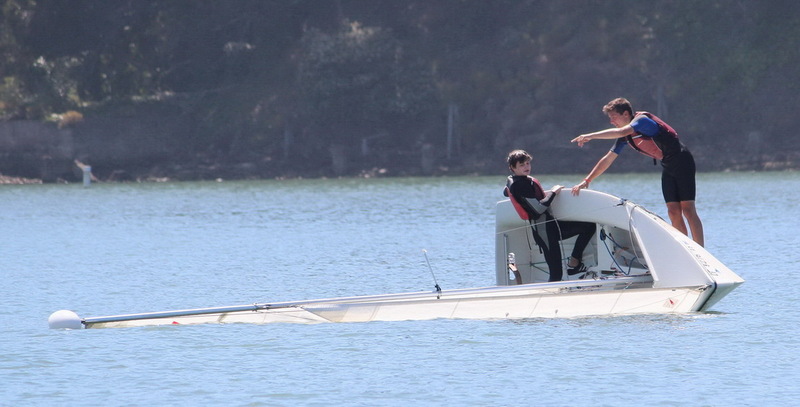 As a kid on the water, likely for the first time, how can that not be. 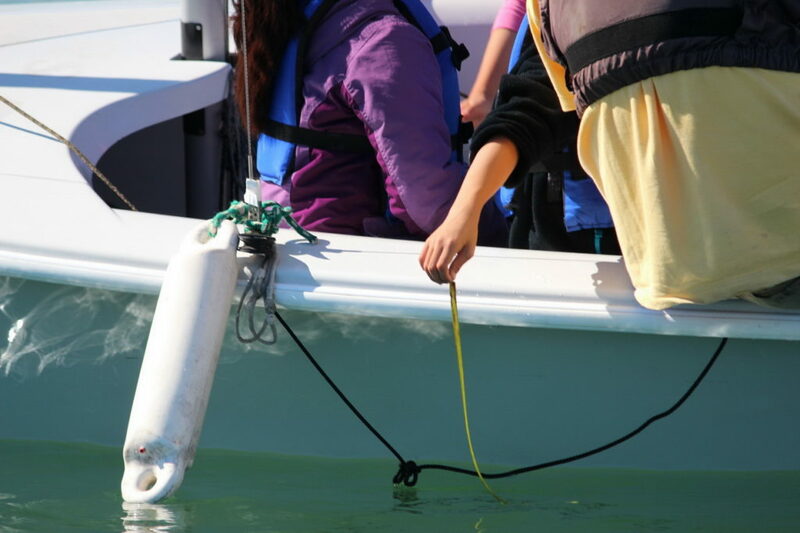 This day, however, something new appeared on deck. 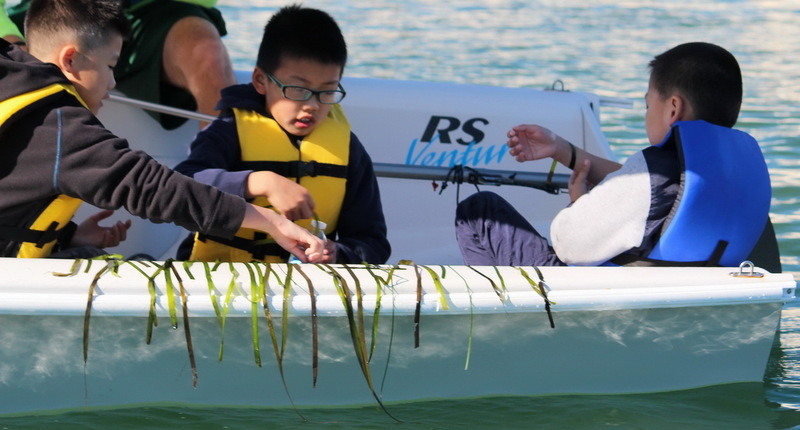 A “new math” based on seaweed. I didn’t have a chance to interview the creative team directly, so not sure the rules for this new system. Whatever they were, I did sense interest, attentiveness and focus. 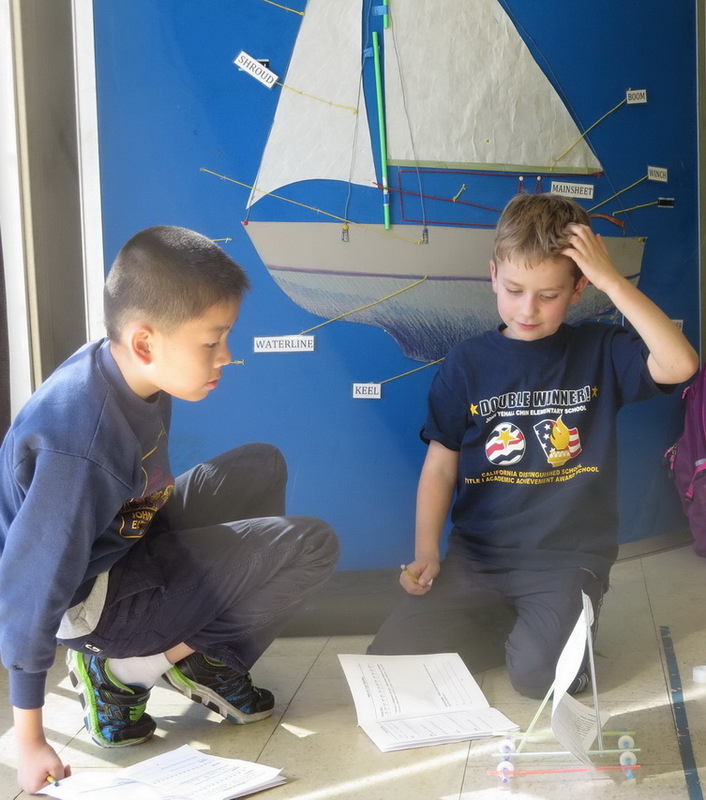 Other boats were also exploring this new math. 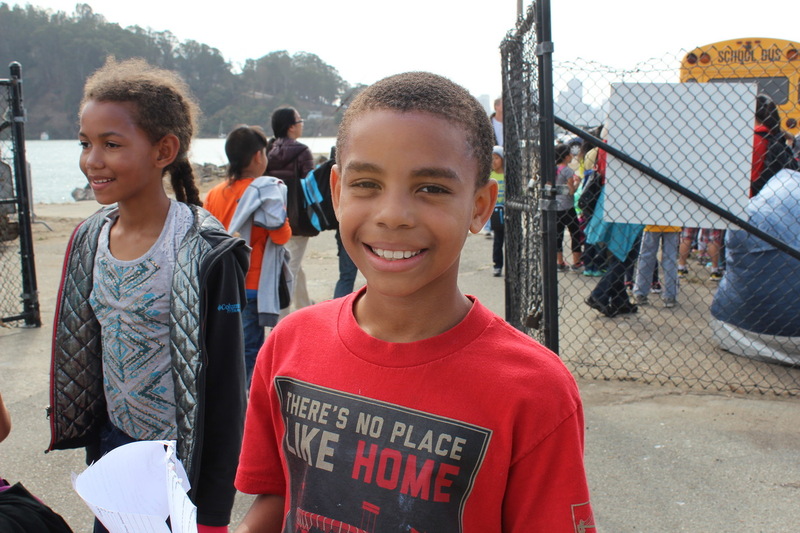 Here are a few more of the smiles that reflected off the Cove. 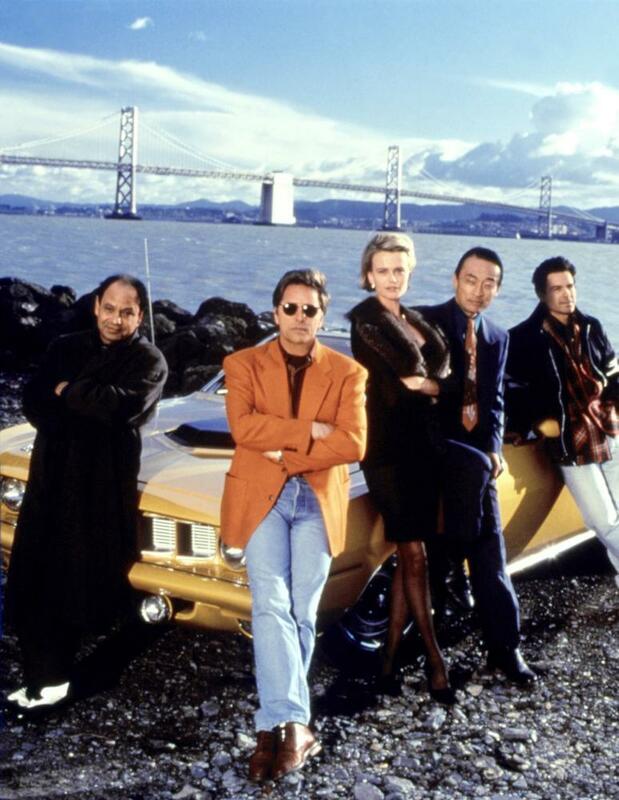 parents or grandparents may remember Nash Bridges – the detective show back in the day just before TISC was founded – mid-1990’s. Remember these guys? 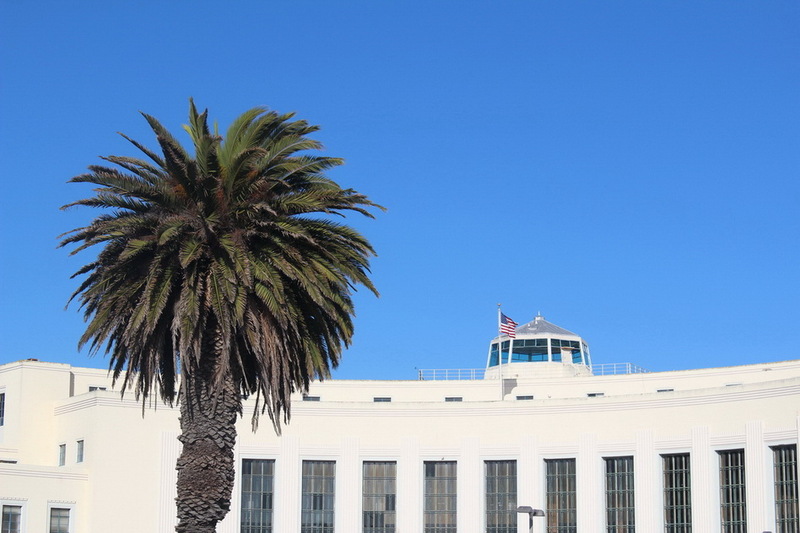 Even if you do, you may not have known their headquarters was atop the TI administration building. 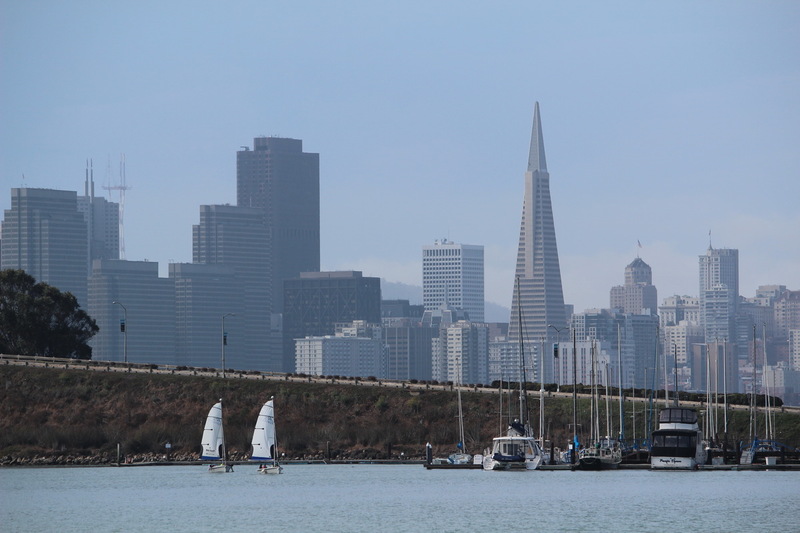 Overlooking both San Francisco Bay and Clipper Cove. 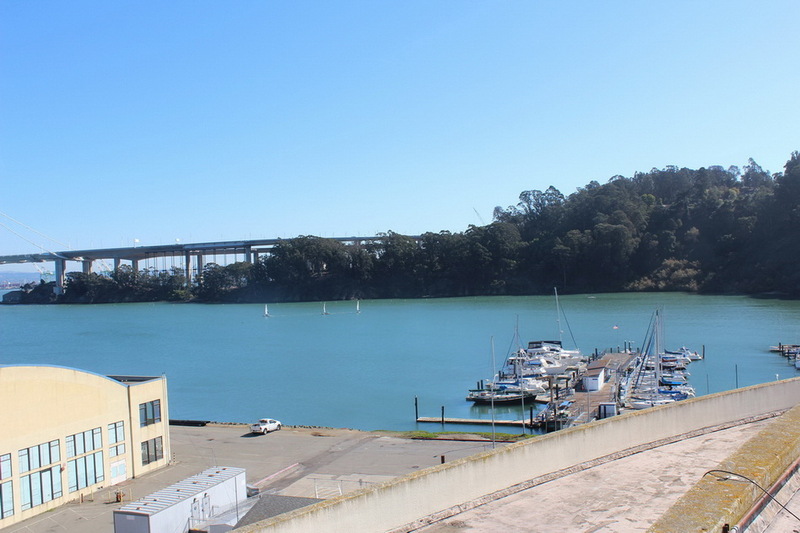 And what a view of the Cove ! 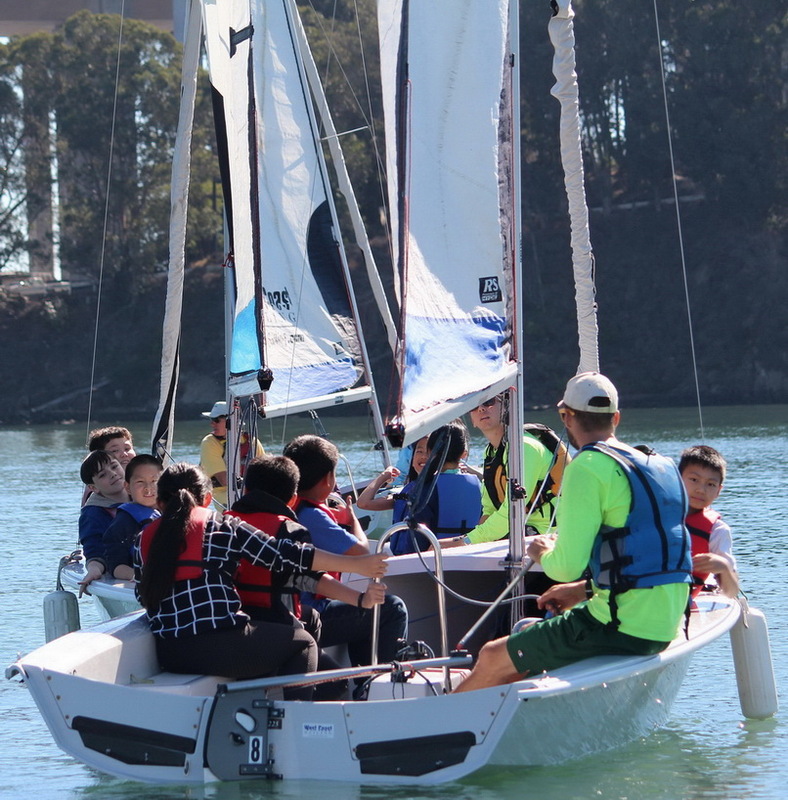 At the conclusion of the Fall 2016 SSL session, 4,244 SFUSD students attended 161 Set Sail Learn classes at TISC on Clipper Cove. They represented 35 schools over the last four years. 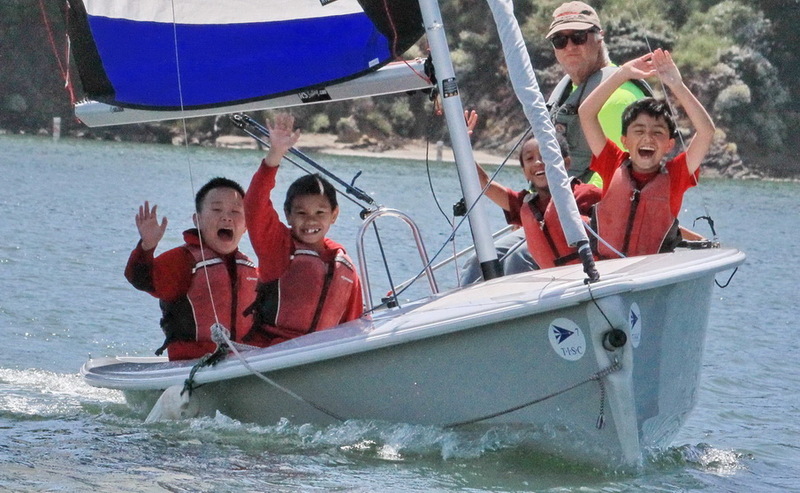 The grant received from St. Francis Sailing Foundation last fall was a game changer for TISC and SFUSD 4th graders. It officially launched the program; enabling the jump from pilot to a fully staffed program that delivers 50+ classes per year – at no charge to the schools. 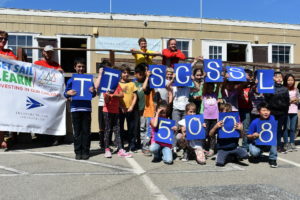 The StFSF grant funds about half of the classes. 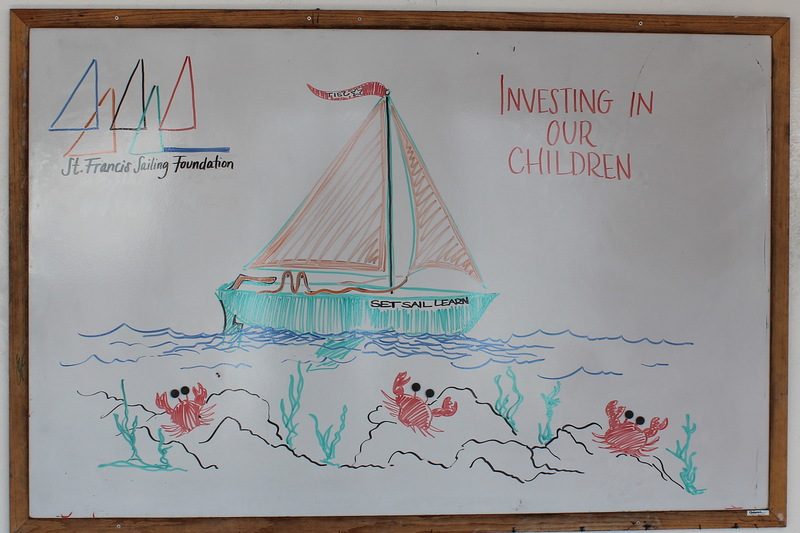 TISC raises the other half through public and private grants along with individual donations. Each SSL class costs approximately $1,500. 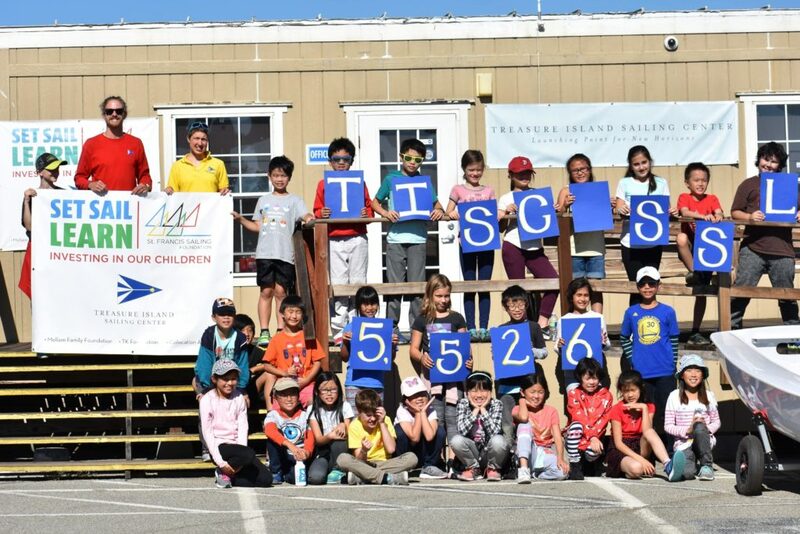 If you are able and inclined to make an investment in the future of our children, please consider making a donation to the TISC annual fund – every donation helps no matter how much you are able to invest. 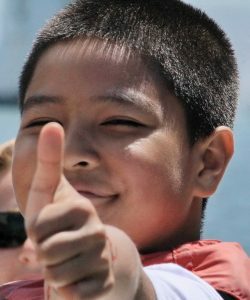 If you act by December 31, 2016 your donations, up to $12,500, will be matched dollar for dollar. You can DONATE HERE. 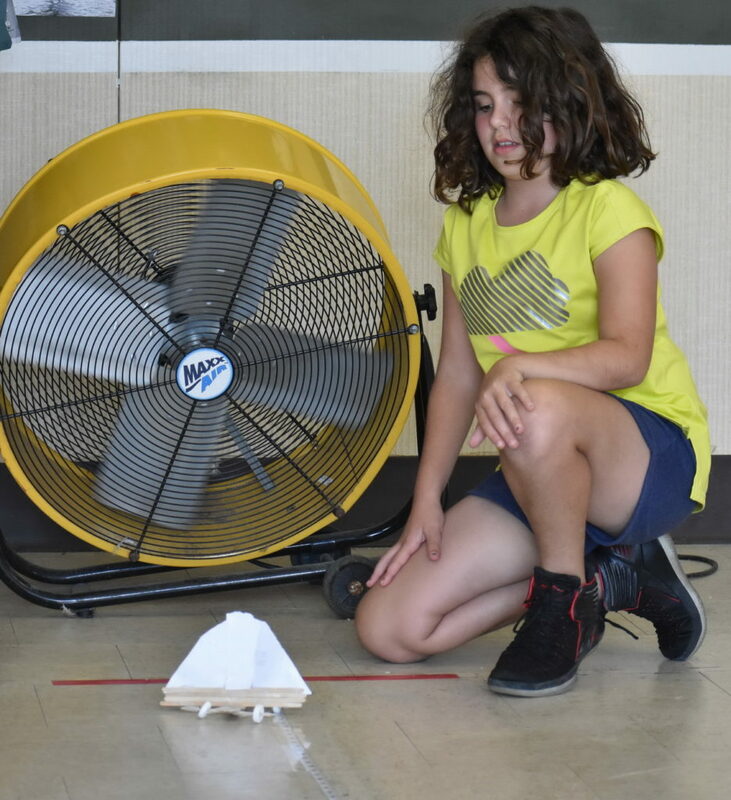 Thanks and a tip-of-the-hat to the parent who took the excellent photos of the “wind racers” in the activity center – much appreciated. 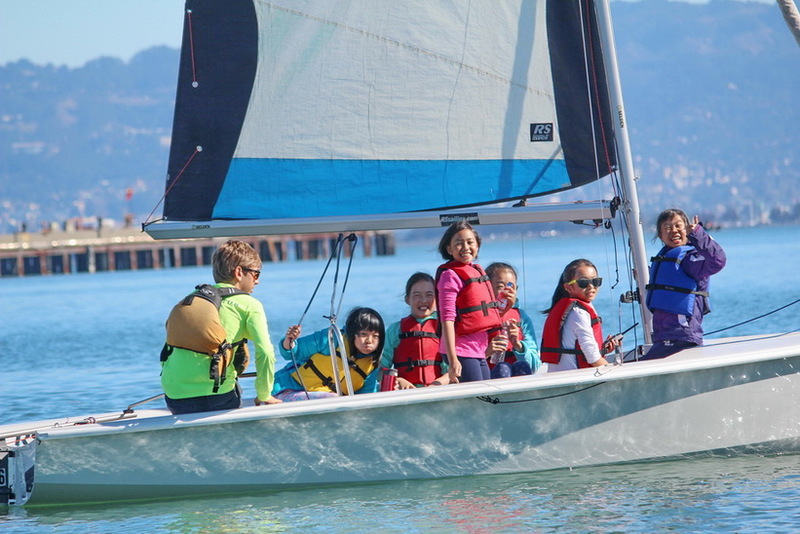 Kids Smiles Fill Clipper Cove – TISC Instructors Rock ! School’s Over. Kids are Smiling. 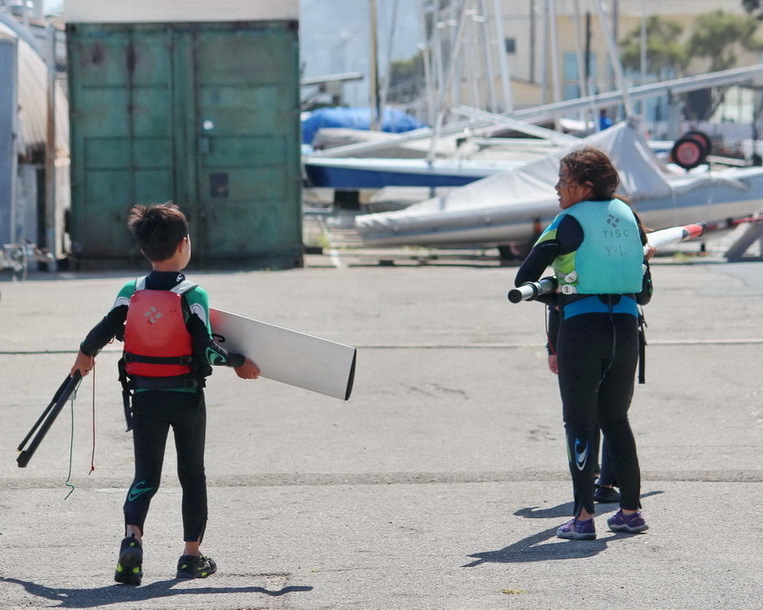 Clipper Cove is doing its thing: developing self confidence, building life skills, creating friendships and introducing Mother Nature to kids from all over the Bay Area. TISC instructors are the catalyst for these magic moments. 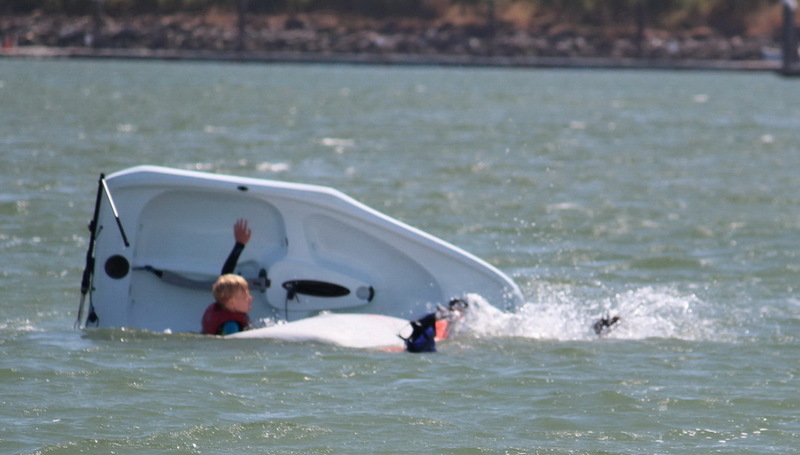 June is such a great time on Clipper Cove. And this year there’s so much happening one blog can’t even come close to covering all the action. 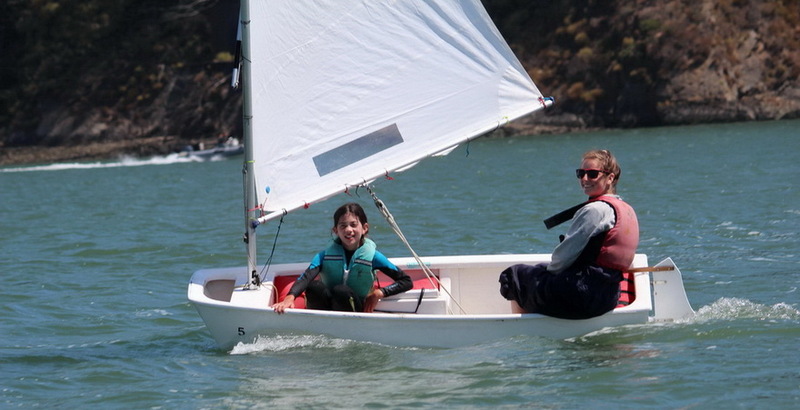 So we’ll tack away from adaptive and visually impaired sailing, adult keel boat lessons, the SF Social Sailing League and more, to focus on kids smiles. 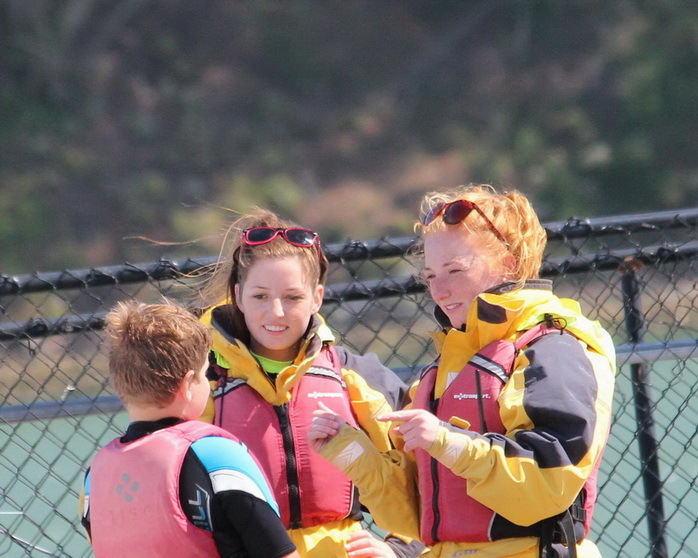 Check out the many ways our instructors interact, support, lead, protect, and encourage. 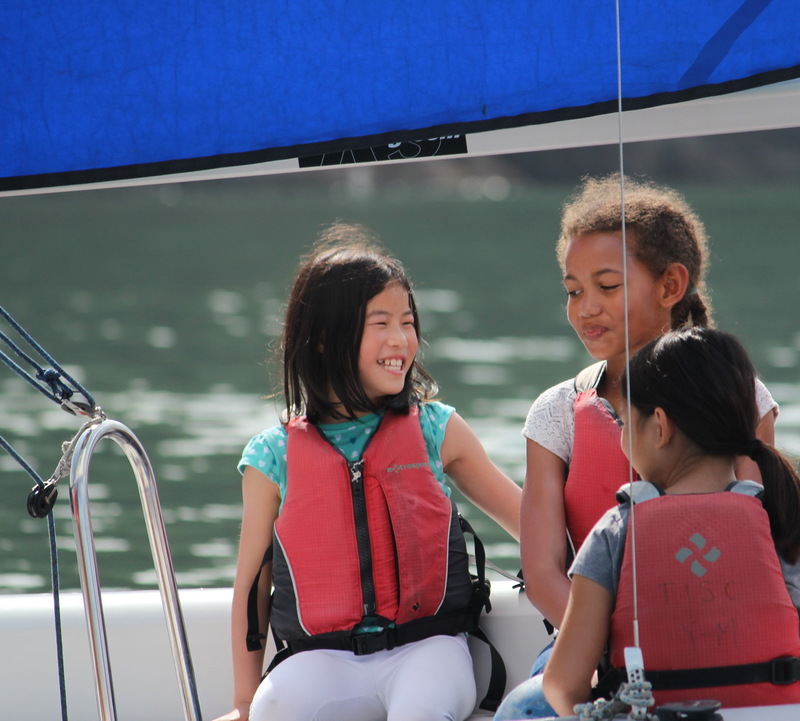 All ingredients for developing self-confidence, self-esteem and SMILES! 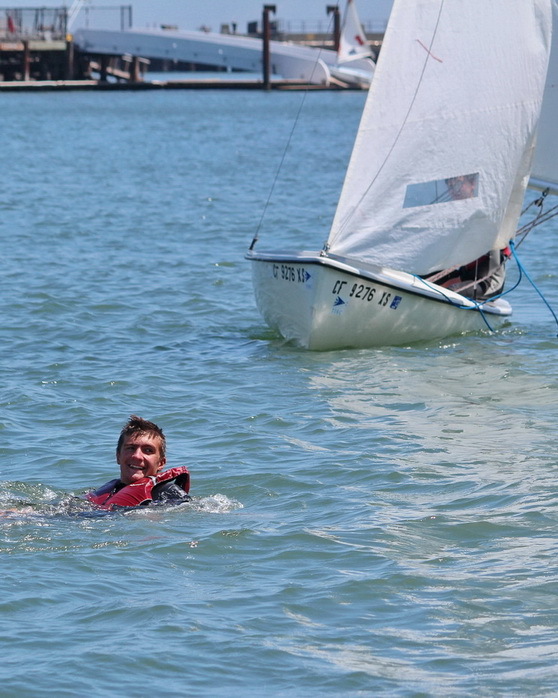 Most of these photos were taken weeks 2 and 4 – the end of a two week sailing session. 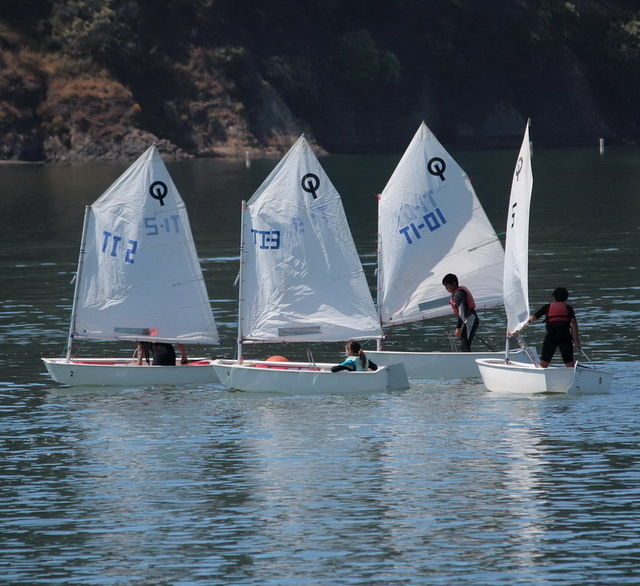 Kids are tired, morning winds are often light. Then the afternoon westerly kicks in. Sun screen is getting lathered on. 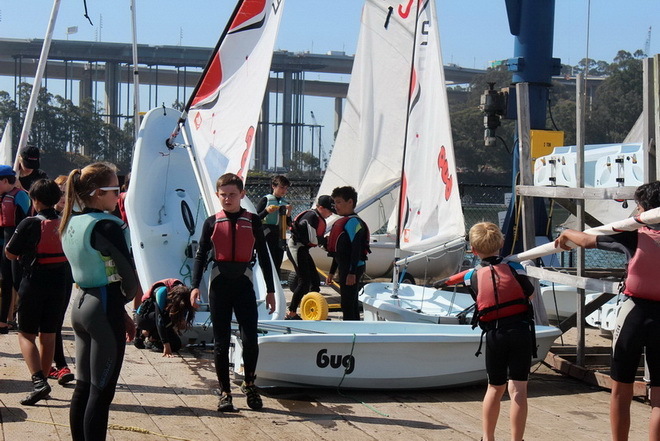 Boats are getting rigged. Many lessons start with chalk talks. 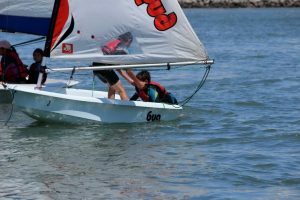 Then word gets out – Time to Sail ! No more tired kids. Oooppsss – not much wind. Great – let’s just continue to hang out. 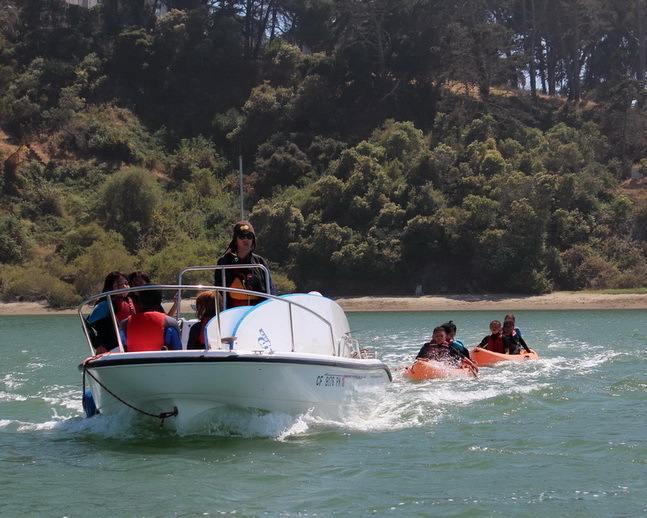 Or should I say Raft Up (some day these kids may be the ones who are Hooked on Clipper Cove). 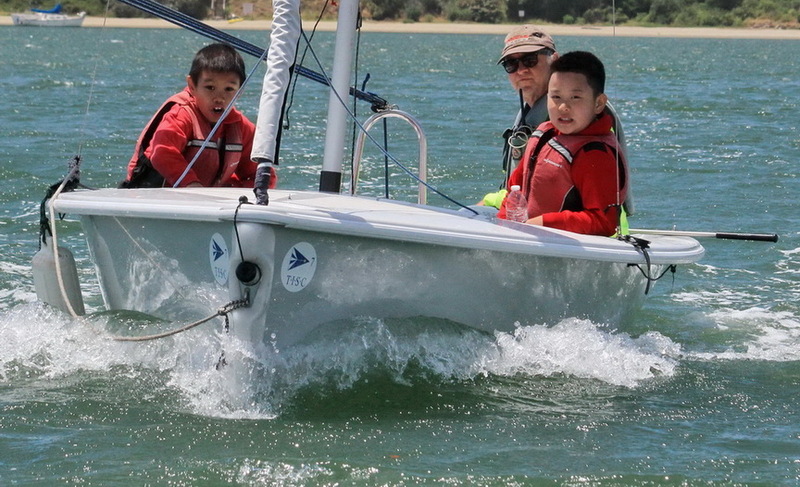 In addition to our youth sailing program we also sponsor outreach programs to get kids out on (and in) the water. 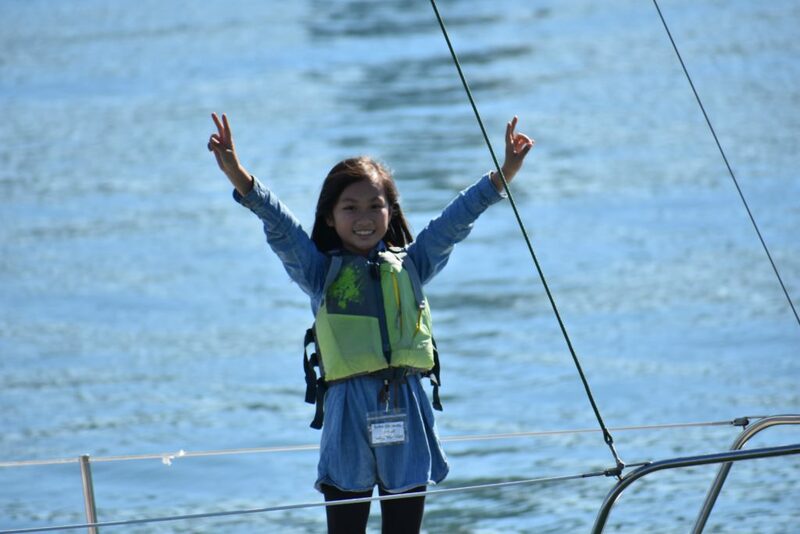 Up on Top kids were at TICS also enjoying all that Clipper Cove has to offer. 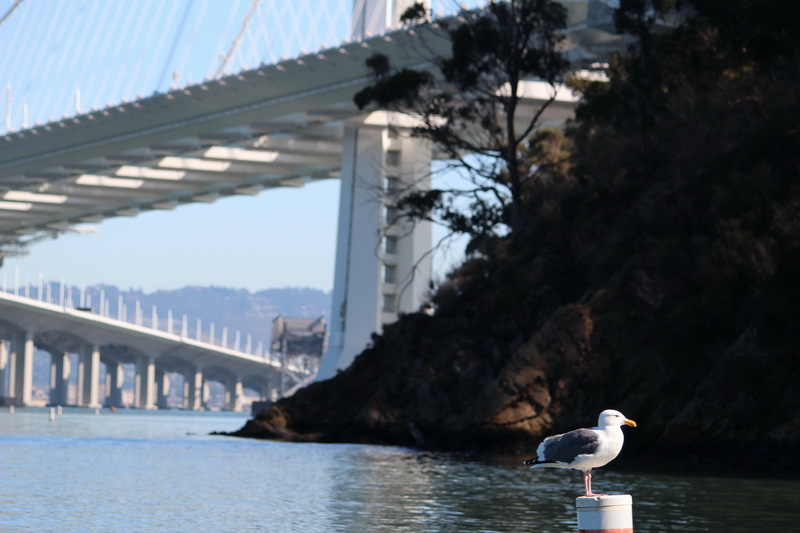 We tell visitors that you will always see something new when you sail on SF Bay. We can’t predict what it will be, but you WILL see it. 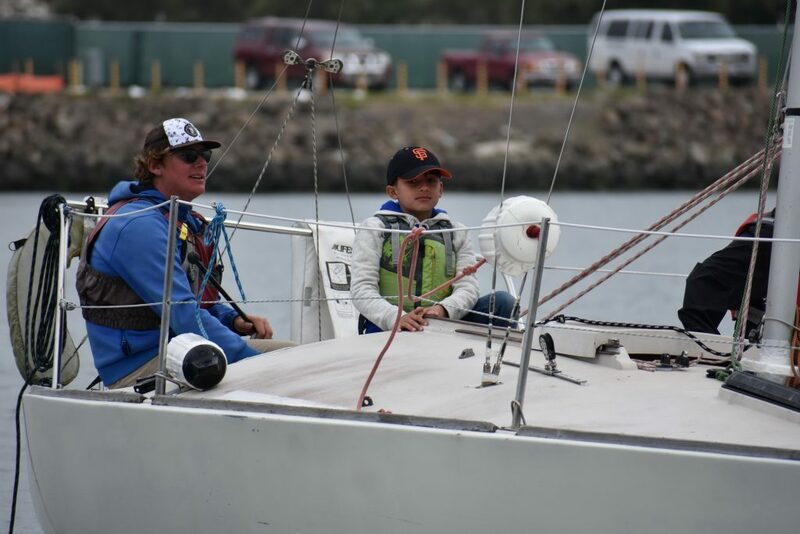 Same way with photographing these kids – I never know how they will help us tell our story – teaching life lessons like respect, goal setting, communications & teamwork, self-reliance and leadership through sailing – however they’ve never let me down so far. Respect is an element of all programs starting with orientation and continuing through 5-step progression program to level V. Goal setting also starts early because kids relate to short-term challenges like “learning to sail backwards” or “recovering from a capsize”. 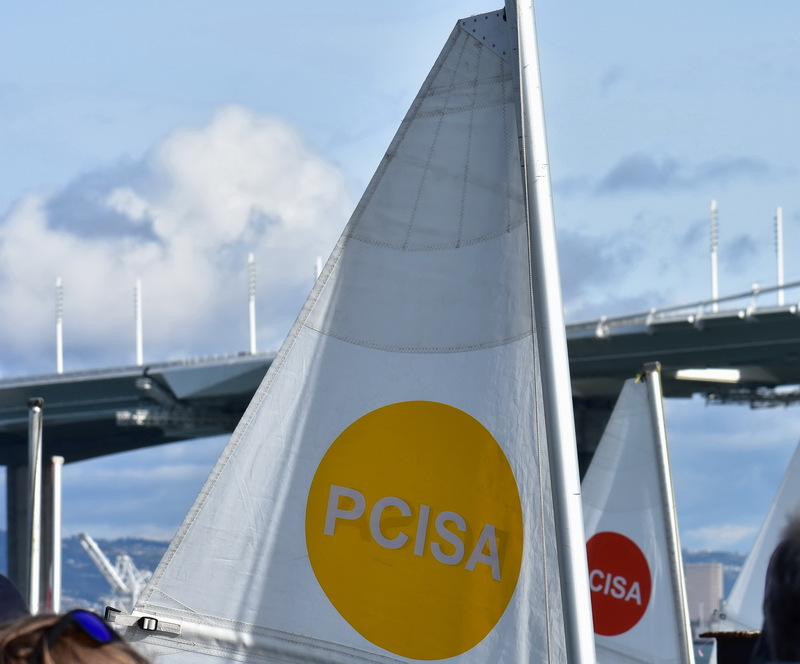 Communications and teamwork go together on and between sailboats. 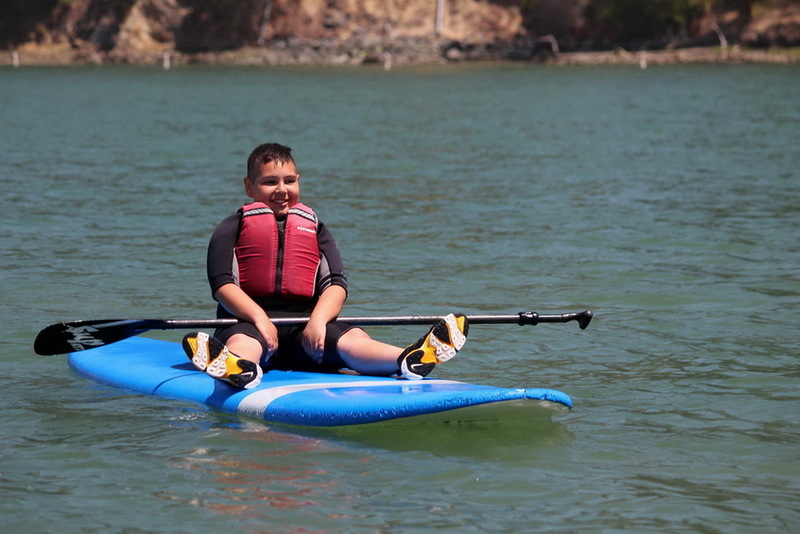 And paddle boards. 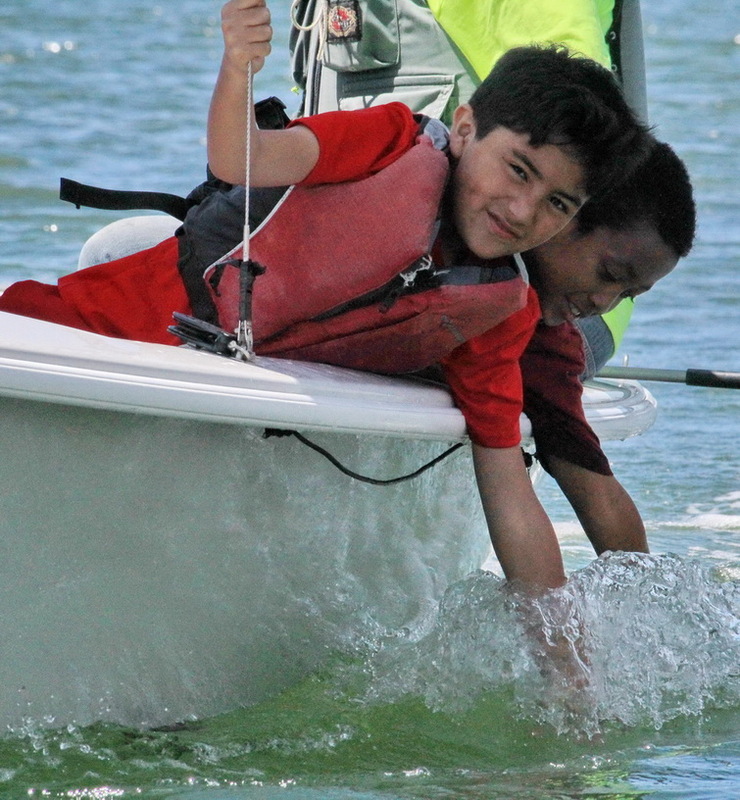 And teamwork is always an easy story to “shoot” because kids just naturally help other kids out on the water. 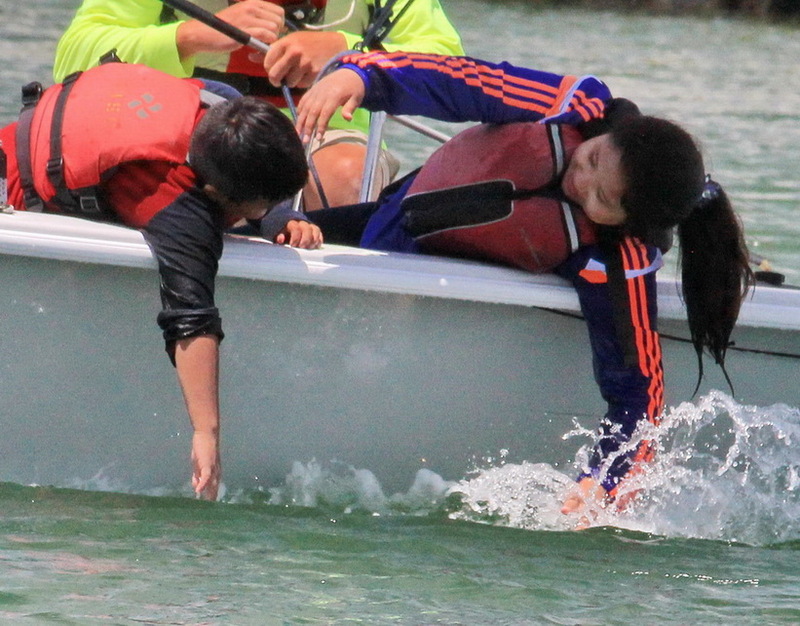 Age, gender, family background just doesn’t seem to matter to happy, often waterlogged, kids. 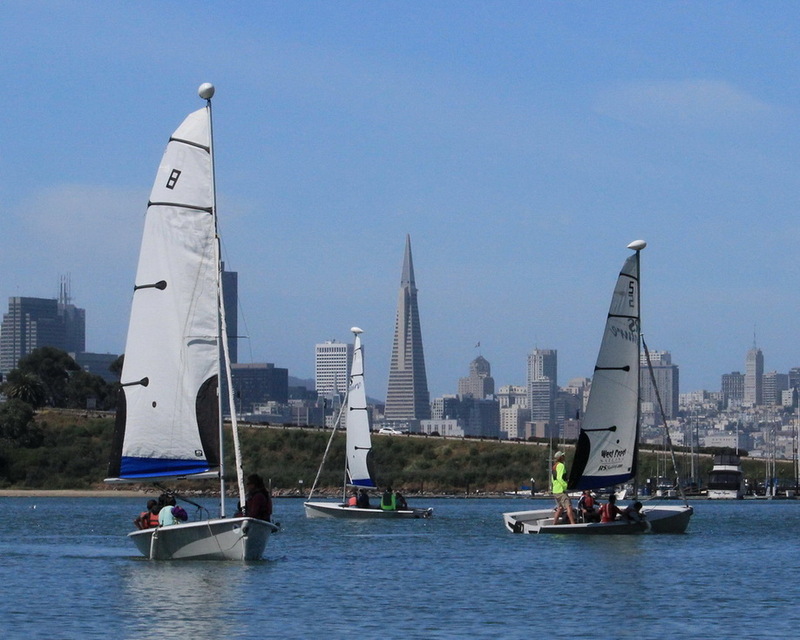 Many urban sailing centers are located in busy harbors or on open, unprotected waters. 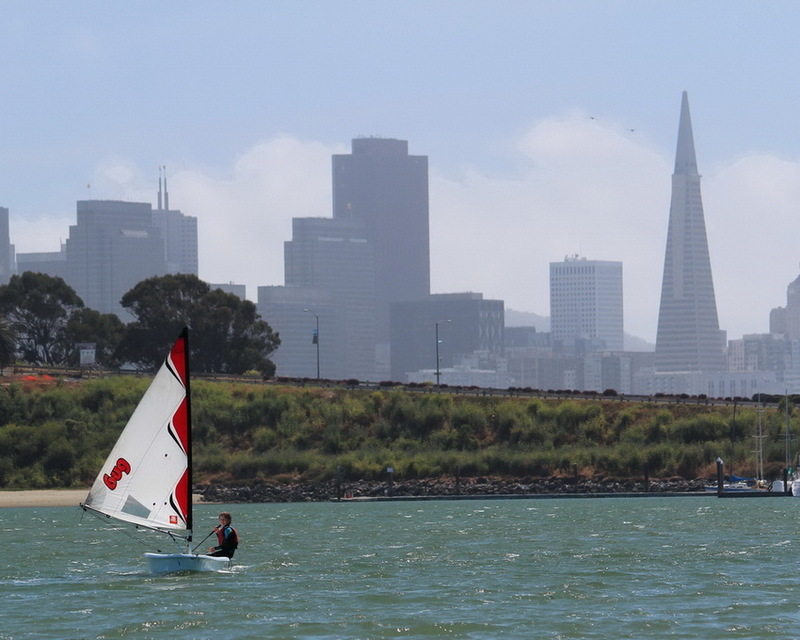 Clipper Cove is a unique gem in all of SF Bay (some would say in the world) for learning life lessons through sailing because of its protected location with great winds and little current. 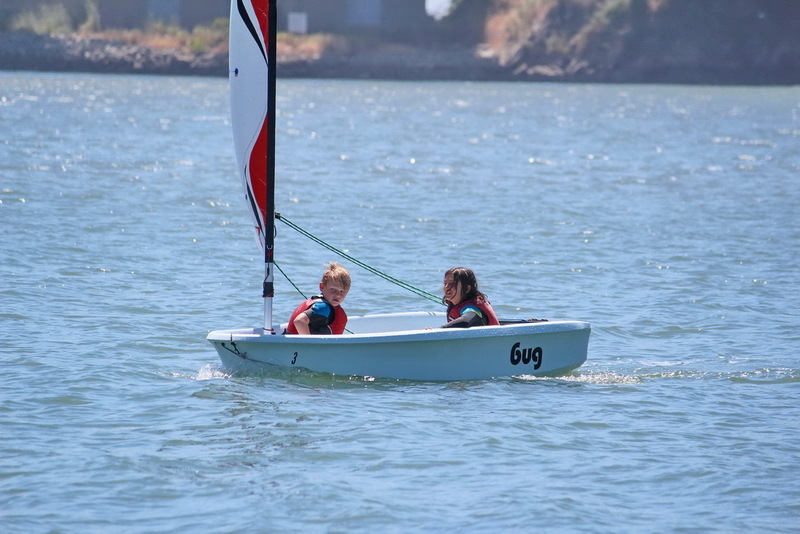 At TISC we give kids their own boat, teach them the skills needed to sail it, and let them go. Yes, it blows hard here most afternoons. 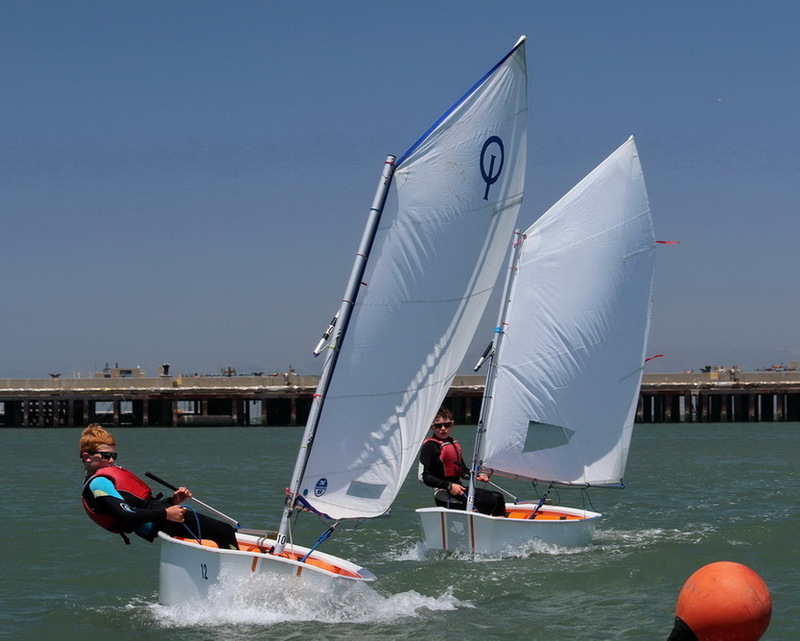 We view these as the best learning times for the kids and teaching time for the instructors. 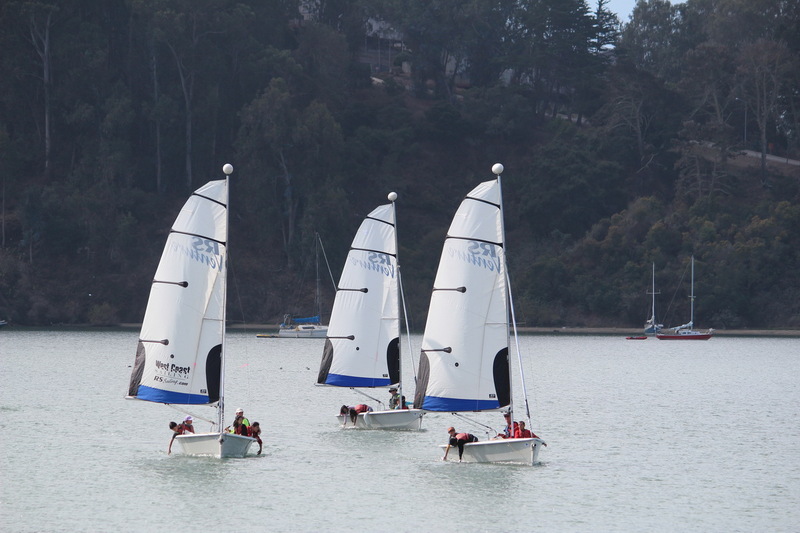 – – – all under the careful watch of TISC instructors, many who learned to sail here on Clipper Cove. And often at the end of the day instructors lend a hand to tired sailors. 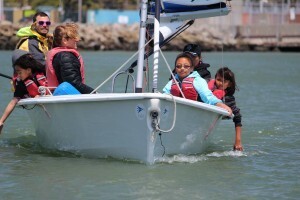 Kids love the independence and empowerment offered by sailing their own boat. 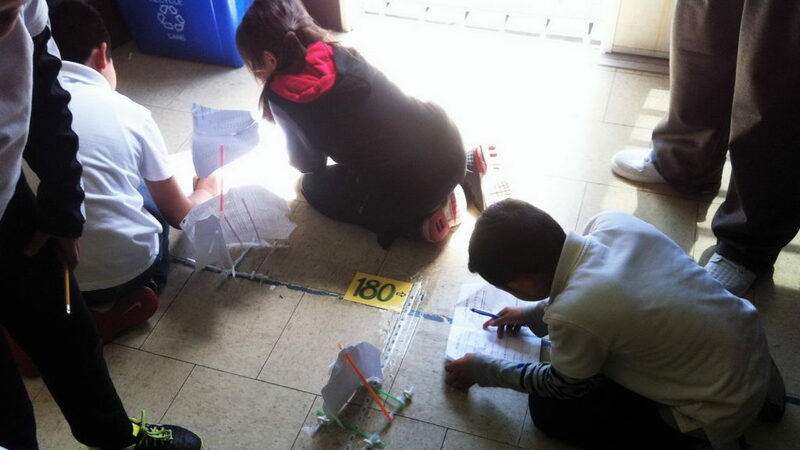 They build self-reliance and “figure it out”. These skills last a lifetime. 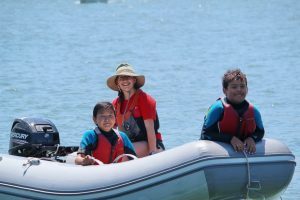 And the combination of protected waters, minimal current and always-close-by instructors provides an ideal learning and confidence-building environment. Photographing leadership is not so easy. I joked with the instructors about this photo as the more experience sailor “bailed out” then demonstrated goal setting, communications, teamwork and leadership to get cranked up for more sailing. All captured in one visual image. 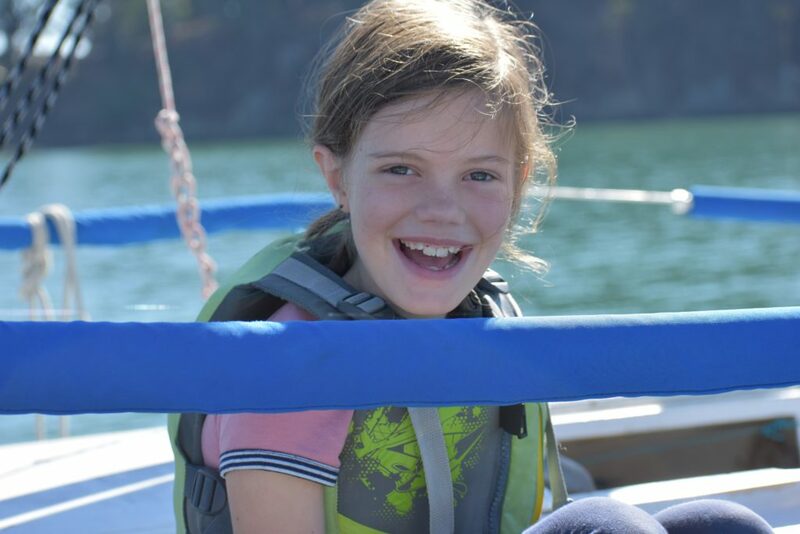 No way to share the hundreds of Clipper Cove June smiles. Here are a few more. 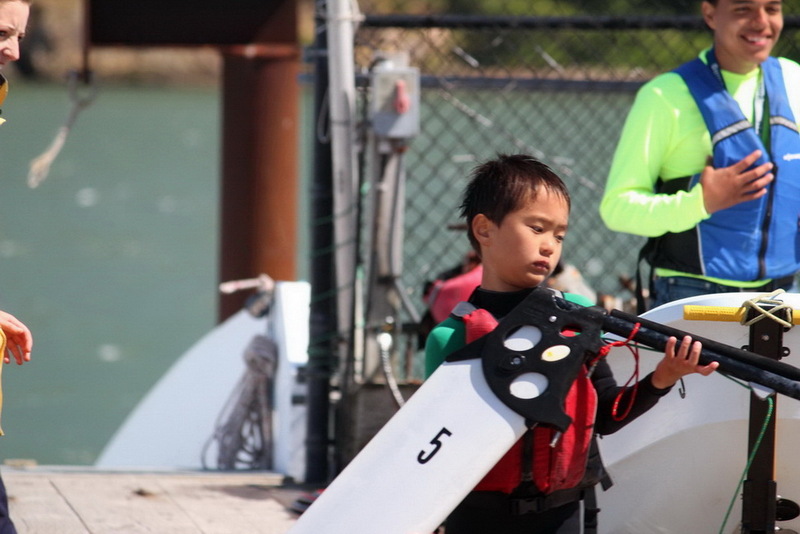 If you are a parent or one of our program associates and would like to see more pictures, please contact the TISC office and they can provide access to password-protected photo folders from two June photo-shoots. 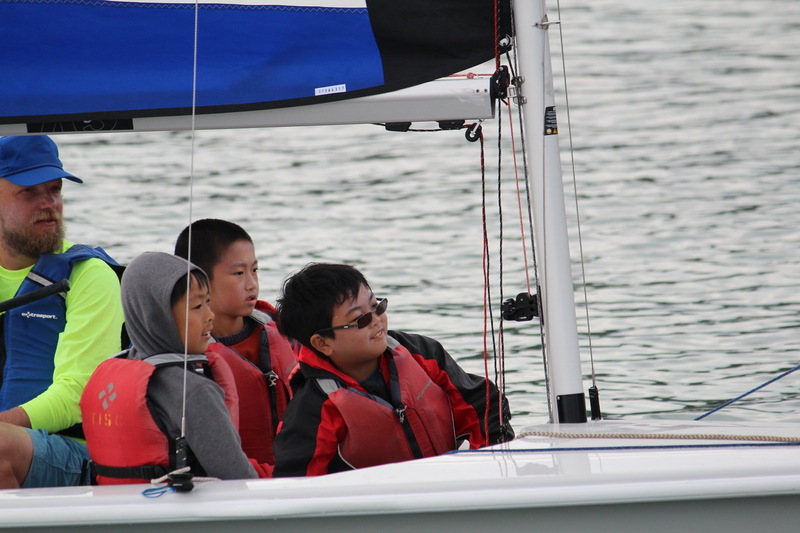 Our 5-level progression program leverages the development of sailing skills along with life skills. 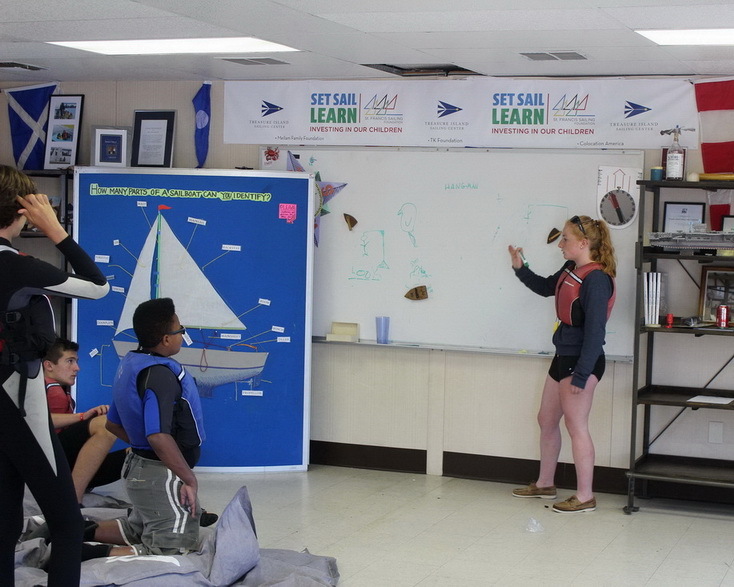 You can see the self-confidence shining brightly on Clipper Cove as the breeze picks up and lesson plans move from chalk talks to flat sailing. More 1:1 time with our instructors. 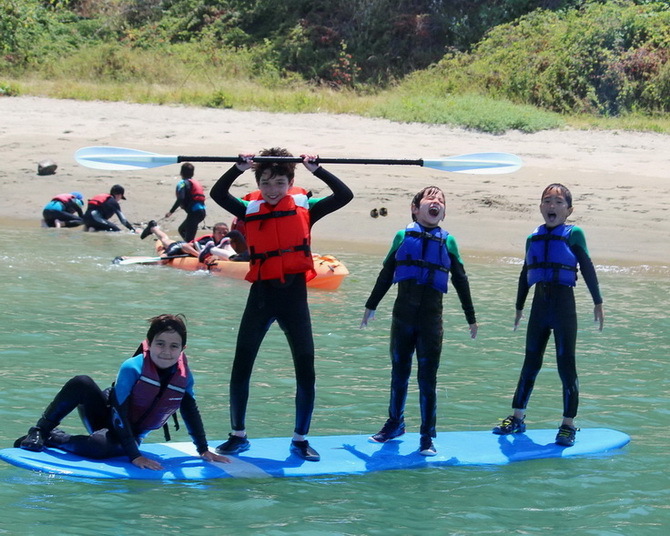 Here are a few more Up On Top smiles, and an interesting stat why summer programs are so important. 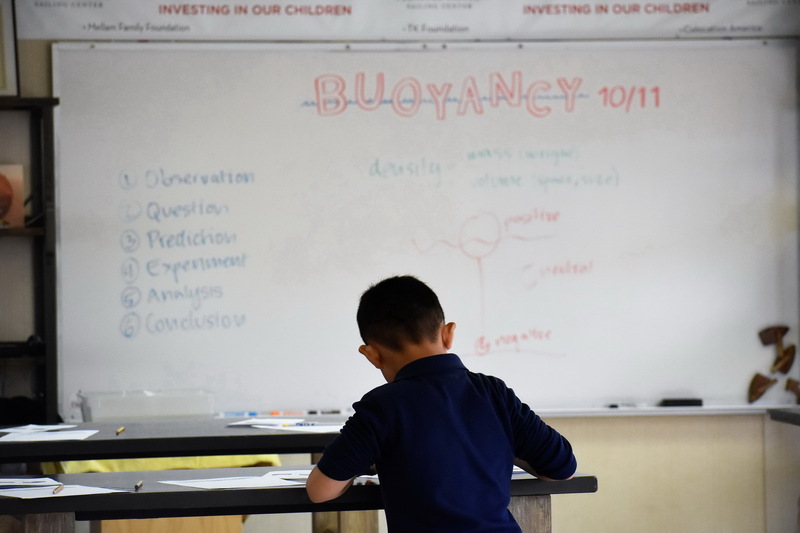 Did you know that by high school, 67% of the cumulative achievement gap between middle-class and disadvantaged children can be explained by summer learning loss? 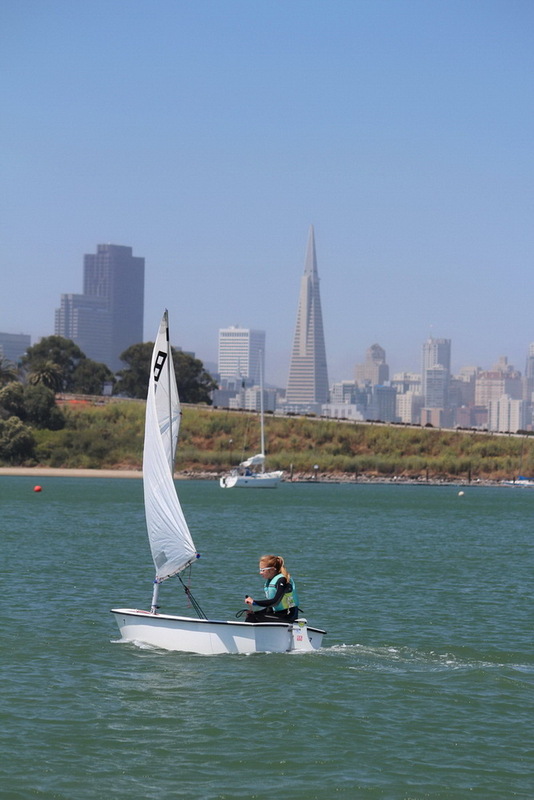 Another reason Clipper Cove is such an important San Francisco Gem – the connection between learning to drive an RS Venture and brushing up on math and reading skills during the summer break. 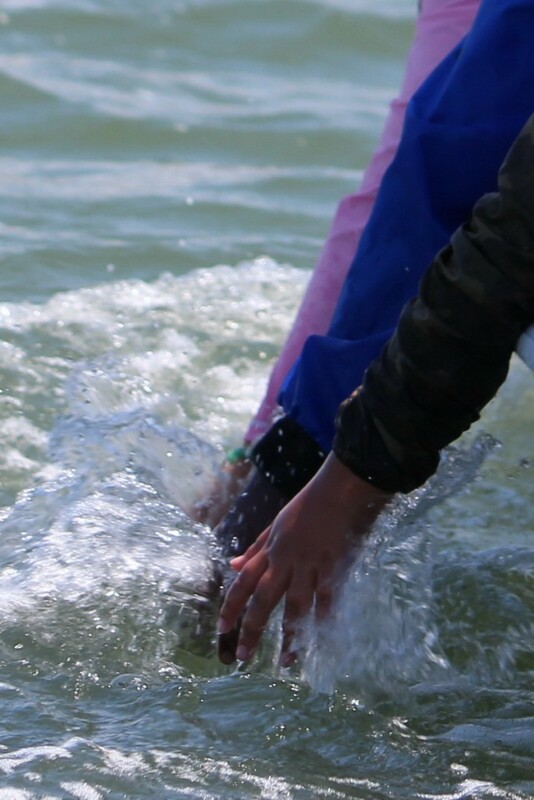 And beach time is FUN time! 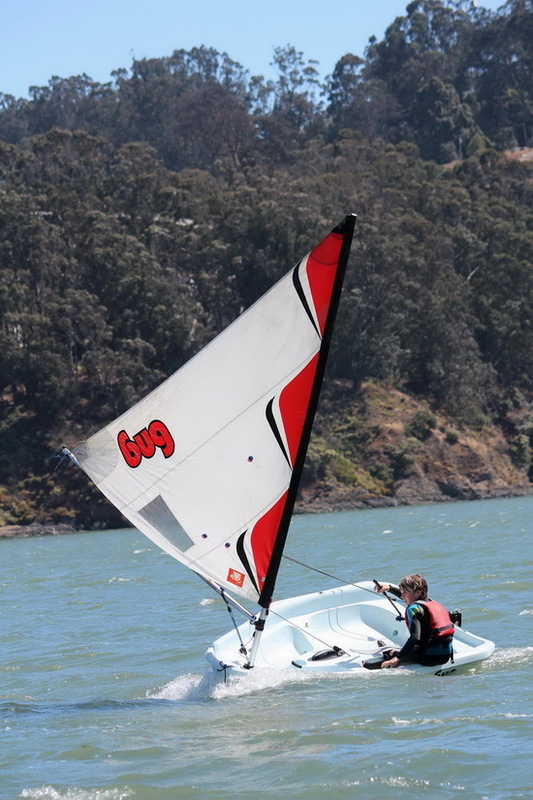 Blogs have to wrap up just like fun days on Clipper Cove. 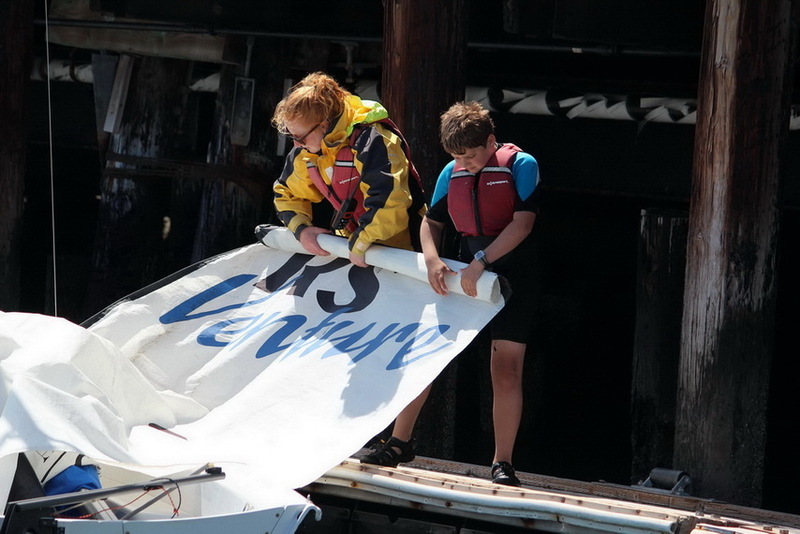 More teamwork, then time to put our keyboards and rudders away. 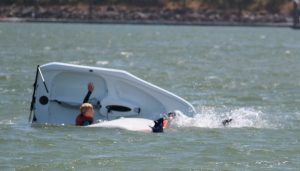 The photos in this blog plus many more are available on line – check with the TISC office for links to password-protected photo folders. And one final THANK YOU to our rock-star instructor team. Keep smiling, and creating smiles. 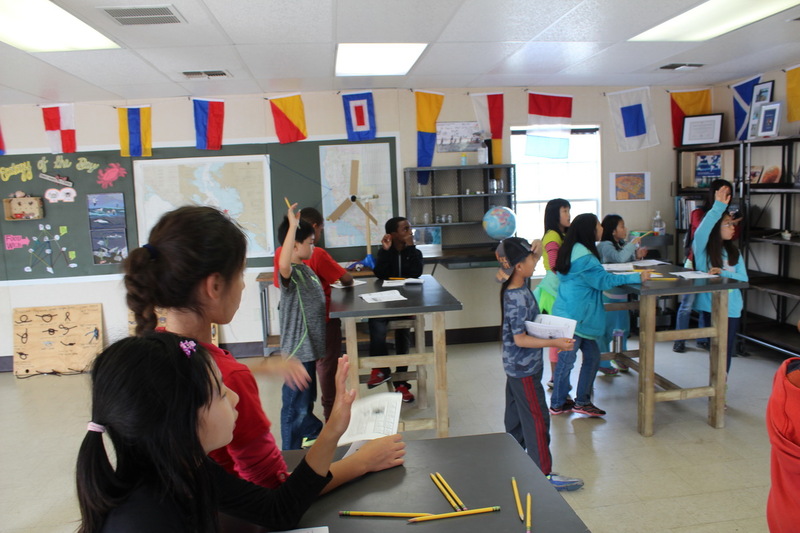 Your classroom changes every few minutes. Mother Nature is awesome, even when she puffs too hard or not enough. 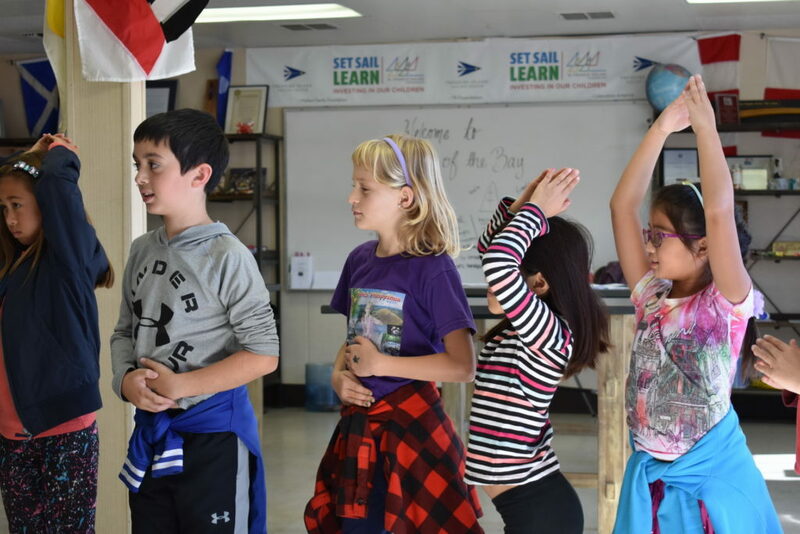 And remember – the kids are always learning and benefiting, even when they’re having too much fun to listen or having a “bad tack” day. You Rock ! 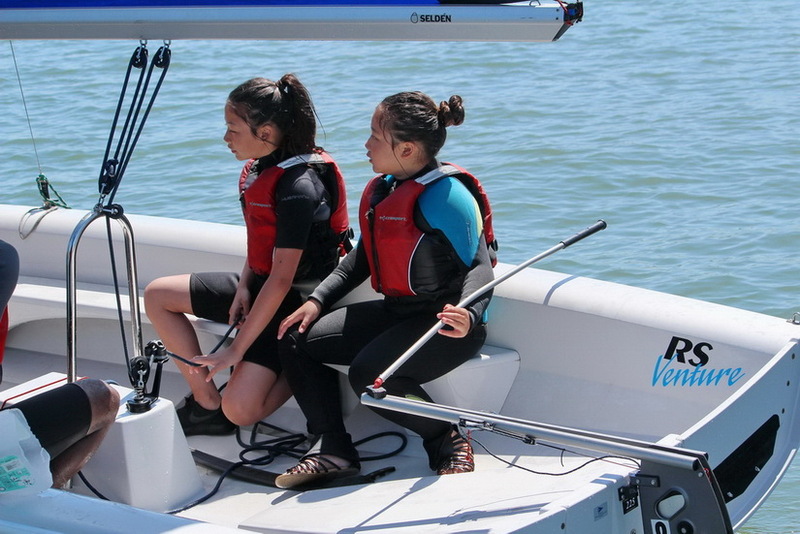 Treasure Island Sailing Center’s STEM Program for San Francisco elementary students reached a major milestone in May: Over 3,500 Fourth Graders have now learned, explored and sailed on Clipper Cove. 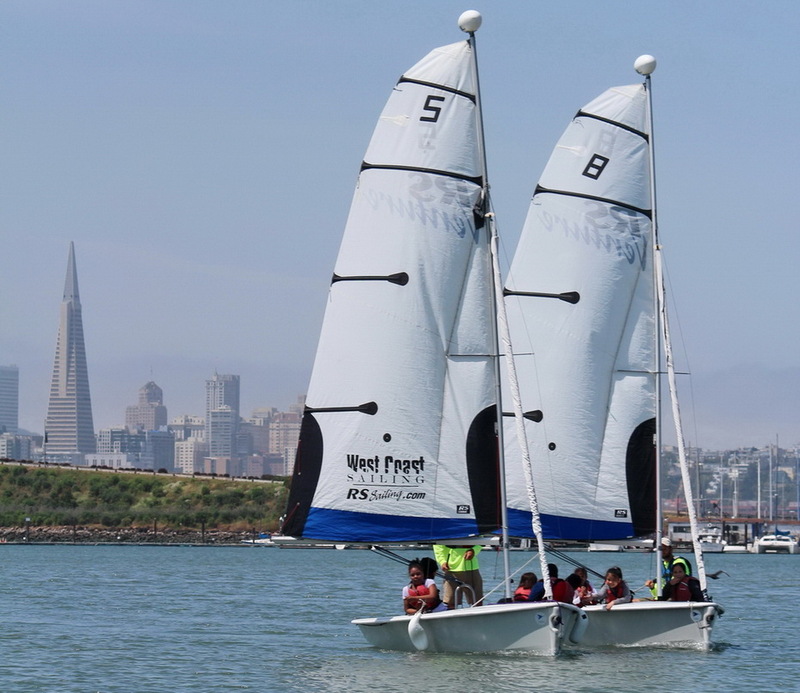 The St. Francis Sailing Foundation was a major donor. 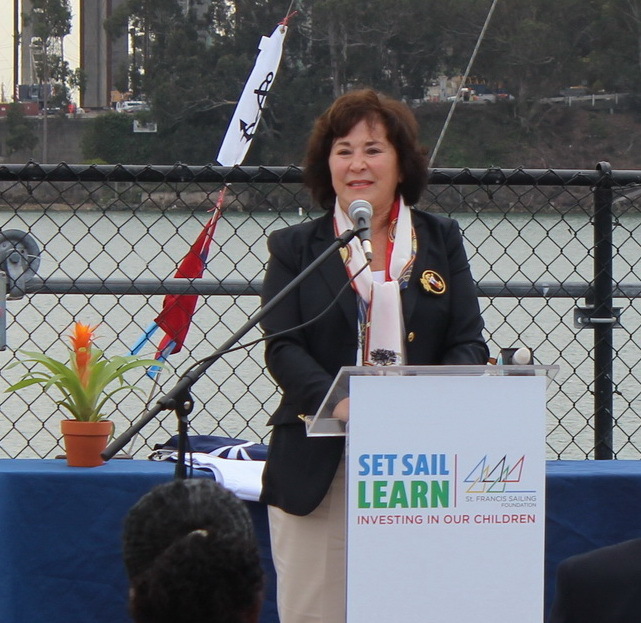 In 2013 TISC launched the pilot for a unique, STEM-based (Science, Technology, Engineering & Math) experiential learning program called Set Sail Learn. This program, designed to meet 4th grade California core standards, is a one-day exploration trip incorporating curriculum-aligned science and math learning, together with sailing on San Francisco Bay. 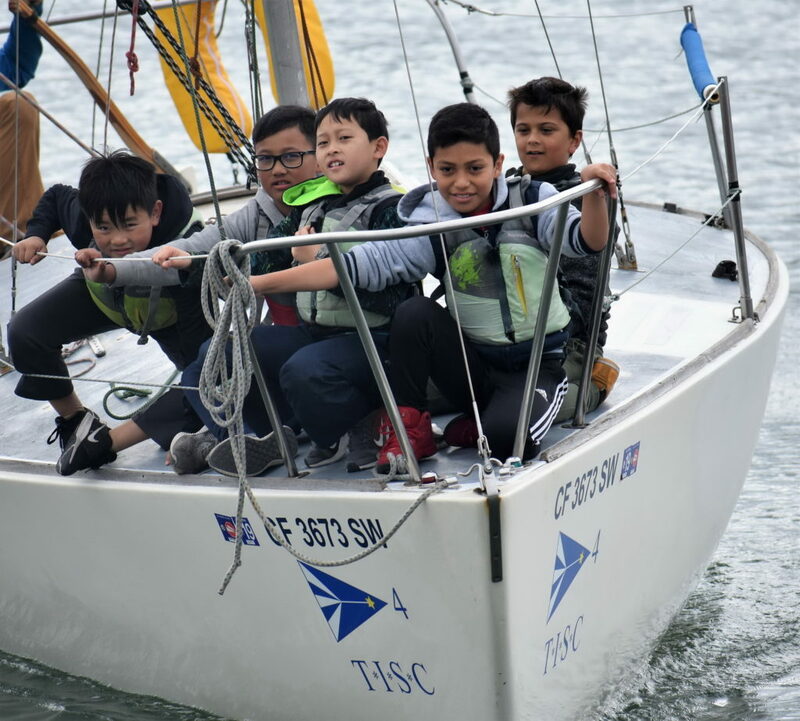 Last October the St. Francis Sailing Foundation announced a partnership with TISC to continue the program, providing San Francisco fourth graders with the opportunity for STEM learning while opening the door to San Francisco Bay, sailing and environmental stewardship at no cost to the schools. 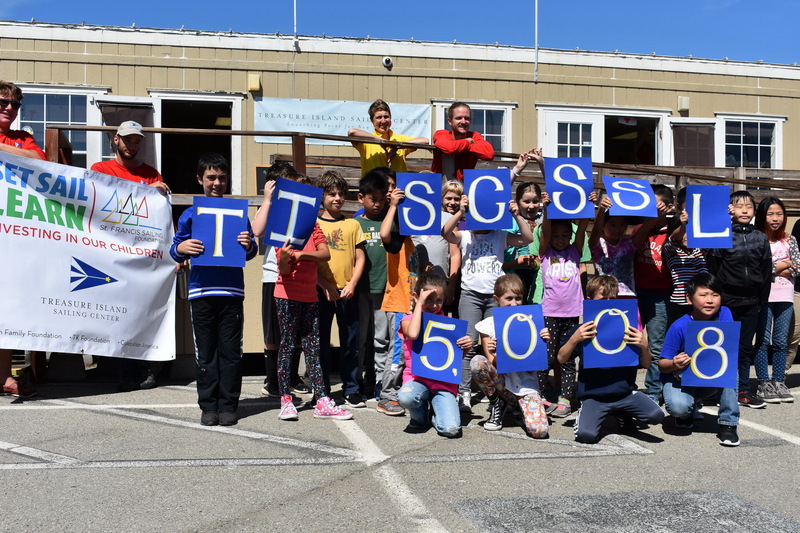 This StFSF Fall 2015 grant was a major milestone in reaching our Spring 2016 milestone of 3,566 kids through the SSL Program. 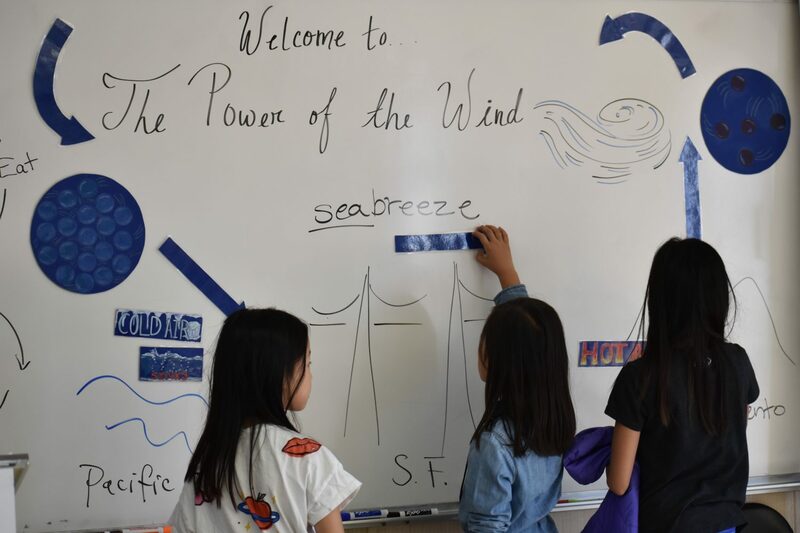 While referred to as a “hand on” experience, Set Sail Learn is really a “hands-in” program as you can see from these photos of 4th graders from Tenderloin Elementary School. The sailing part of the program is what makes it unique. And connects the kids to Mother Nature while establishing them as stewards of “their” bay. The action in and around the activity center, however, is also a big part of the lessons. 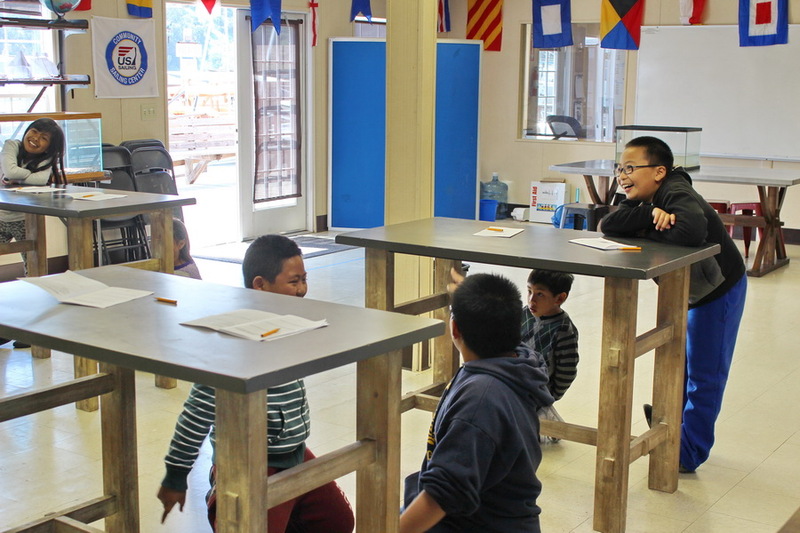 Because no chairs, plenty of physical activity and a highly interactive curriculum makes for fun, memorable learning. 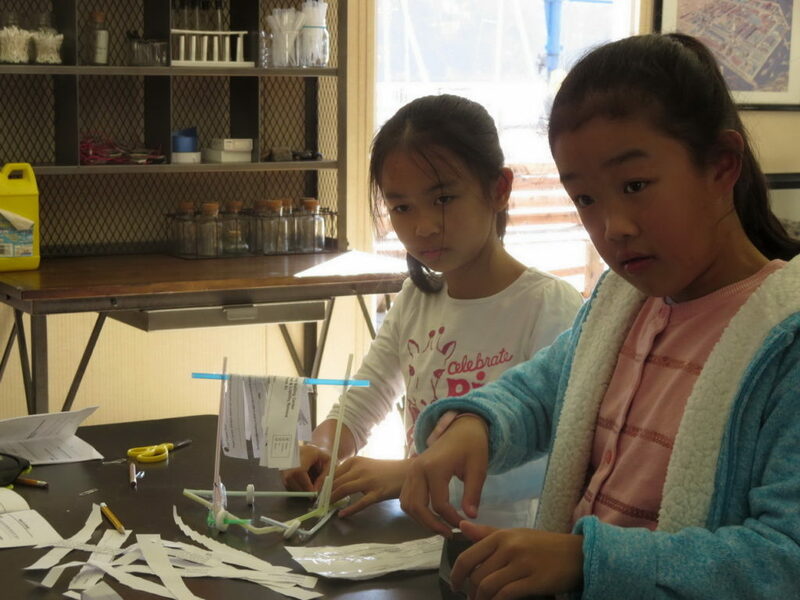 And the lab just outside the door to the activity center is like nothing most of the kids have ever seen or experienced. 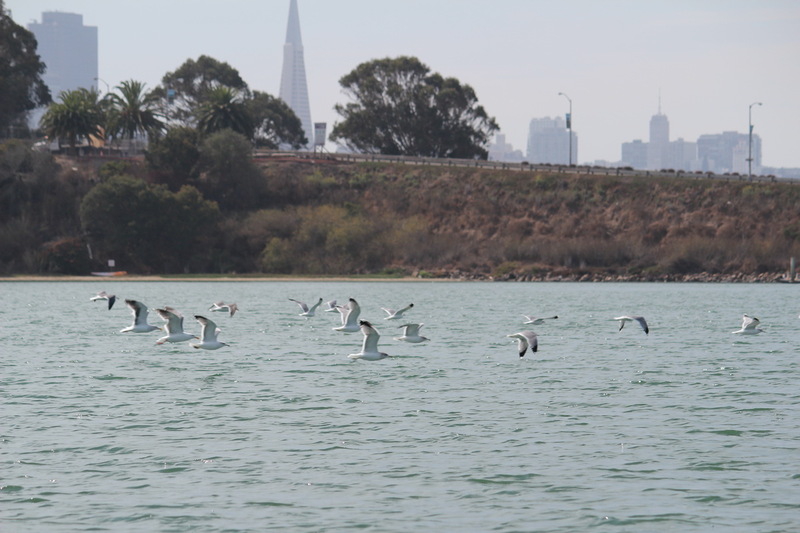 A true window onto life in, around and below the waters of San Francisco Bay. 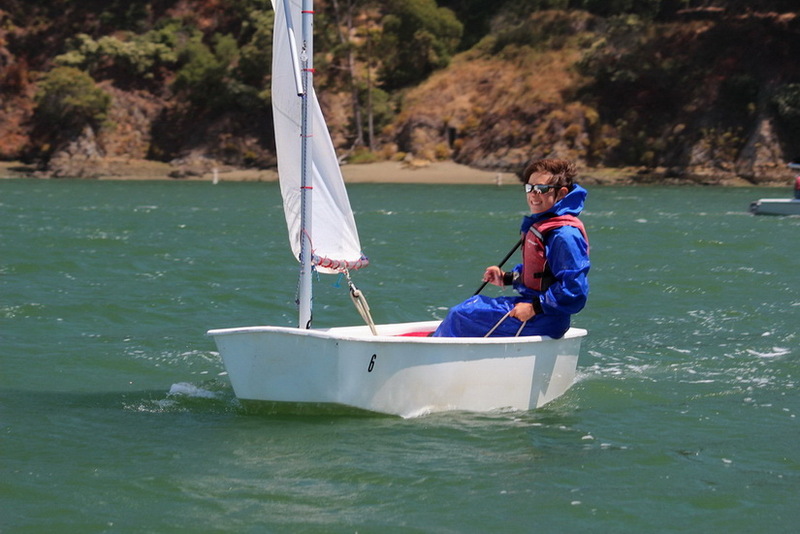 Another star of the program is Clipper Cove itself. 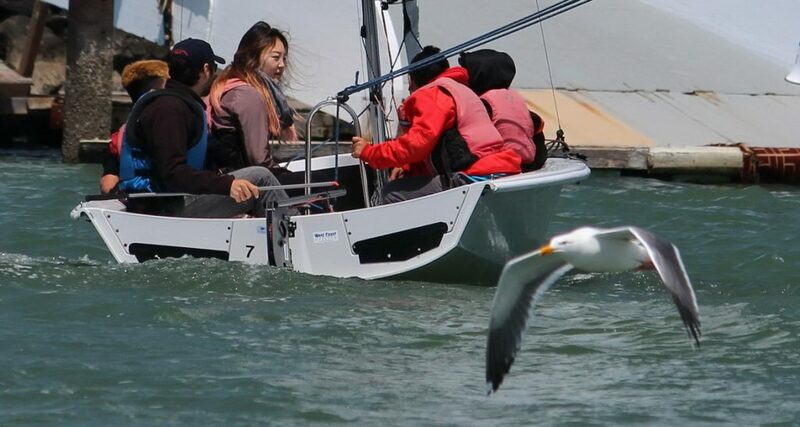 Same rule applies here as with all sailing on SF Bay: “you can never be sure what you’ll see, however you WILL see something swimming, floating or flying that’s a keeper for your memory banks”. 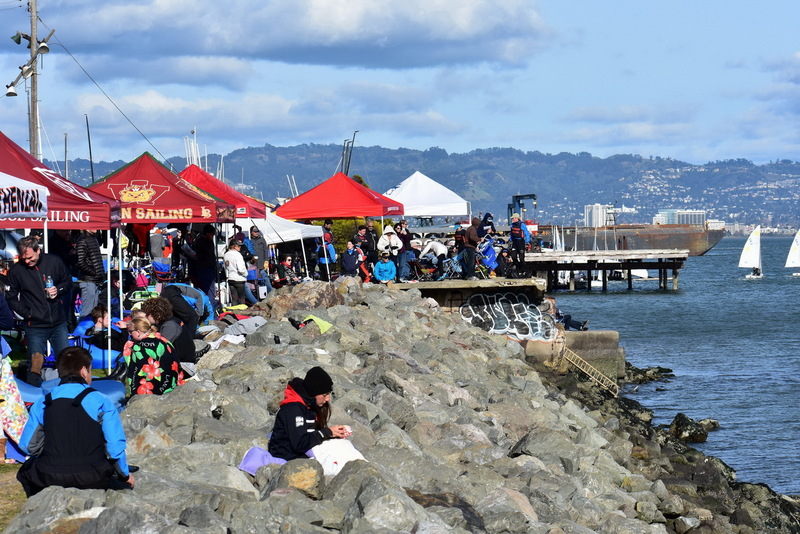 Along with the fish and wildlife, Clipper Cove also serves up curiosity-building views of San Francisco, Yerba Buena Island (its long-time-ago name is HERE), and the new Bay Bridge super-structure. 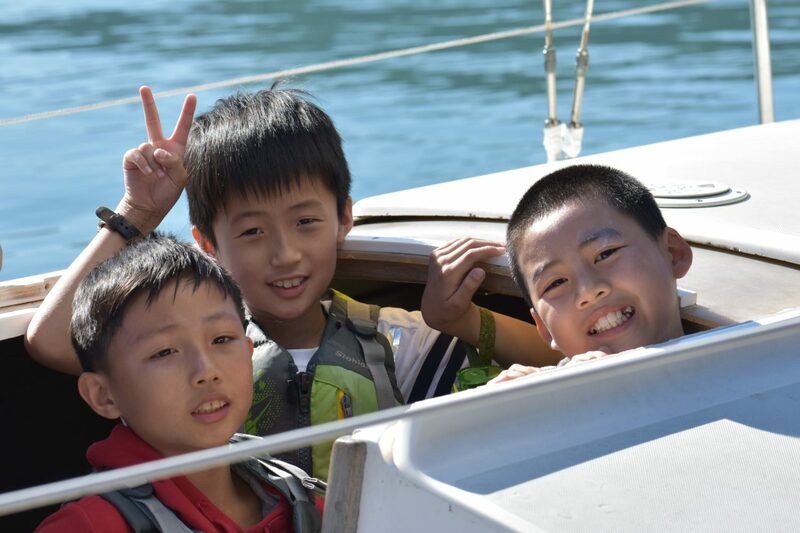 And boatloads of smiles are always present whenever kids are on Clipper Cove. 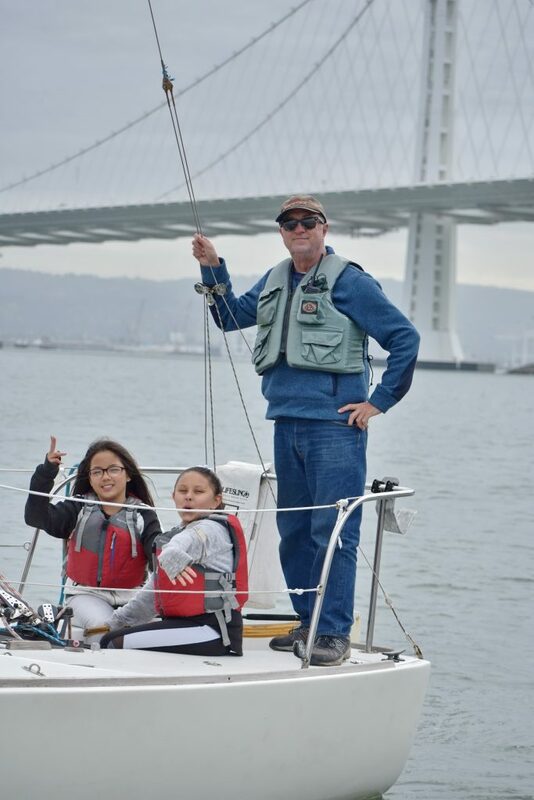 Of course a bit of excitement aboard an RS Venture sailboat always goes a long way to score big with 4th graders. 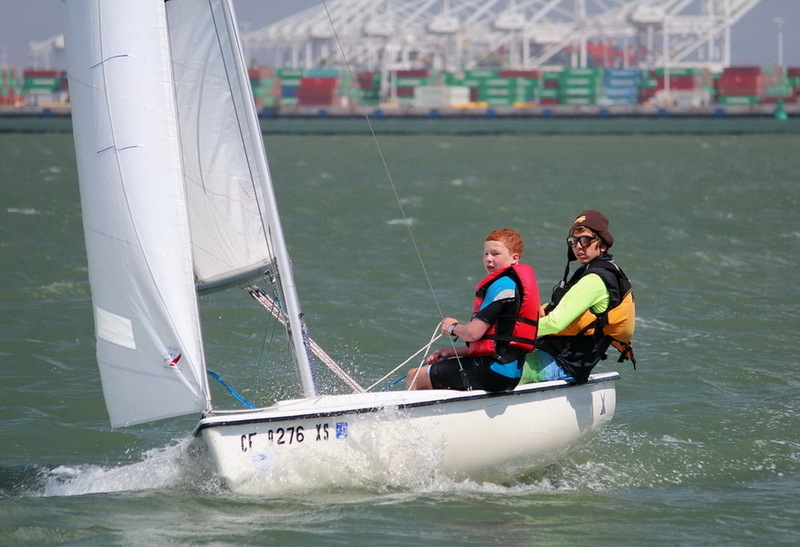 In fact a number of SSL graduates have signed up for summer sailing lessons at TISC. Interested? You can find out more and register here. 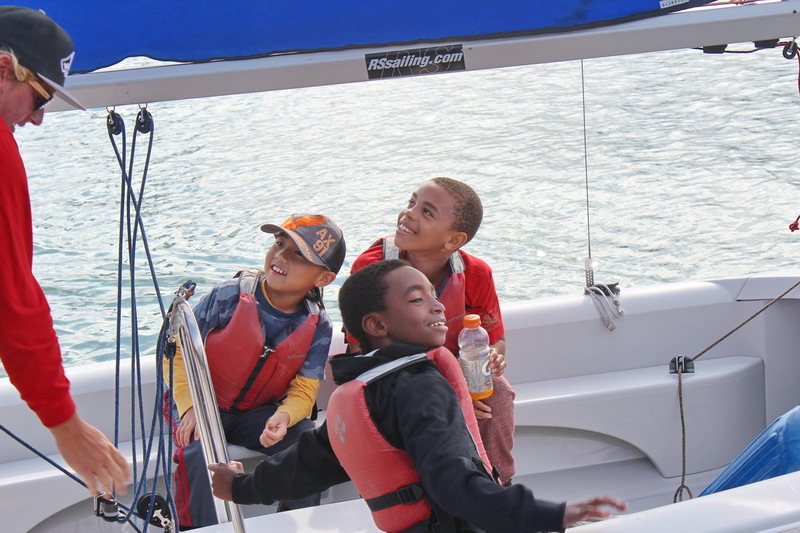 Set Sail Learn Session 5, Spring of 2016, is in the log books; our focus has now turned to summer programs. Teachers interested in registering for the next SSL session can use this Fall 2016 SSL Registration Form. I’ll wrap up this blog with a few statistics on our Set Sail Learn program and the number of Bay Area residents who sail, kayak and paddle board at TISC on Clipper Cove. 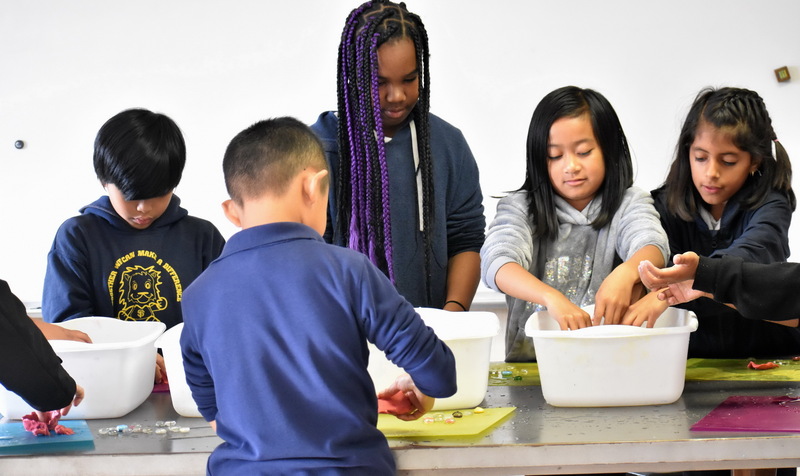 3,566 elementary kids from 31 San Francisco public schools have attended 135 SSL classes since the program was launched in the Fall of 2013. 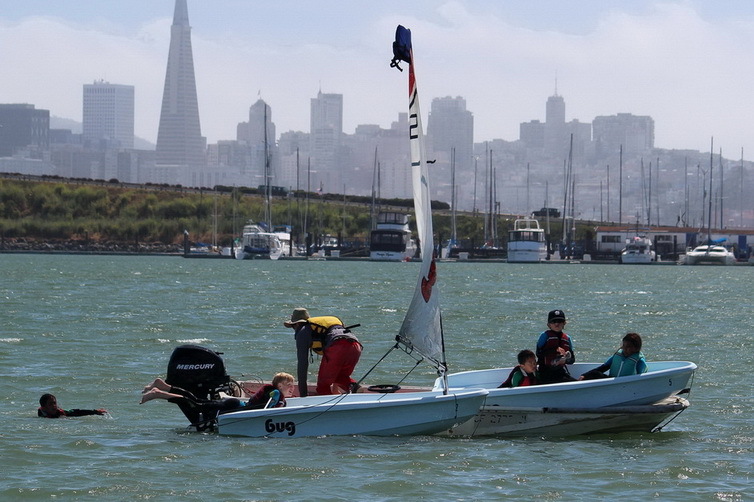 These kids came from all 11 SF school districts. 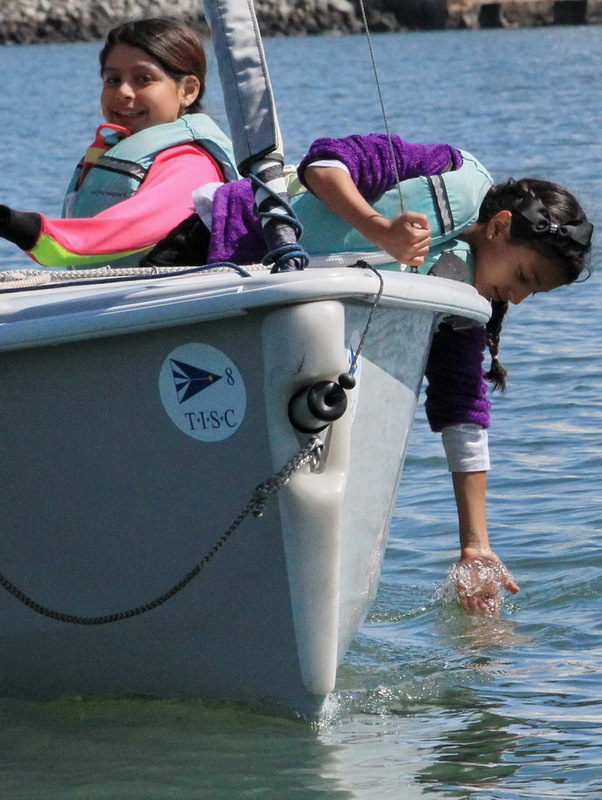 Last year TISC served approximately 3,800 sailors, kayakers and paddlers. 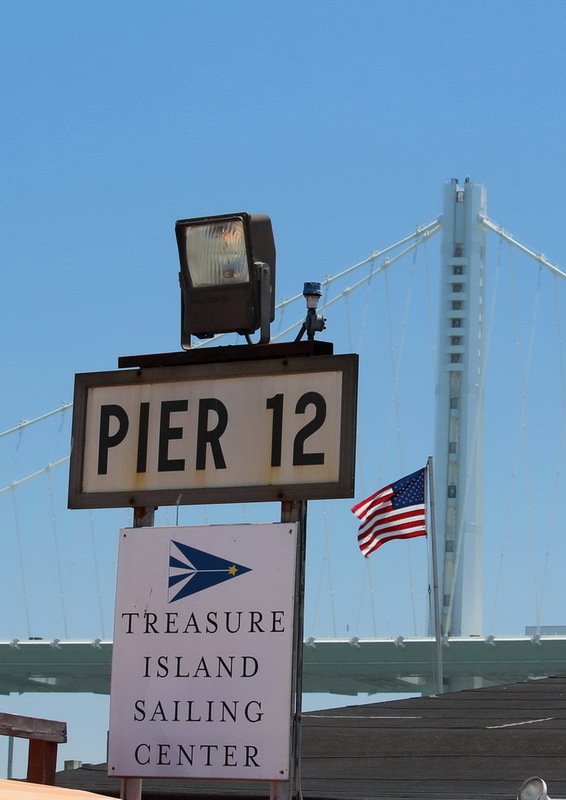 Most from San Francisco, others from all parts of the Bay Area. All walks of life. Nearly 15,000 over last 5 years. 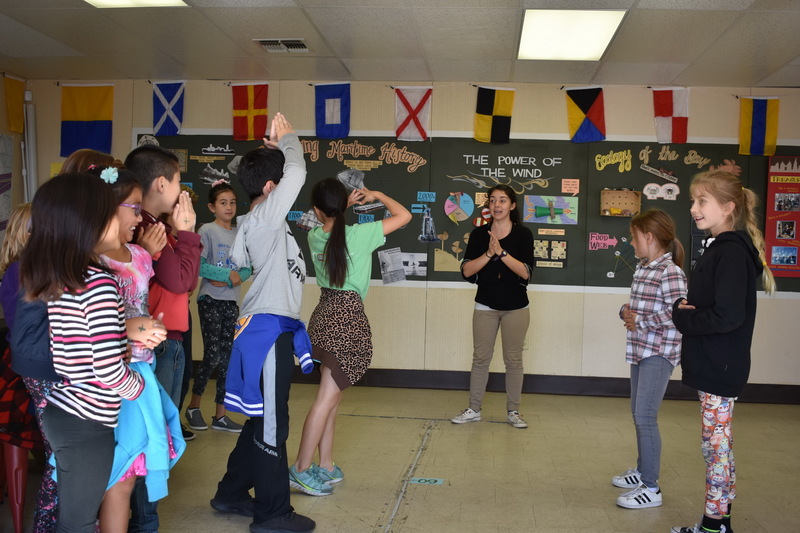 Here are links to previous Set Sail Learn blogs with more smiles from San Francisco Public School kids. Which blog title better says “Thanks!” while delivering kids smiles: “The best day of my life” or “Set Sail Learn – Investing in our Children”? 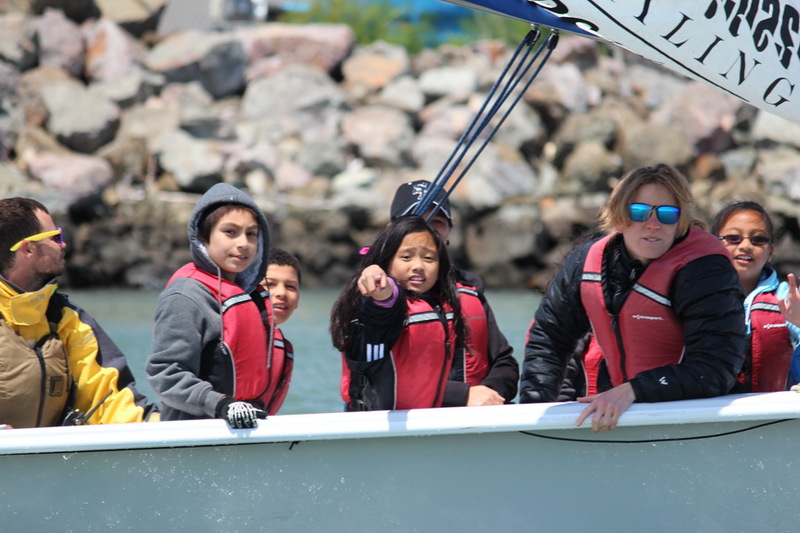 How to choose between two winning teams: Lawton Elementary School and St. Francis Sailing Foundation? 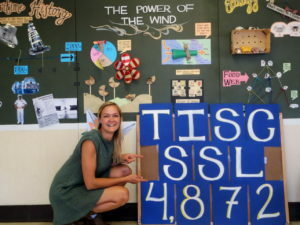 I decided to lead with a big THANK YOU to St. Francis, recap Media Day’s events along with Lawton smiles and end with a few stats on TISC’s banner year. 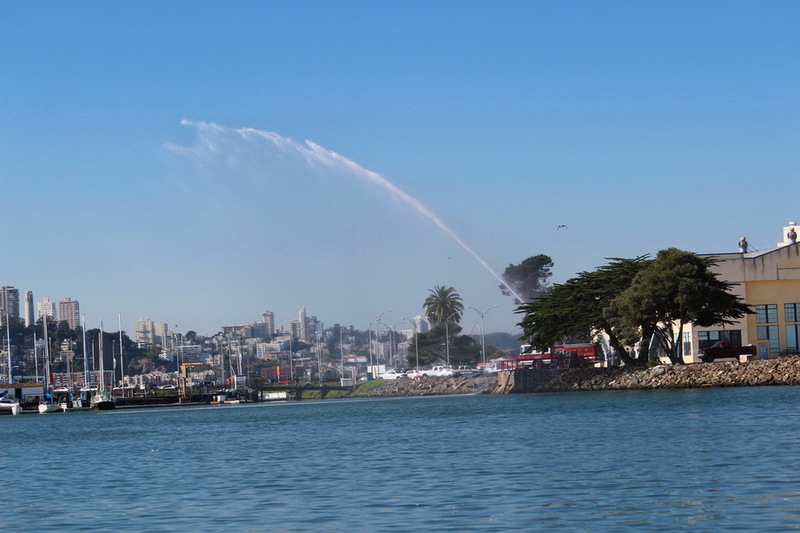 So cool all this took place right here on Clipper Cove. 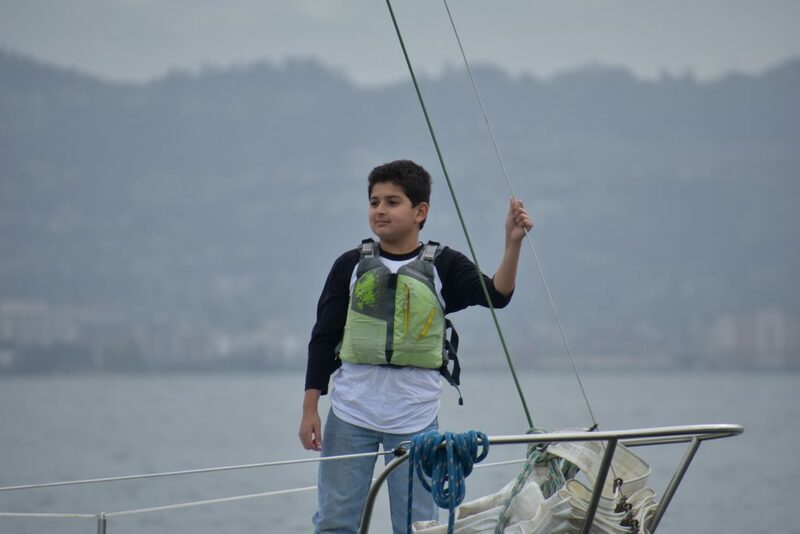 Even cooler – today’s blog makes a nice 2015 wrap-up given Clipper Cove is where we started back in January (Clipper Cove – Our Platform for Smiles and Self-Confidence). 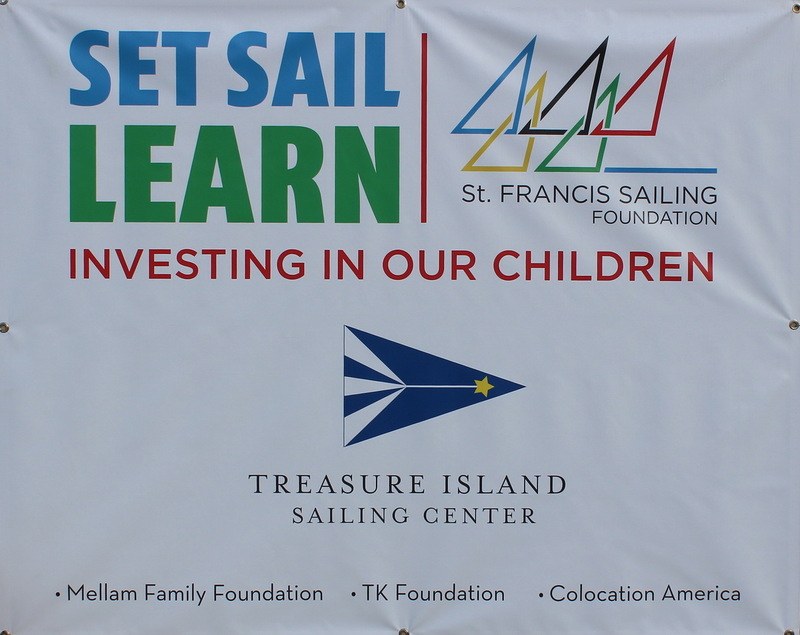 On October 15th Carolyn Patrick, President of the St. Francis Sailing Foundation, announced a significant grant that officially launches TISC’s Set Sail Learn program. 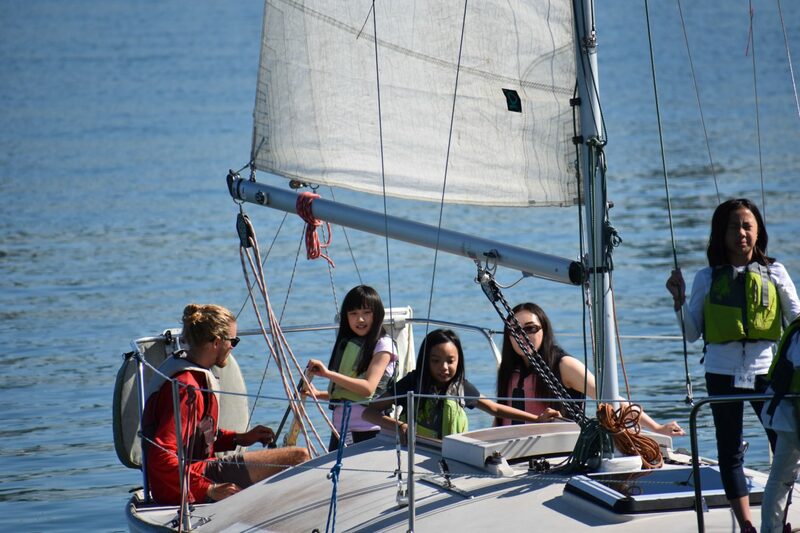 This unique and innovative program, first piloted in 2013, serves up core-curriculum STEM classes along with “hands-in” sailing on Clipper Cove. And it will now continue thanks to STFSF. 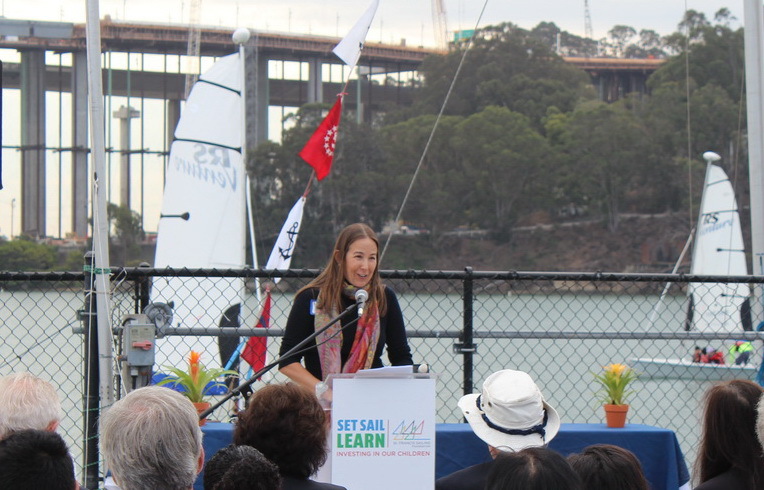 You can read more about this major grant, the largest in STFSF history here: Press Release STFSF Grant for Set Sail Learn. 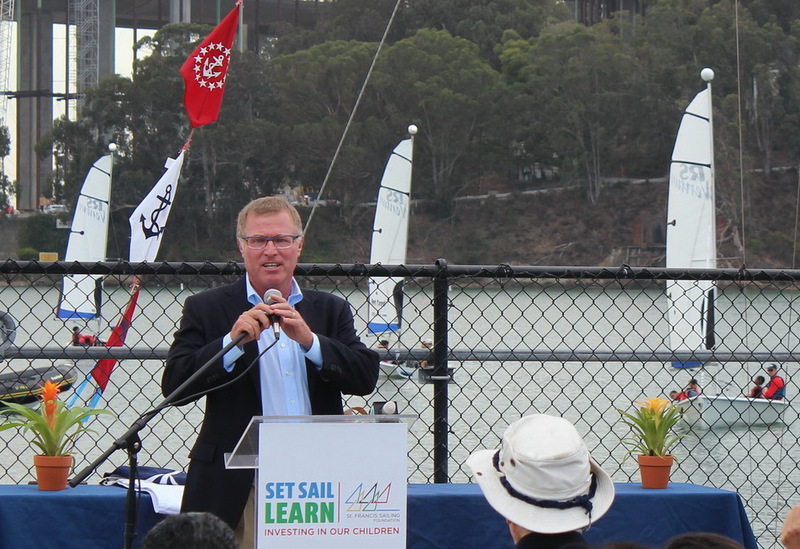 Details on the Set Sail Learn Program are here: Set Sail Learn Media Day-Fact Sheet. 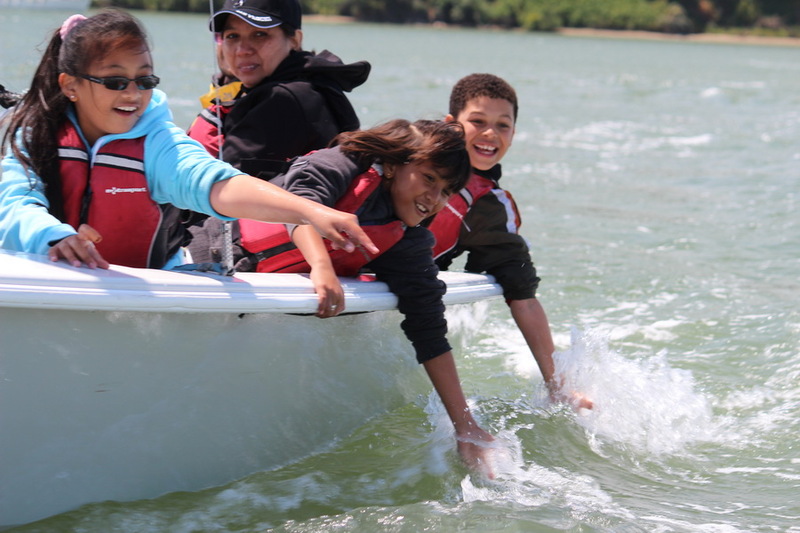 There were smiles all around when excited kids from Lawton Alternative School showed up for their day at TISC. 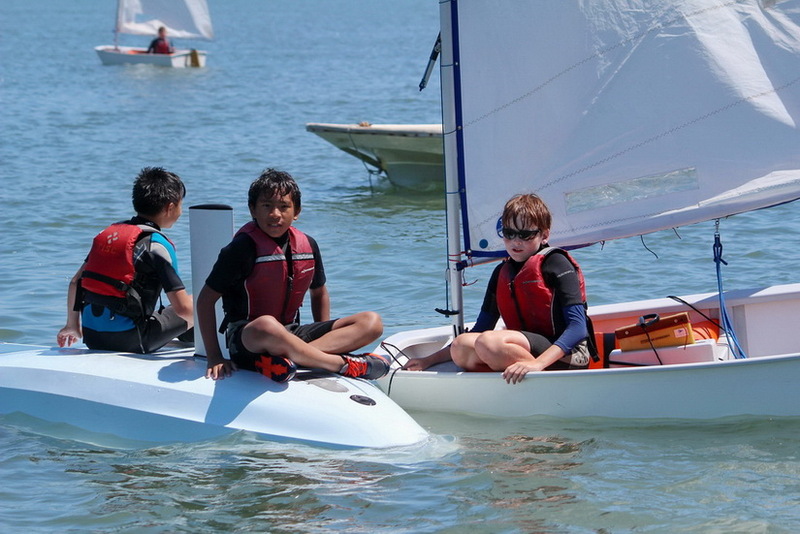 As with all SSL classes at TISC the kids are split in the morning so half can focus on the curriculum and half can sail. After lunch they switch. 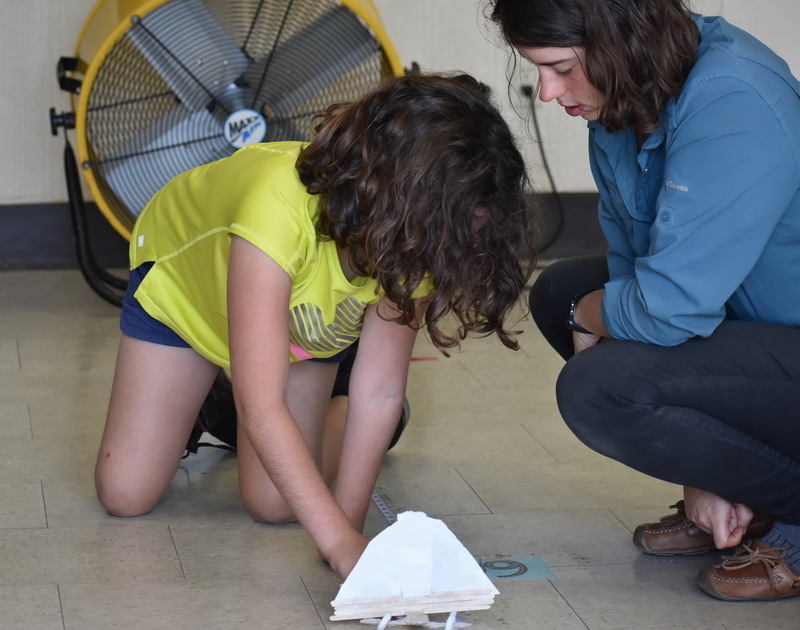 Lawton chose the Renewable Energy curriculum. 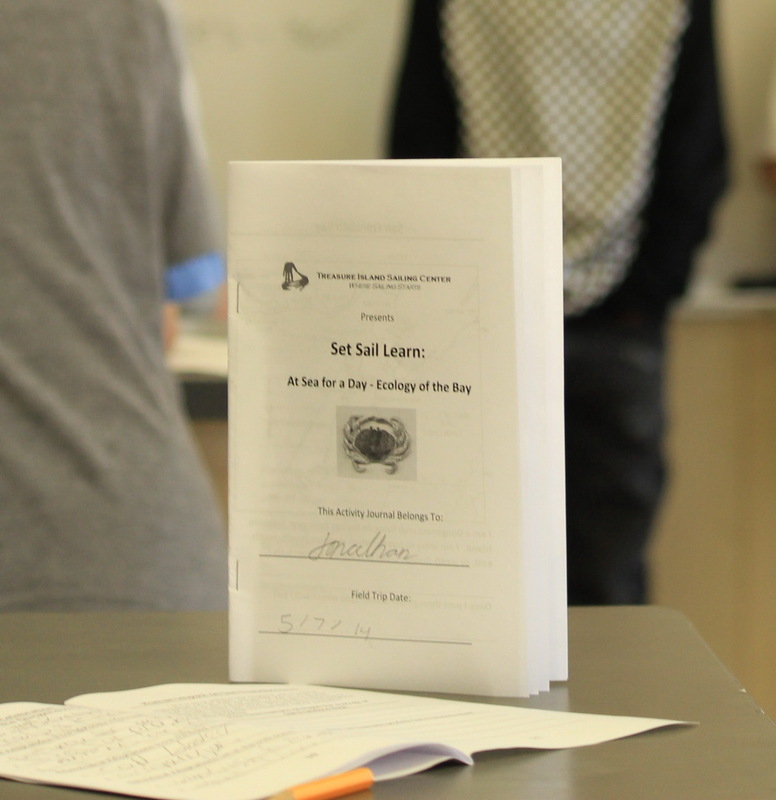 Whichever course of study is chosen the teacher receives a workbook for review prior to class arrival. 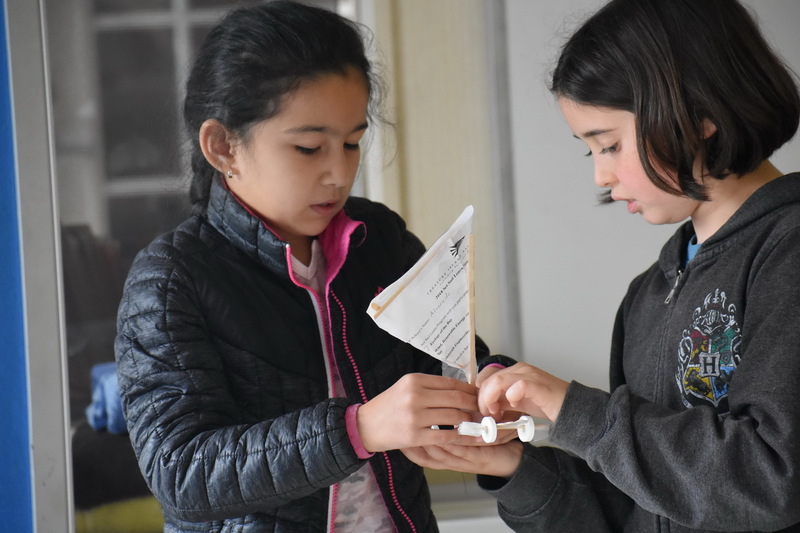 All classes work in math and science. With plenty of time for interactive discussion. 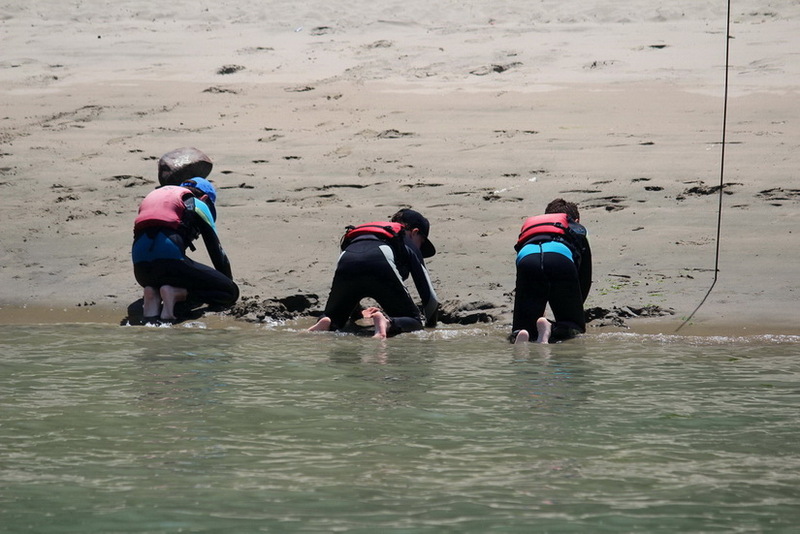 So rewarding to see fourth graders so “into” our environment. 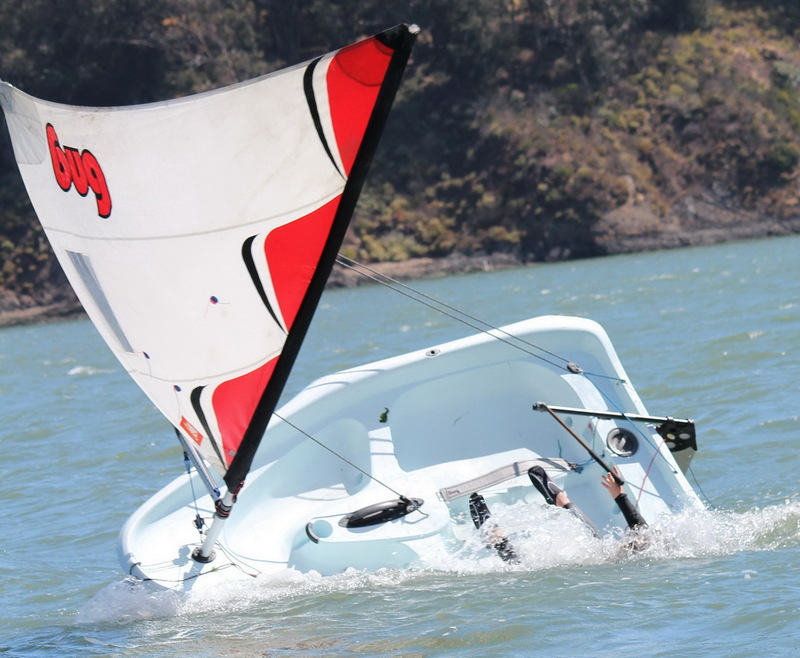 Action highlight for this module is always the “windboat” races. 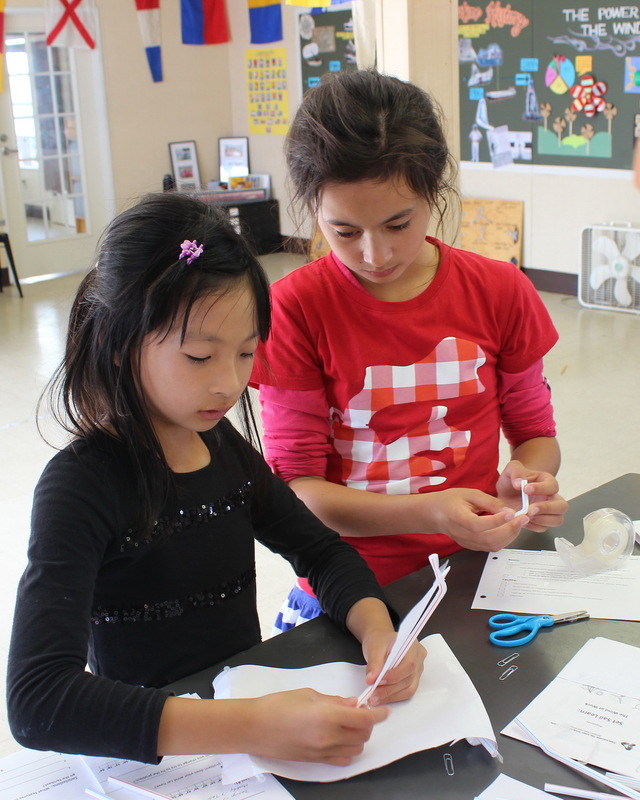 Teams of two design and build their craft. The races are the most fun . . . – – – and exciting ! More smiles as the kids prepare to leave the dock. 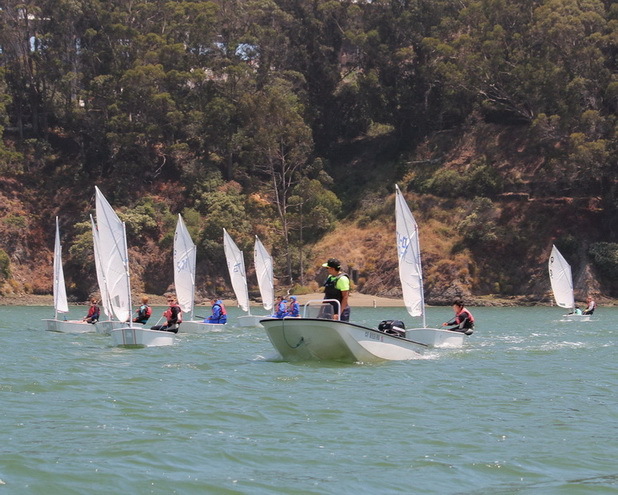 A majority of SSL students experience their first time on the water here at TISC on Clipper Cove. 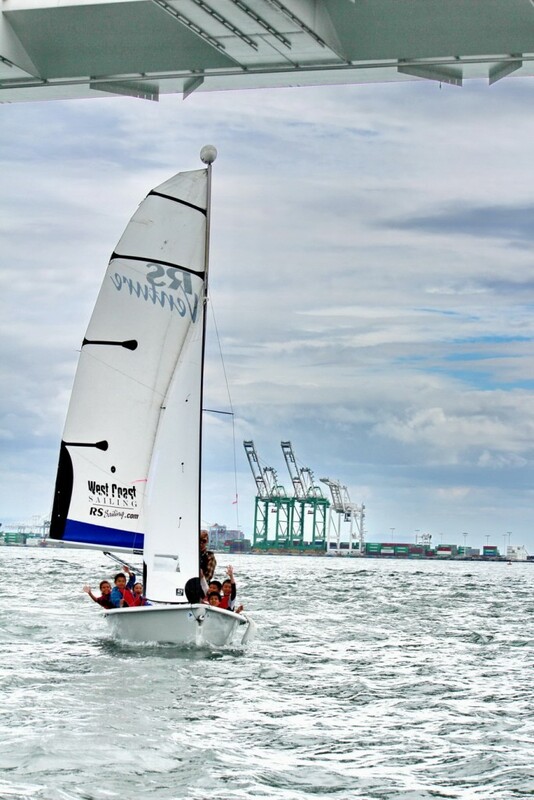 Feeling the water as it passes by is always the sailing highlight. 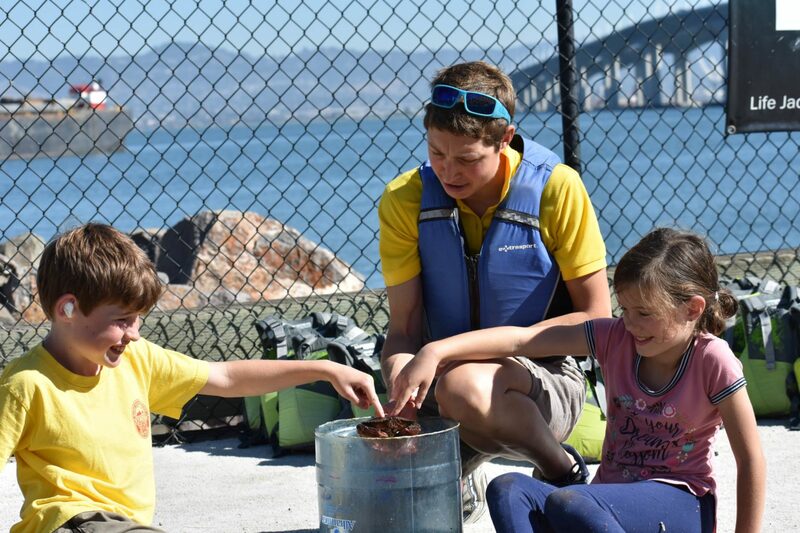 All part of creating passionate stewards to help care for San Francisco Bay for decades to come. A true “hands-in” experience for 2,940 SFUSD fourth graders so far. 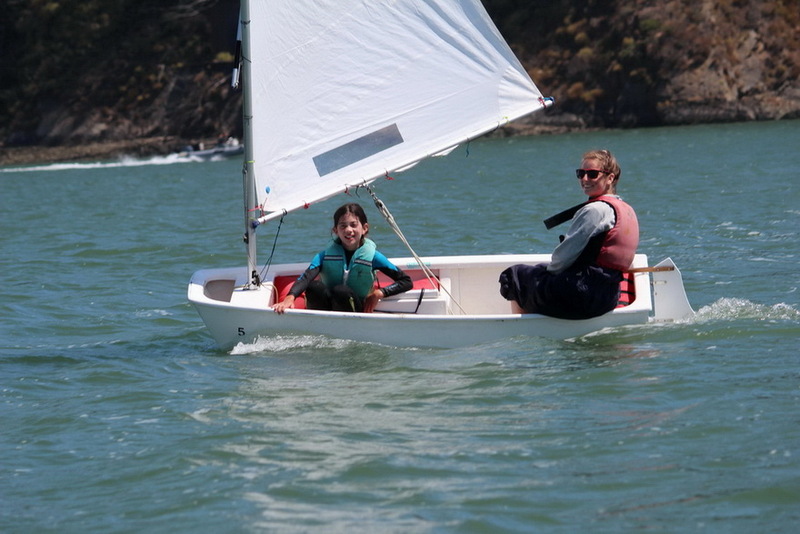 More smiles from kids sailing out on Clipper Cove. 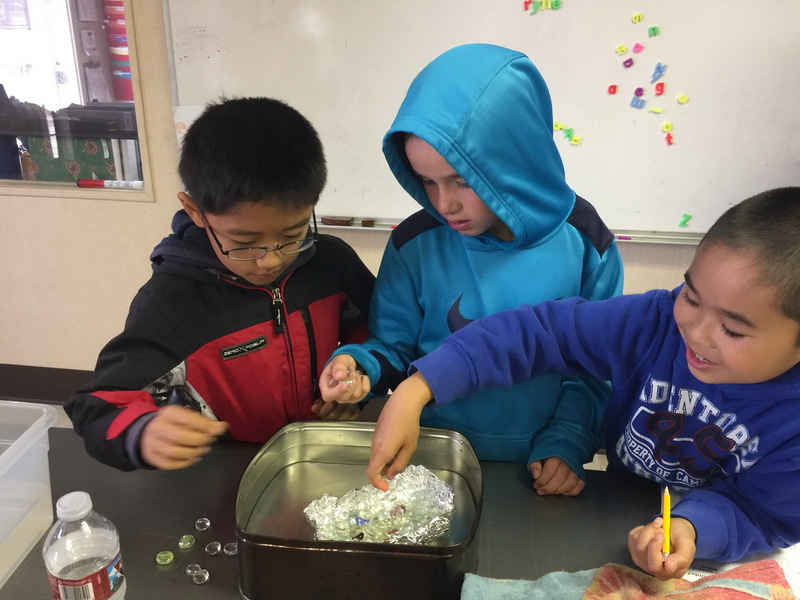 110 SFUSD classes from 27 schools have participated in SSL to date. 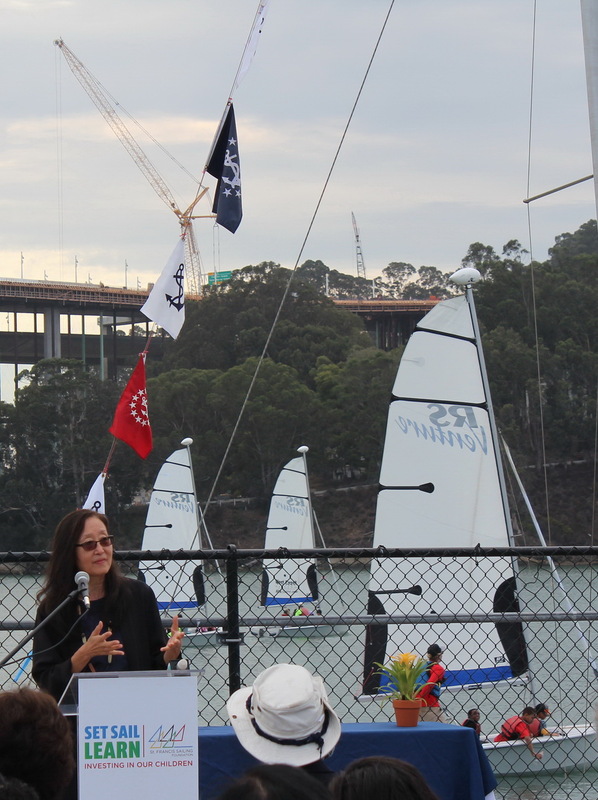 Other key speakers at SSL Media day included Carisa Harris-Adamson Chair of the TISC Board of Directors, V. Fei Tsen Chair of the Treasure Island Development Authority Board of Directors and Sean Svendsen Commodore of the St. Francis Yacht Club. 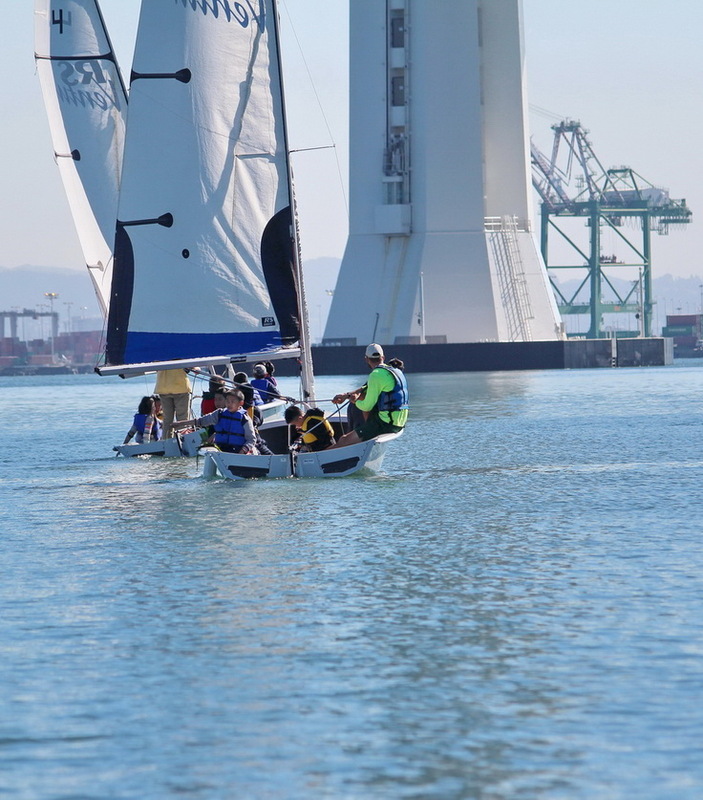 If only I had recorded the laughs and excited chatter from Clipper Cove that backstopped our dedication speakers. We never know which guests will join SSL classes, however “someone” always does. 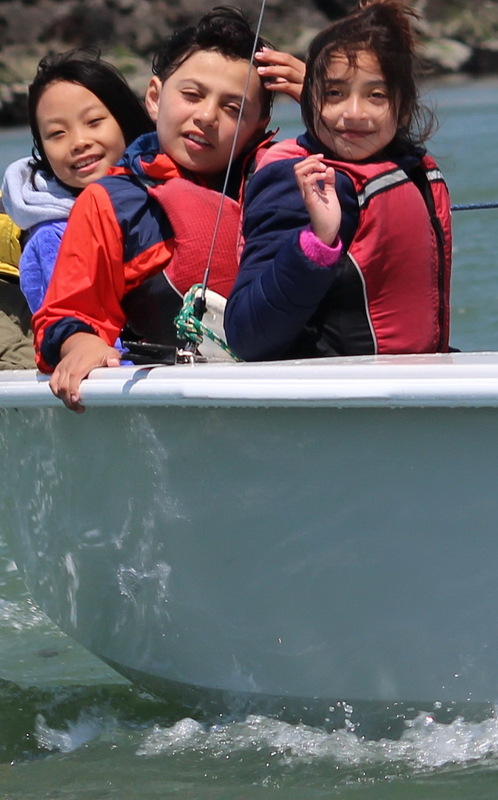 On this day the kids saw pelicans and gulls. 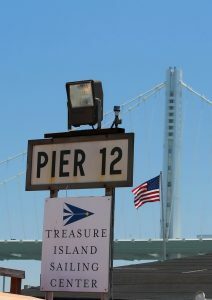 Our RS Ventures framed by Clipper Cove with San Francisco in the back ground make a nice segue into our banner year at TISC. 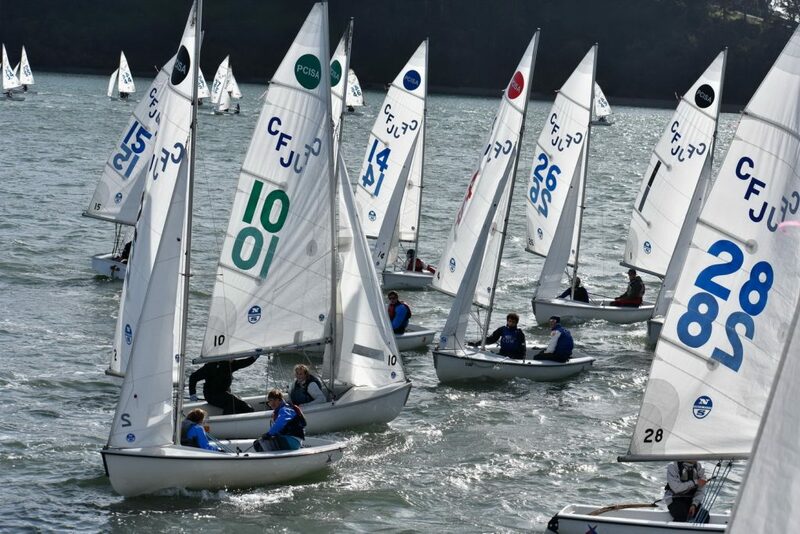 Notice the many (do you see all ten) hands in Clipper Cove ! As we end 2015 our team is conducting a fund raising drive for 2016 scholarships. Here is the link, and we appreciate all donations no matter how small. Learn More or Donate Now. 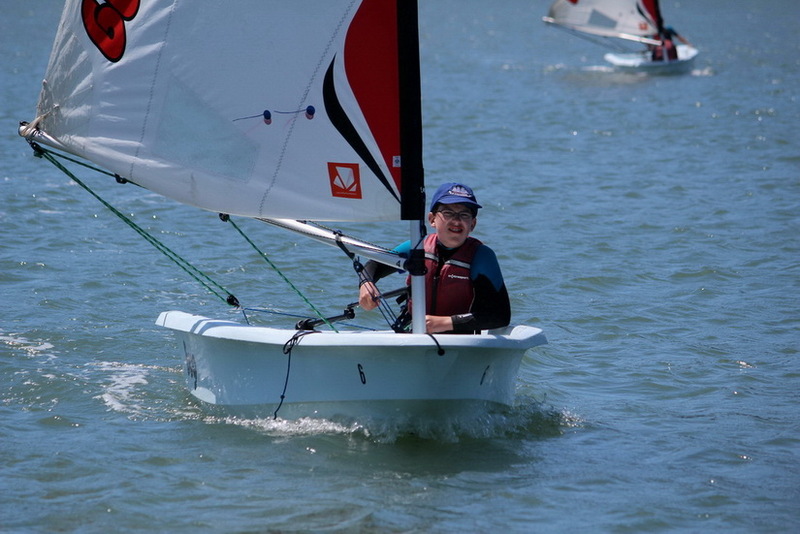 Here are links to previous Set Sail Learn blogs with more smiles and lessons learned.